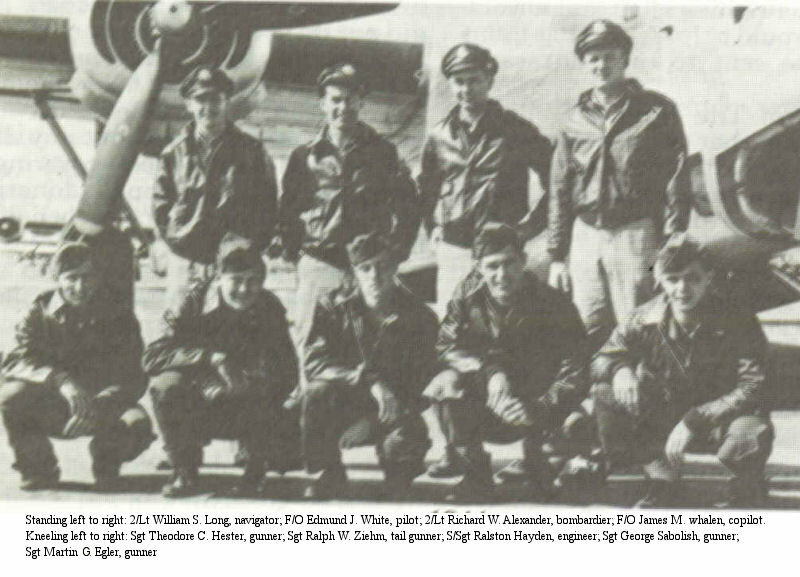 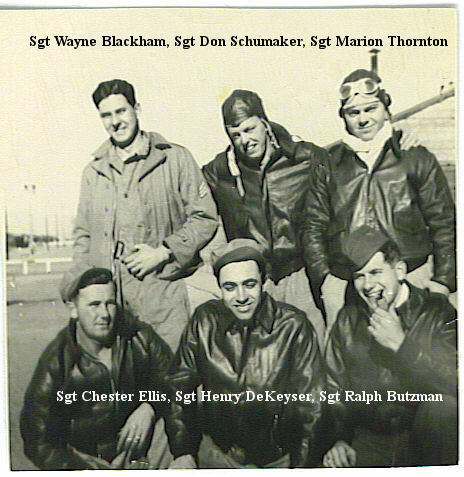 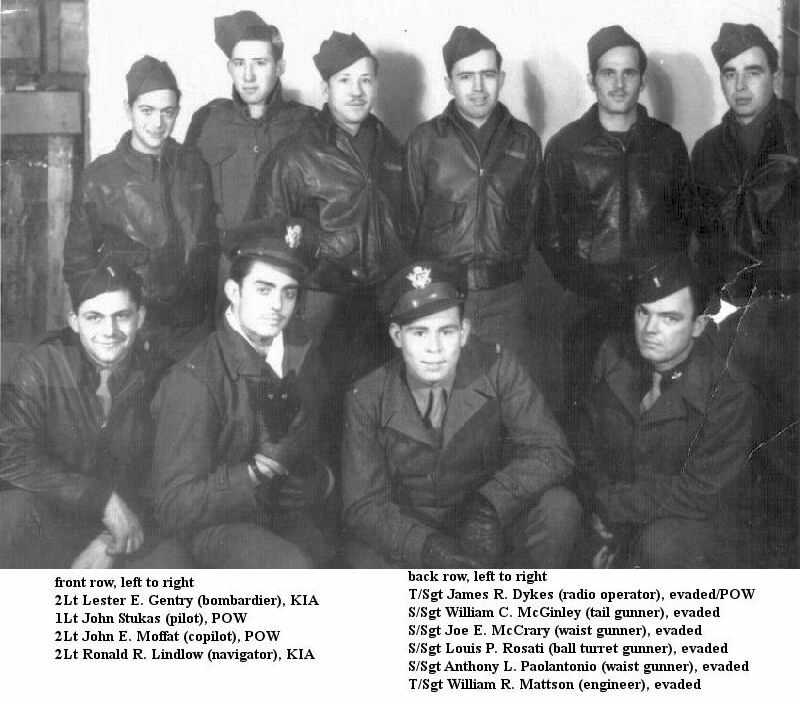 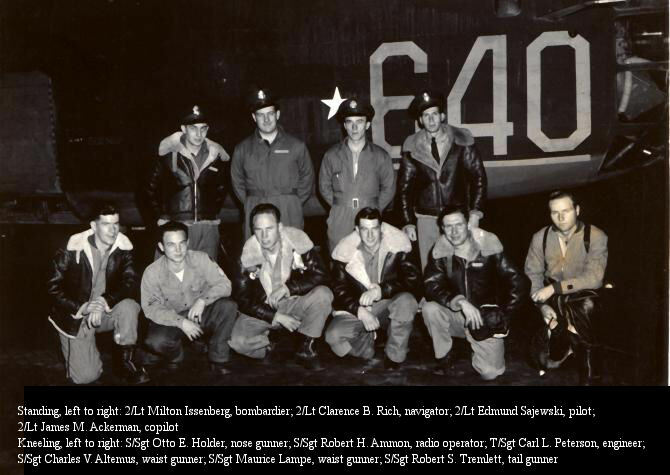 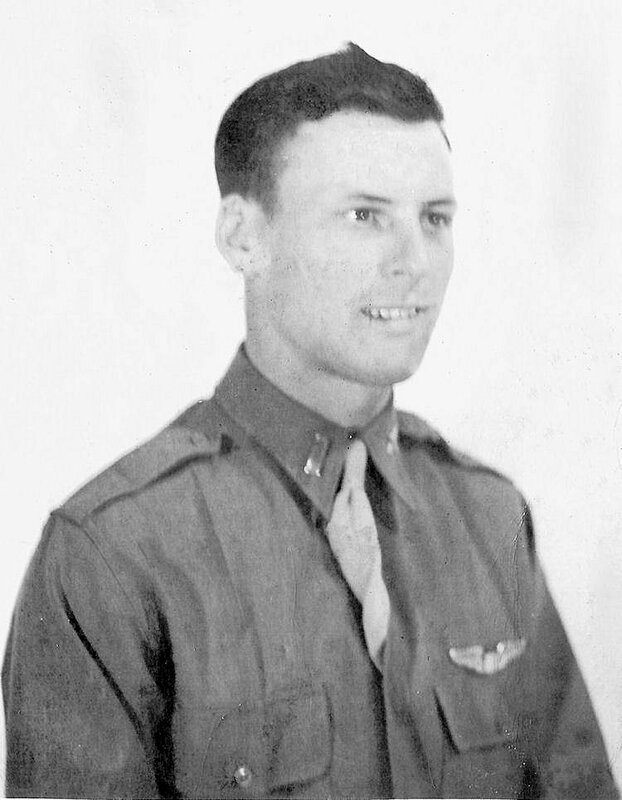 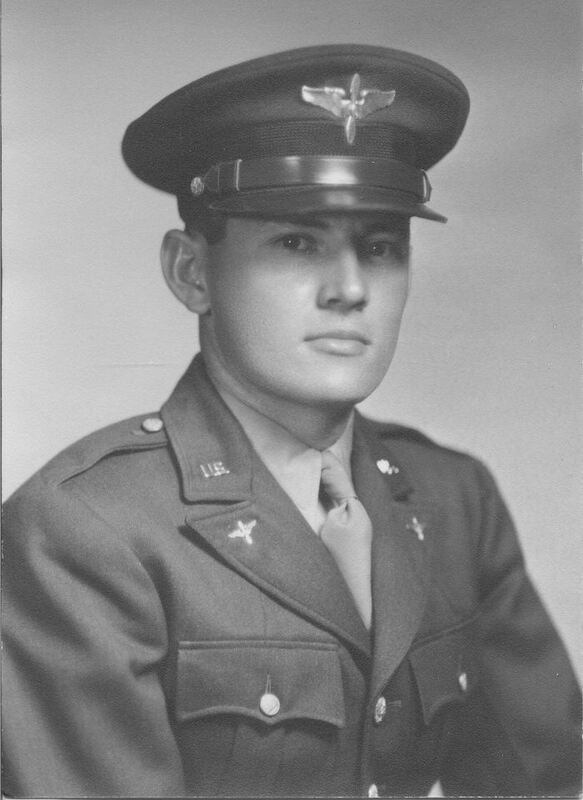 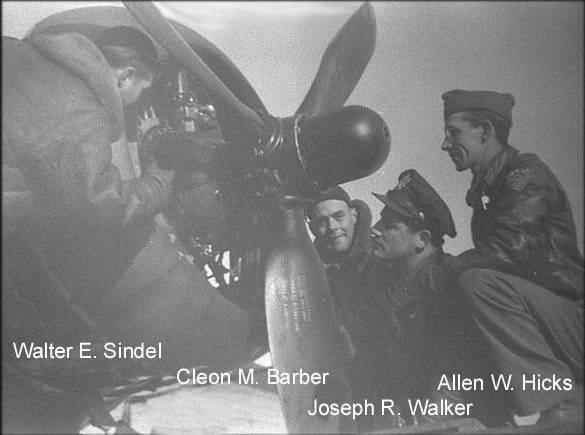 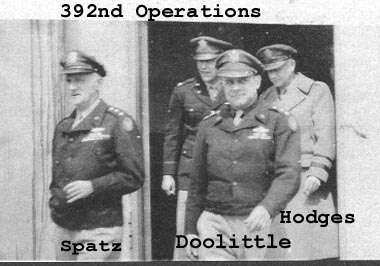 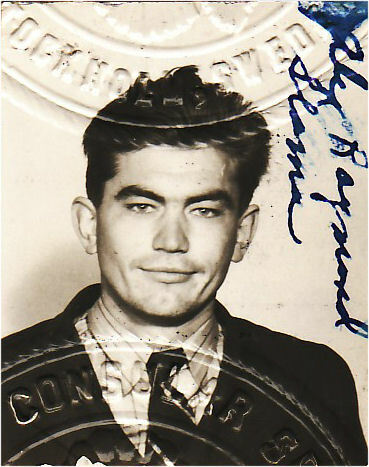 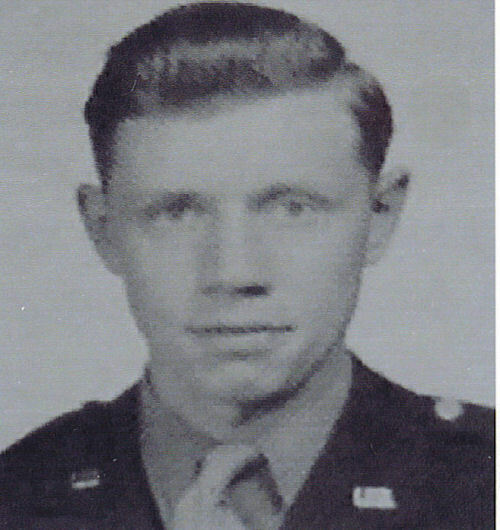 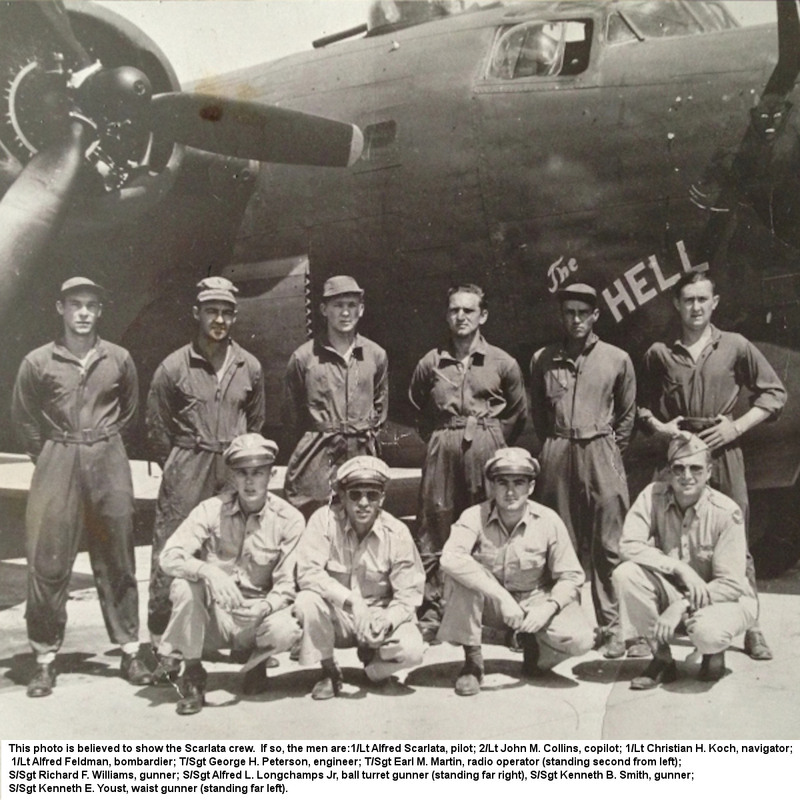 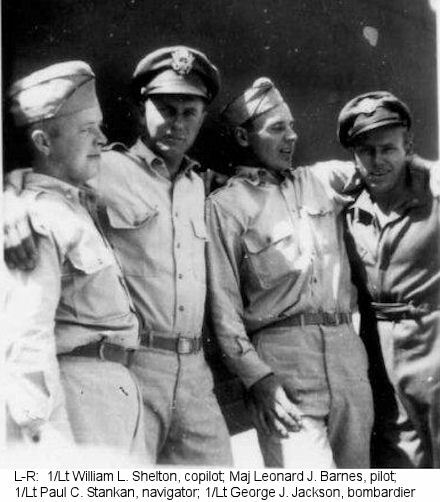 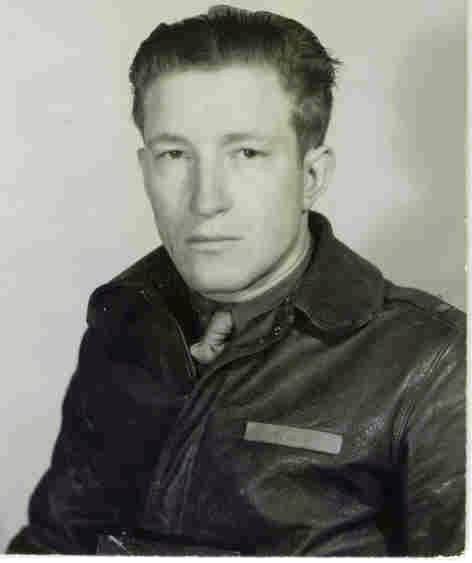 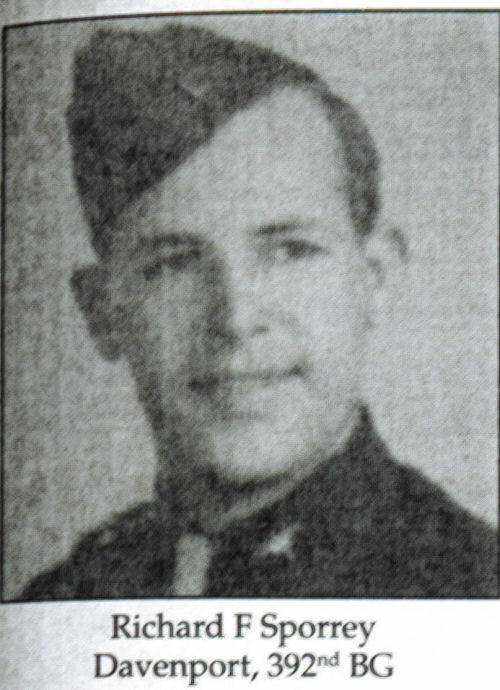 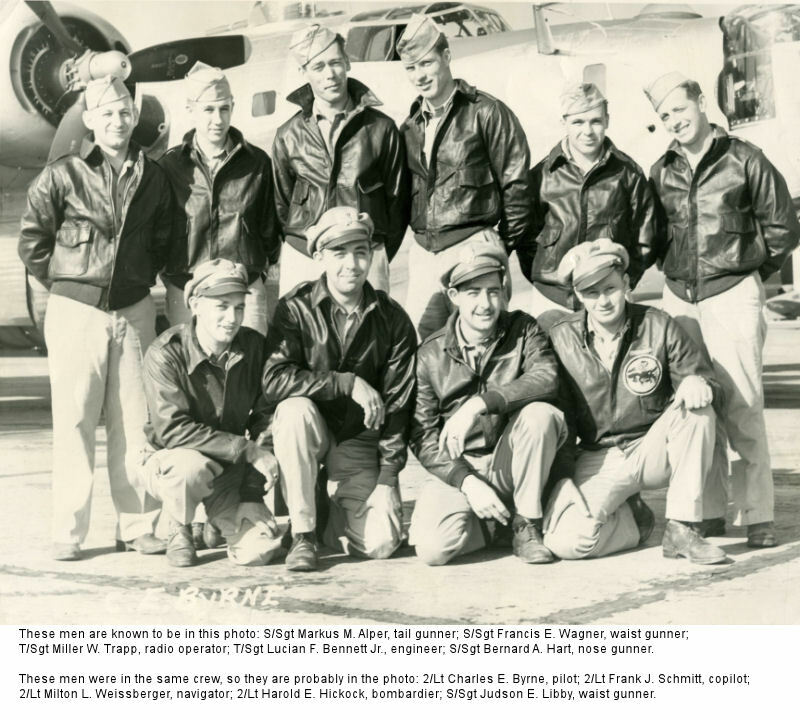 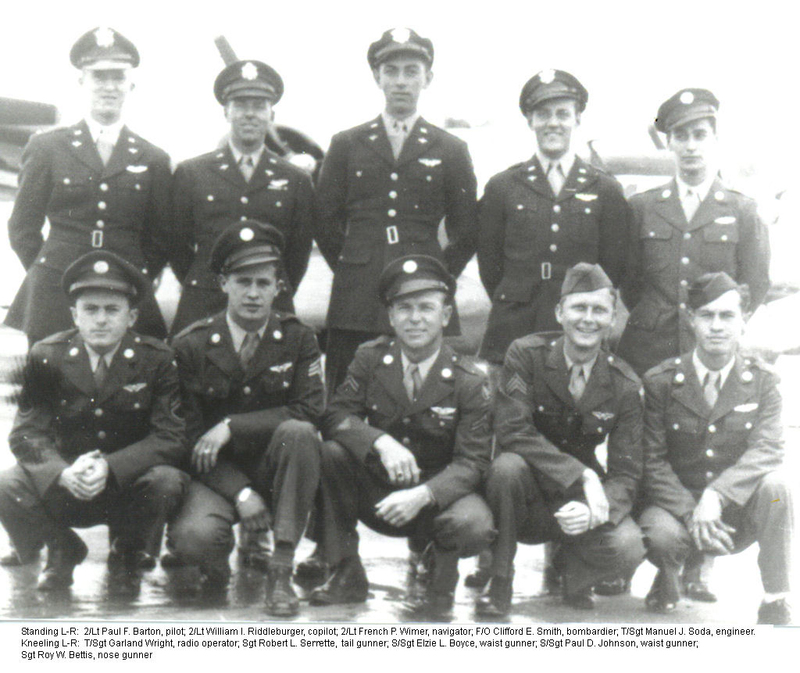 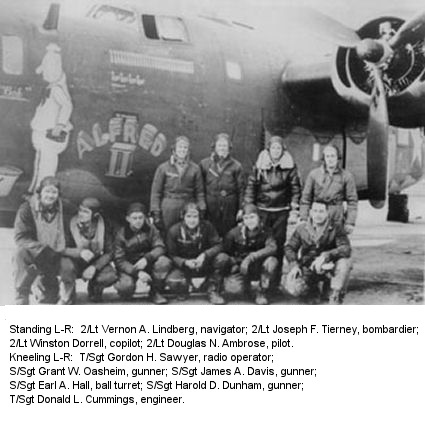 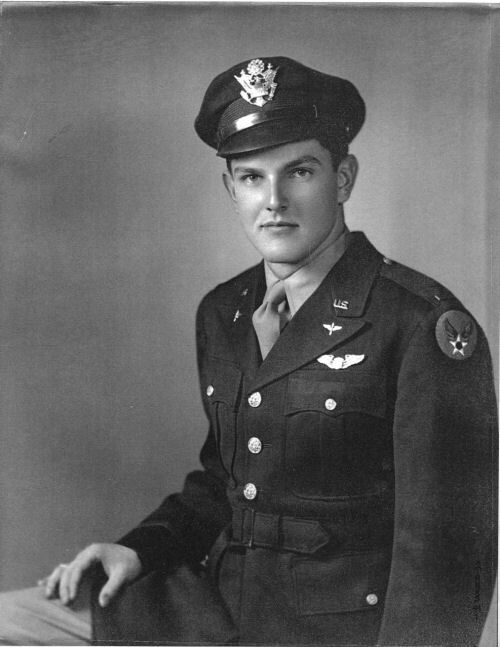 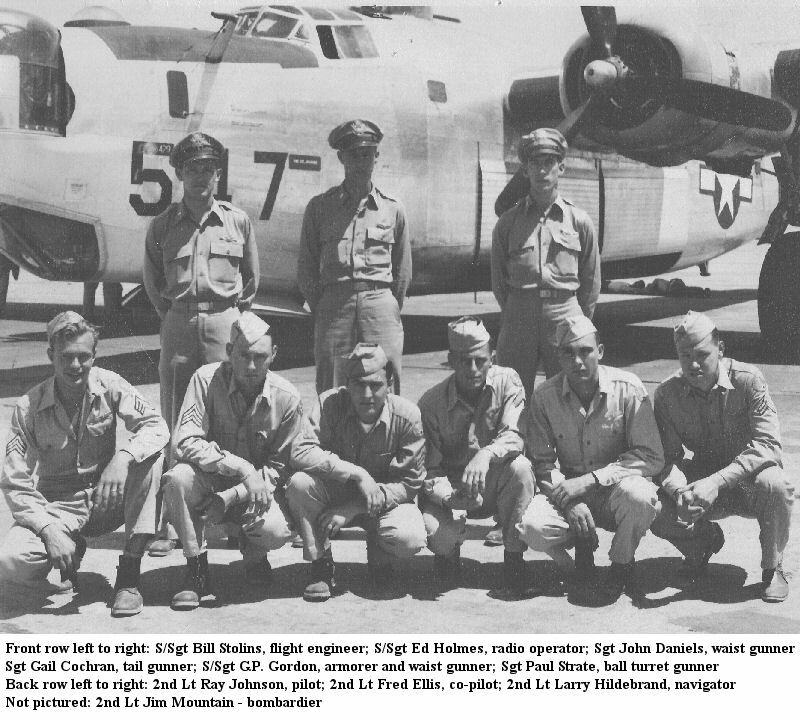 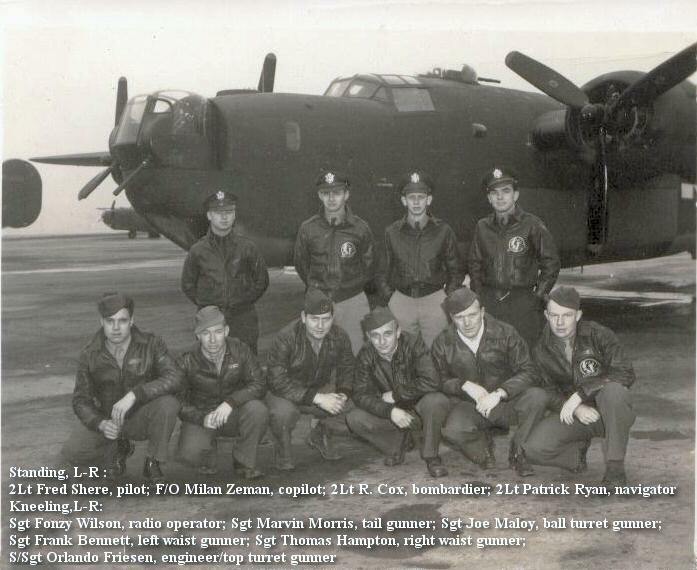 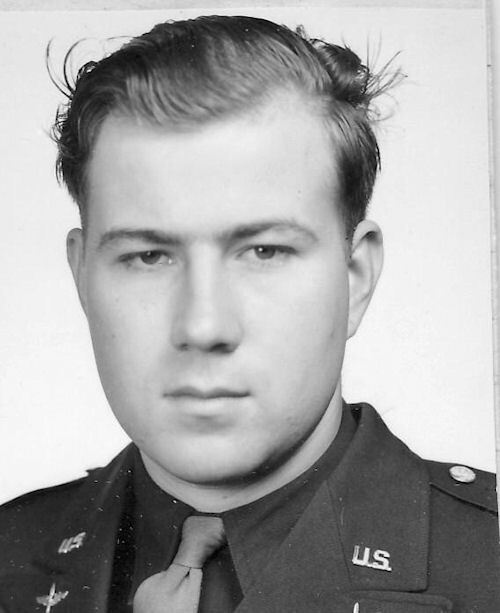 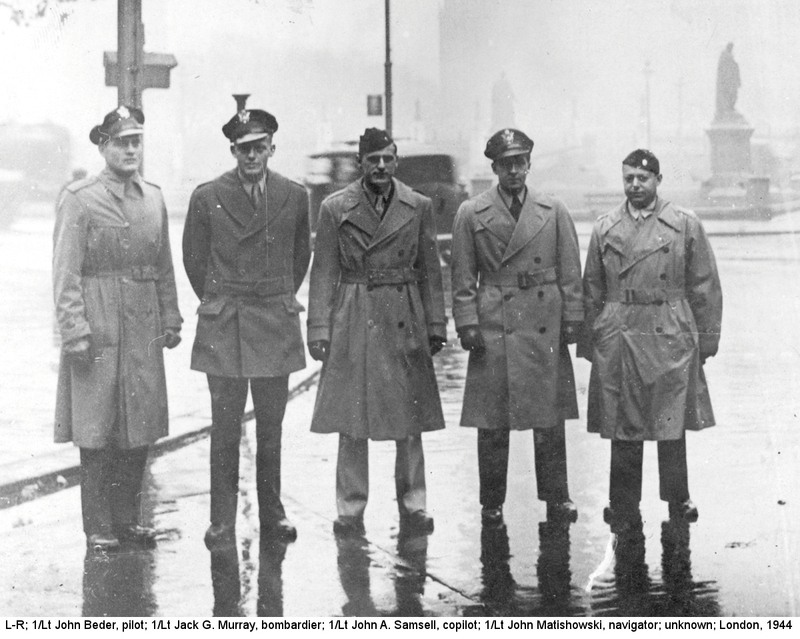 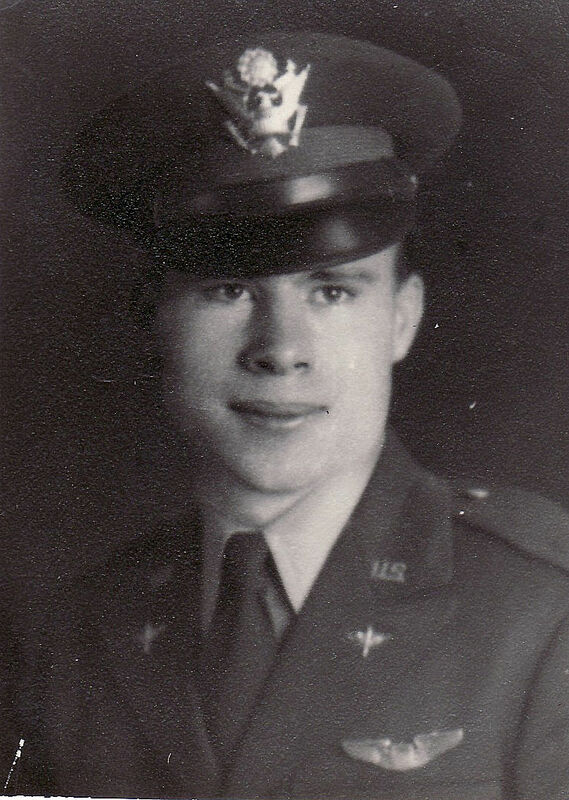 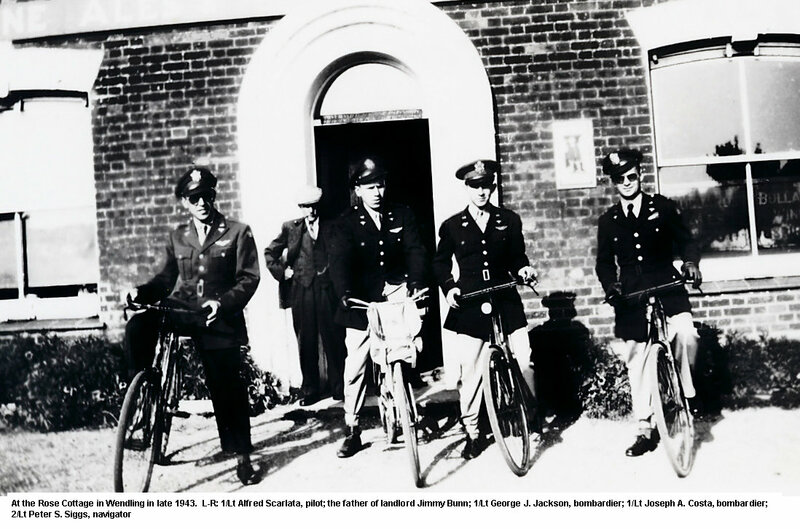 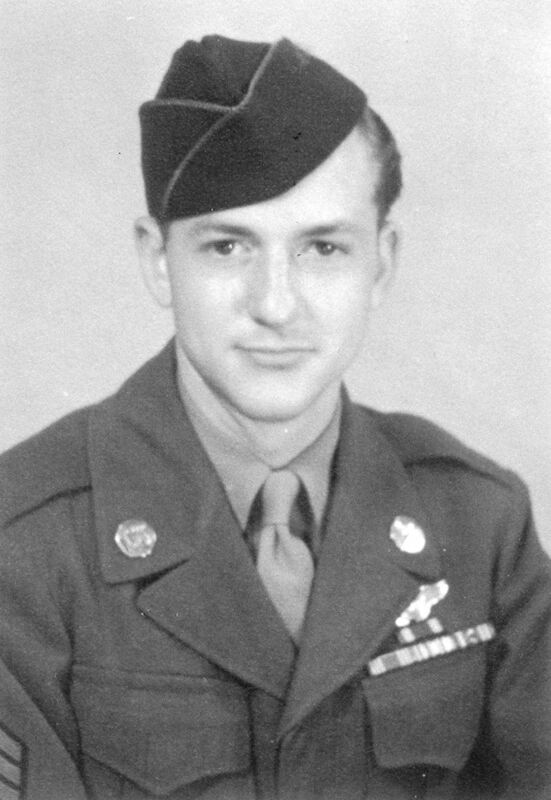 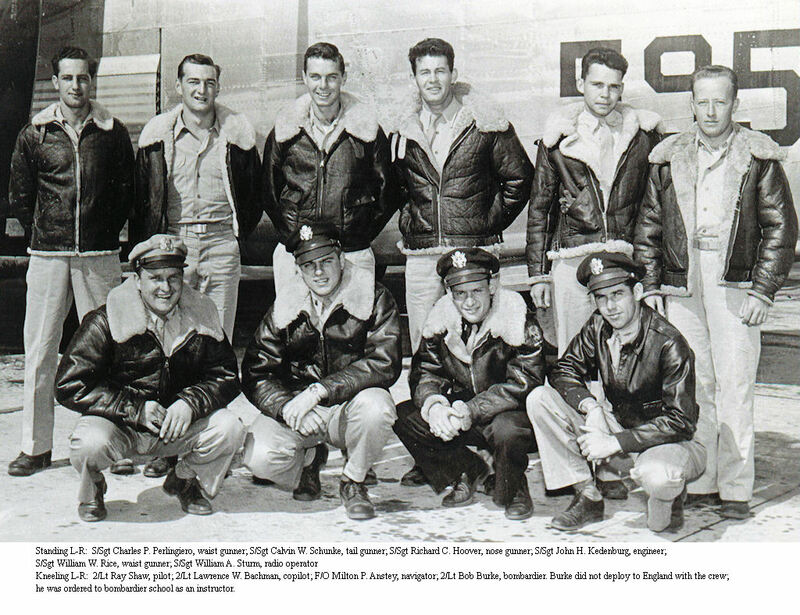 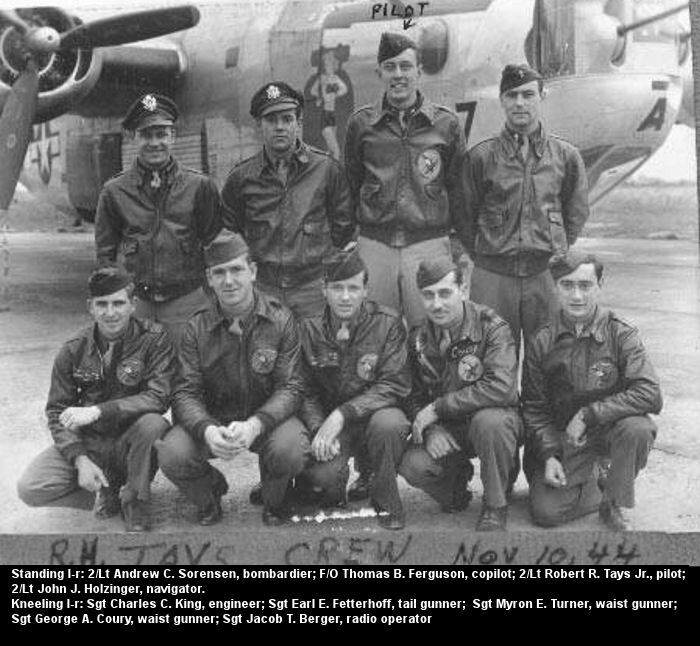 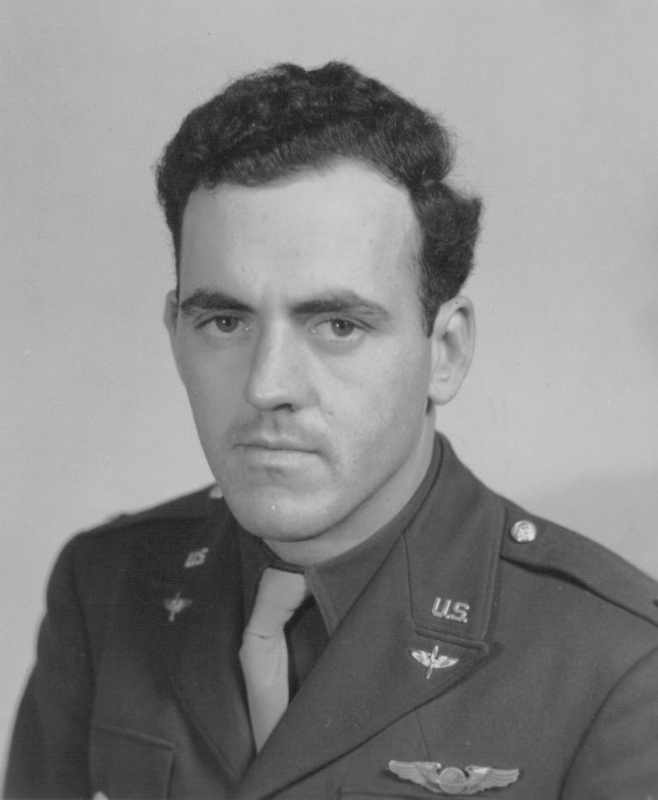 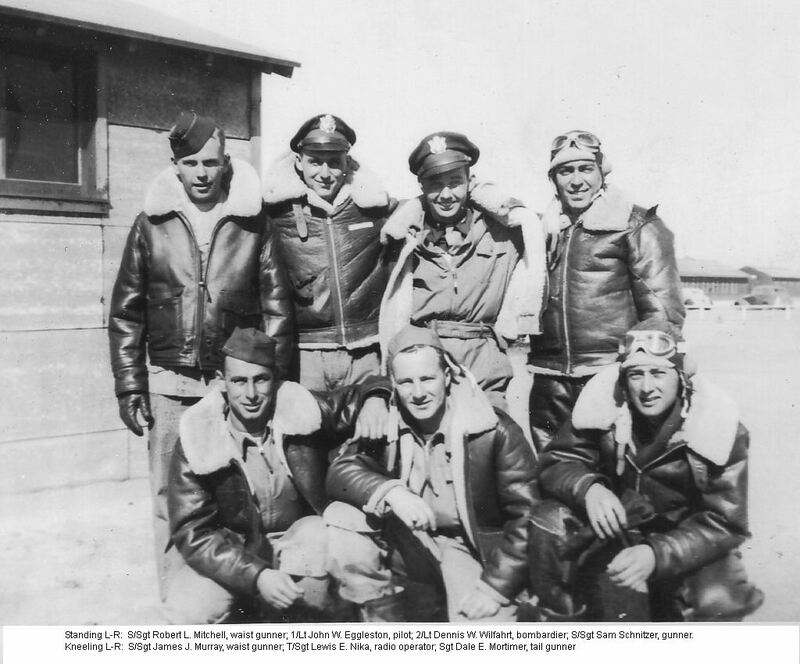 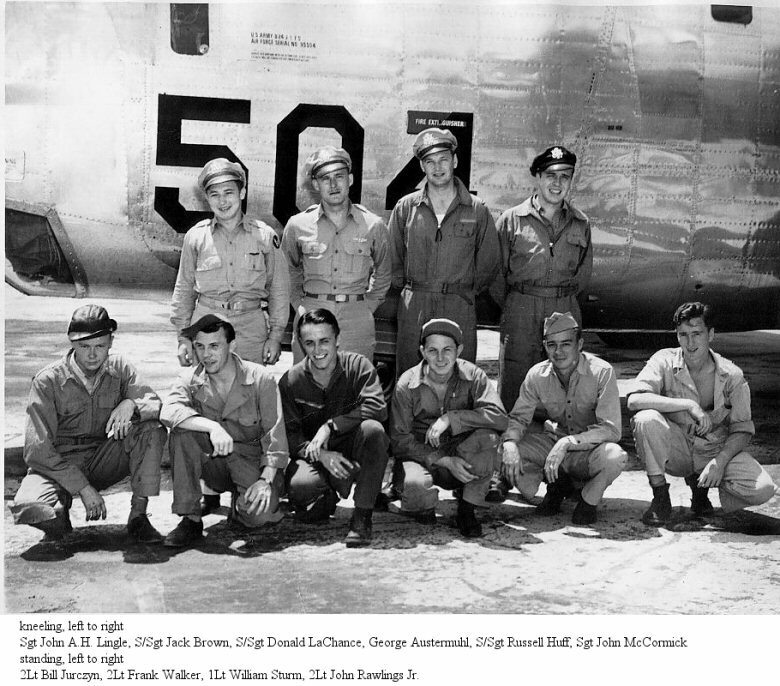 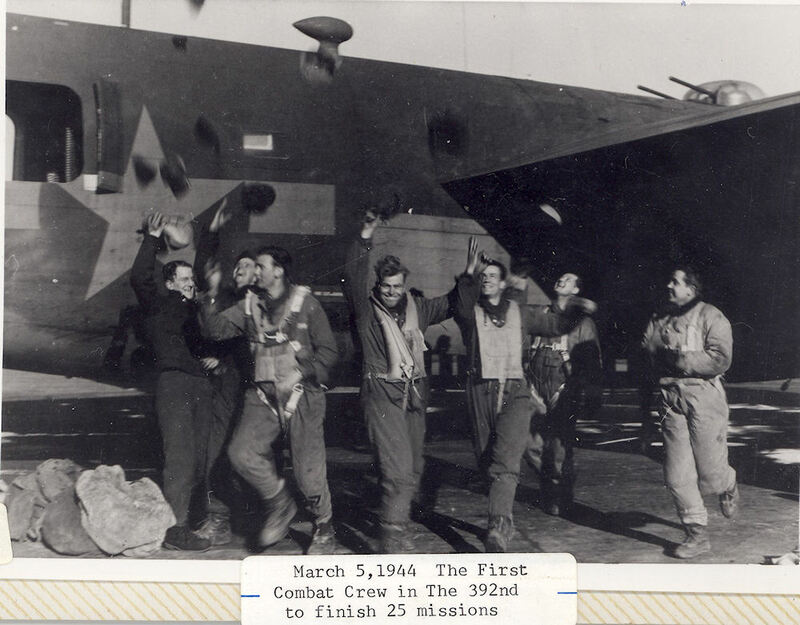 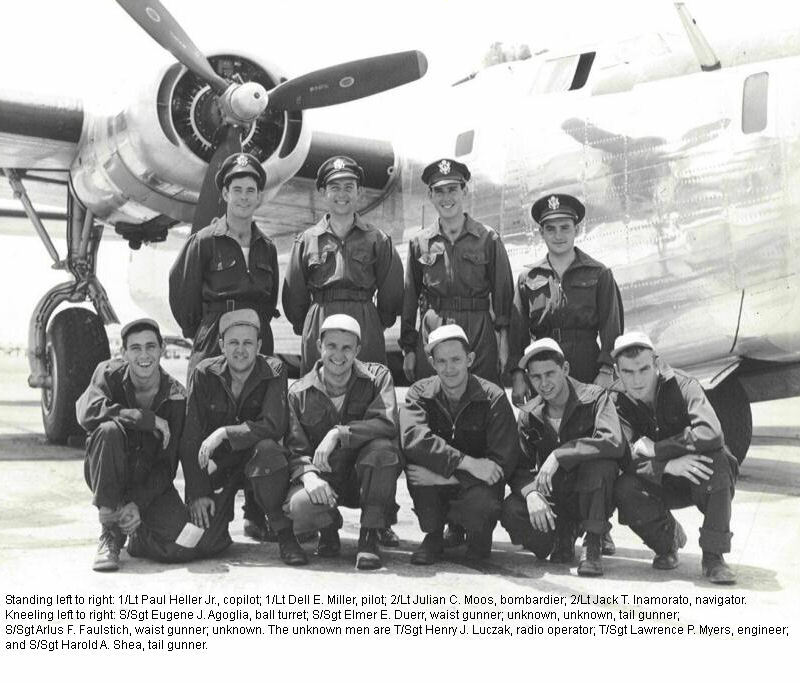 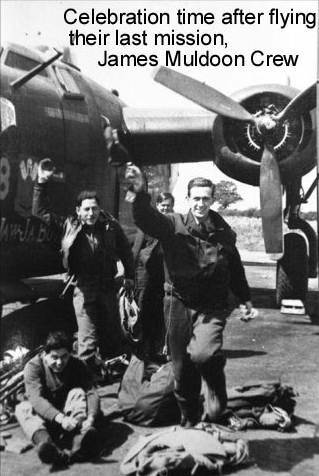 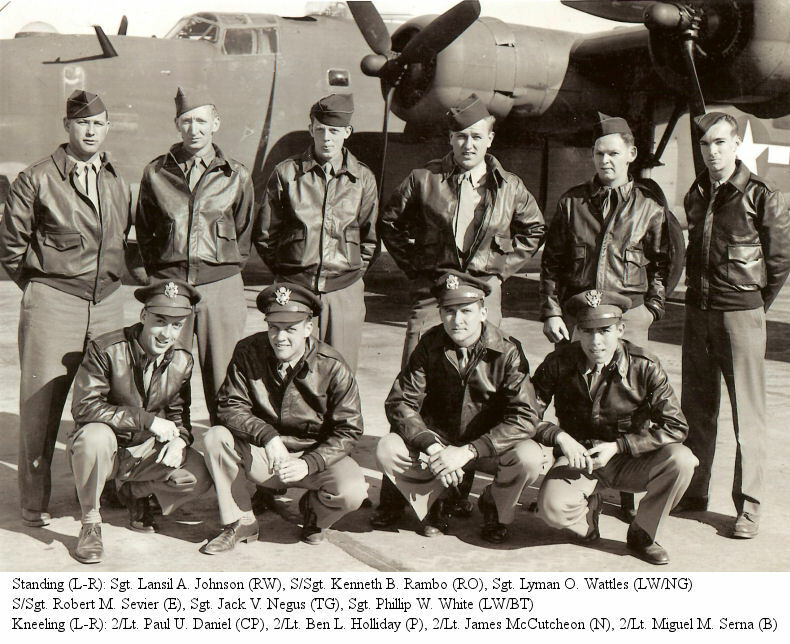 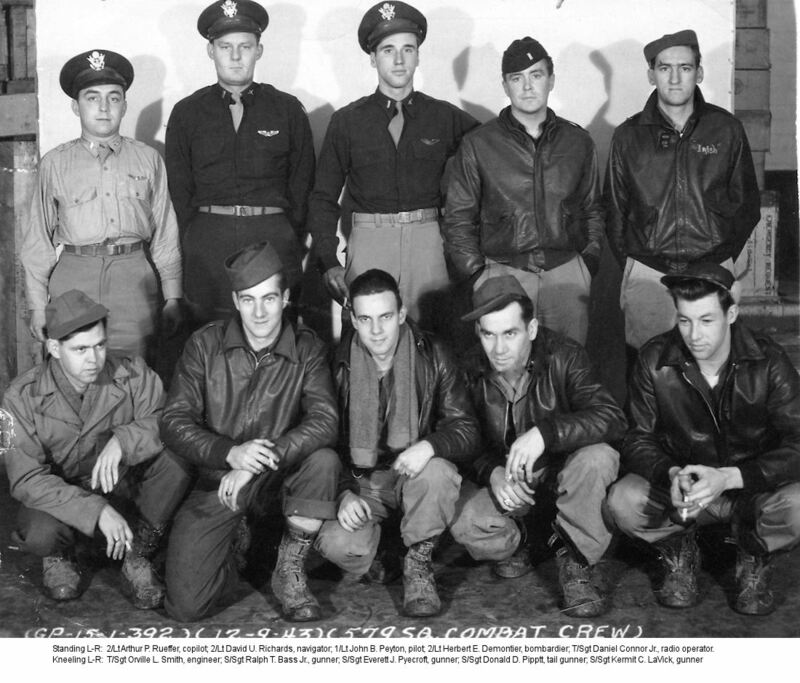 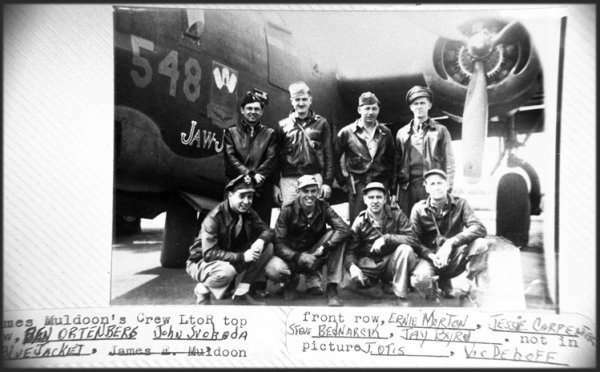 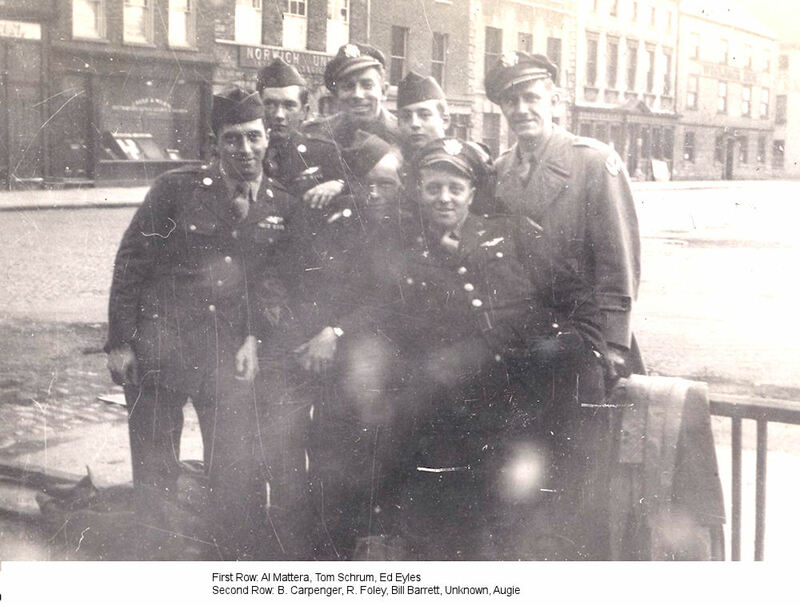 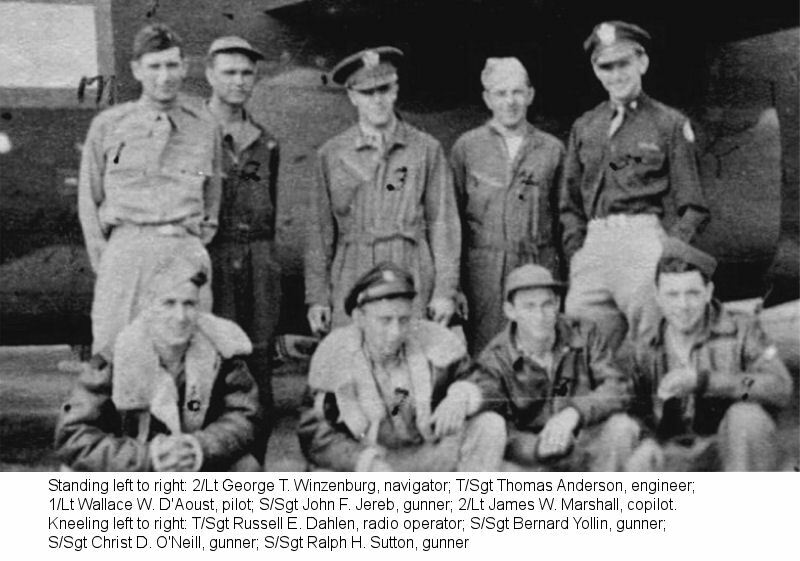 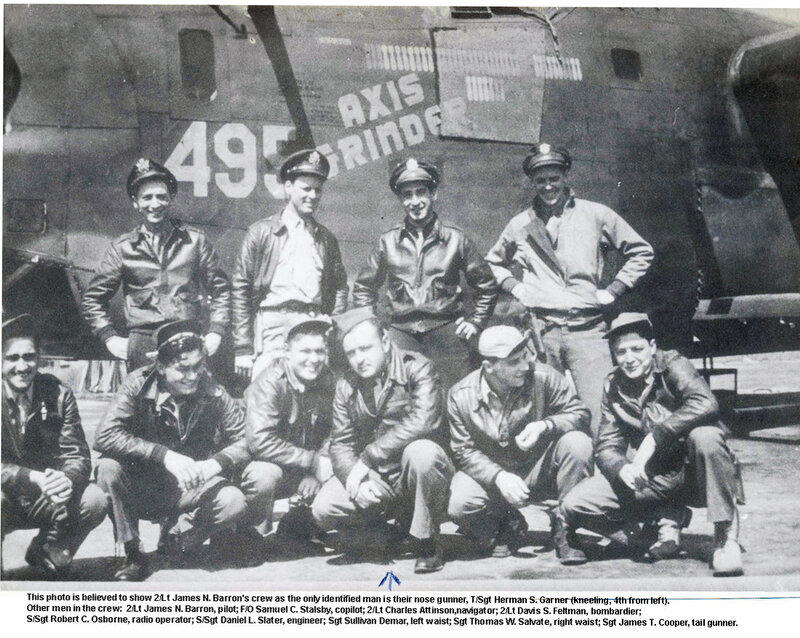 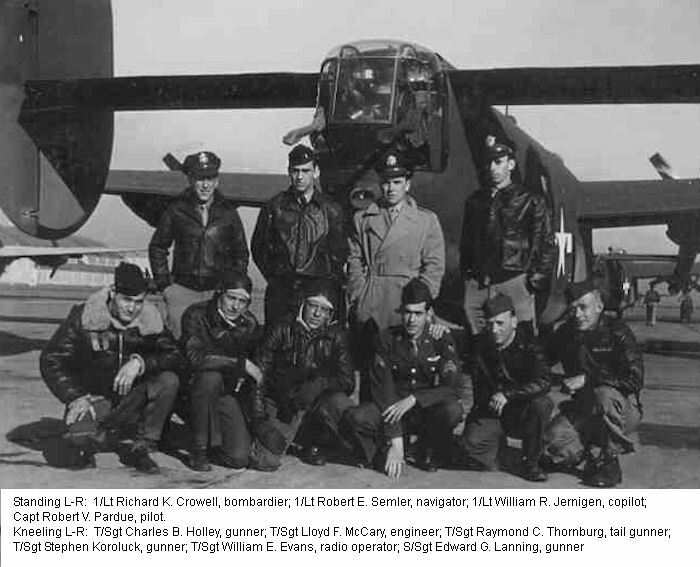 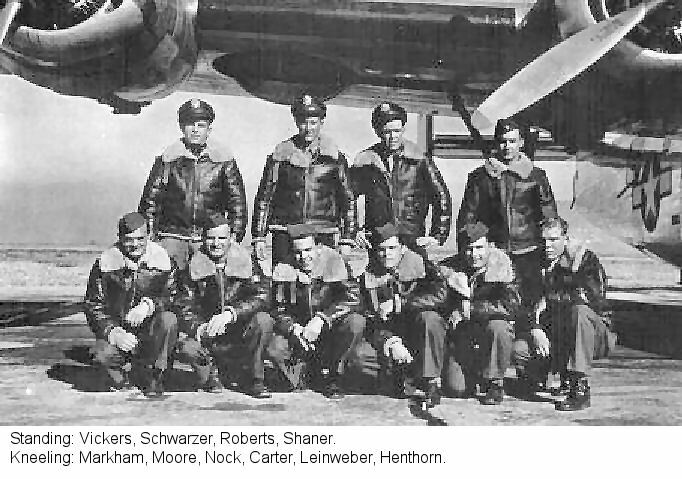 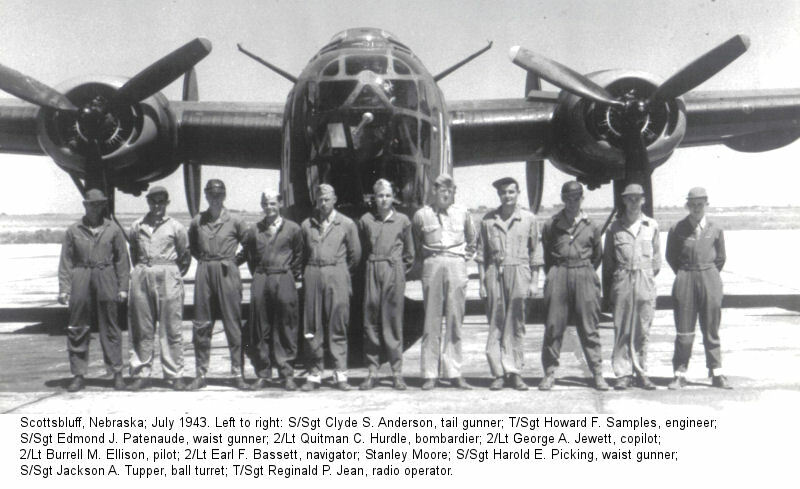 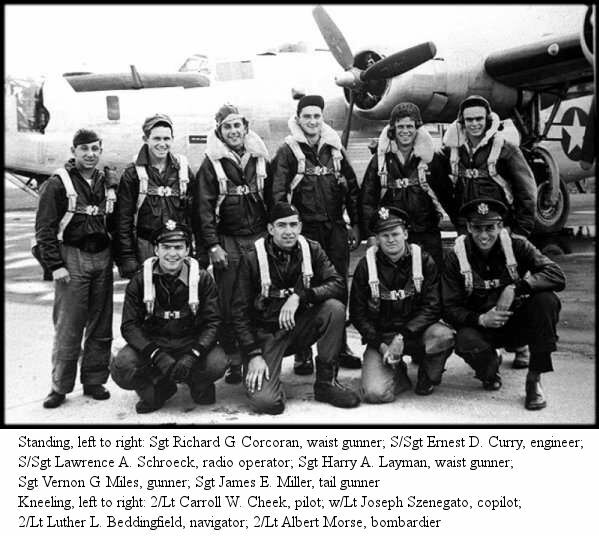 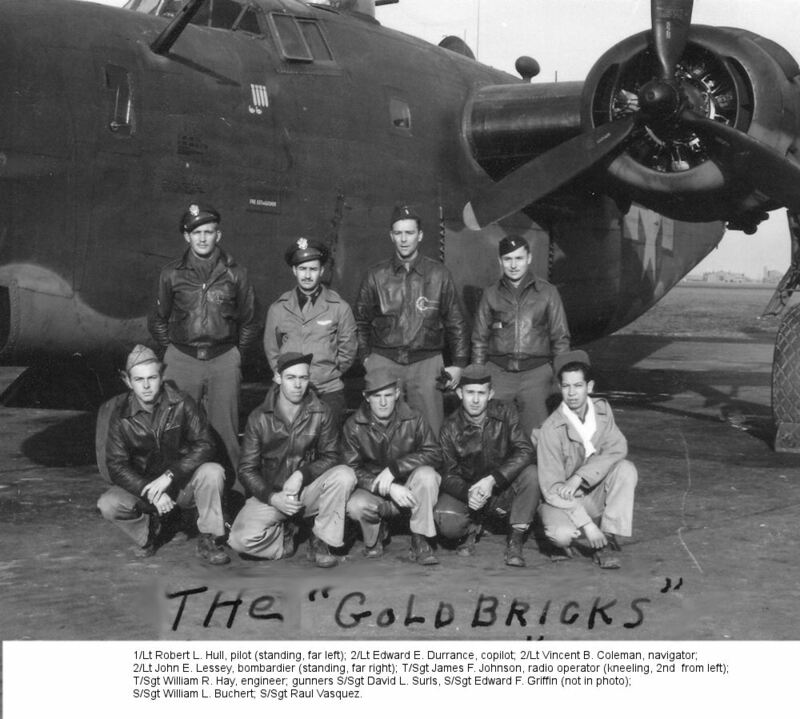 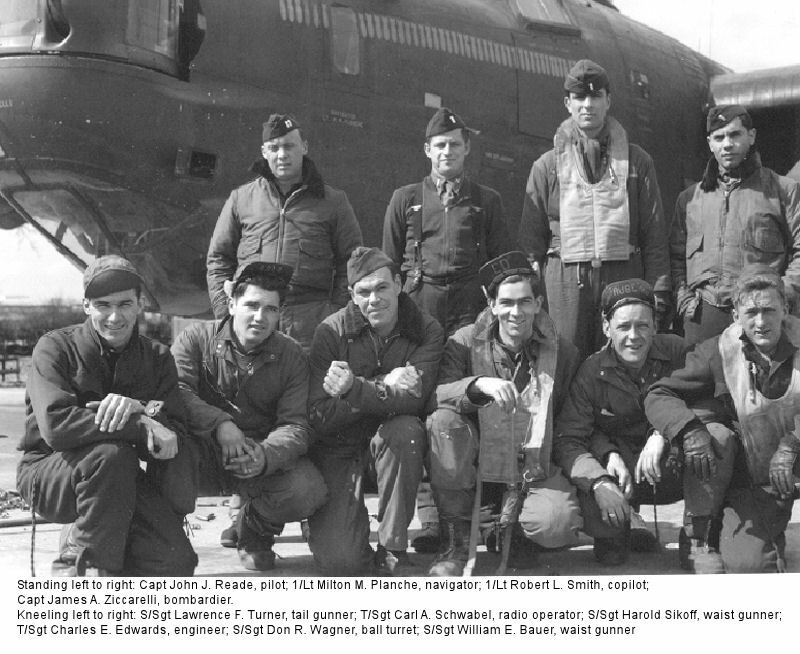 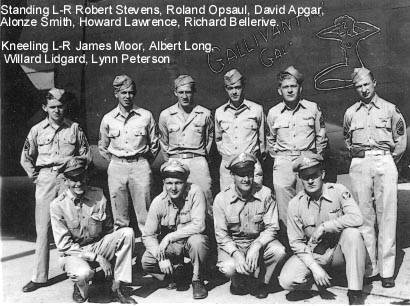 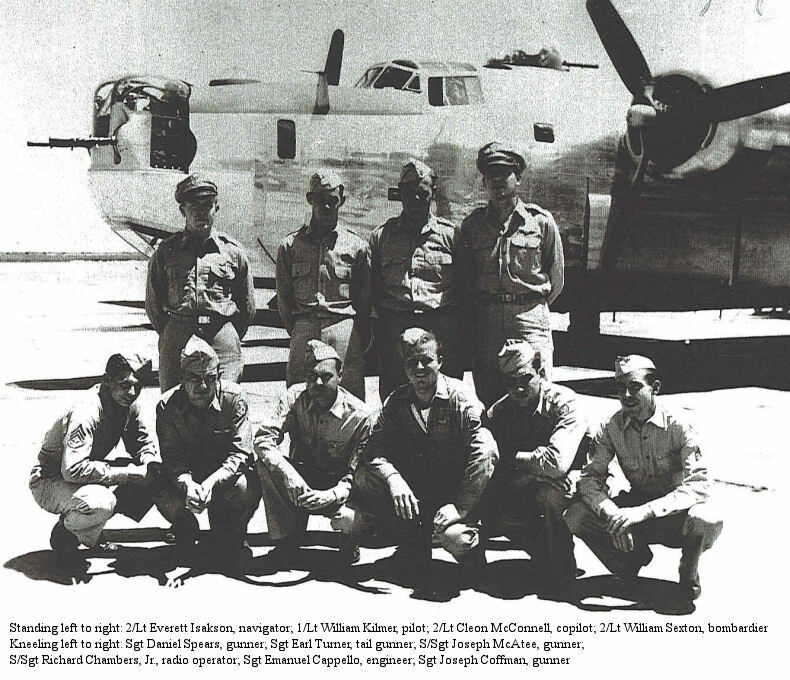 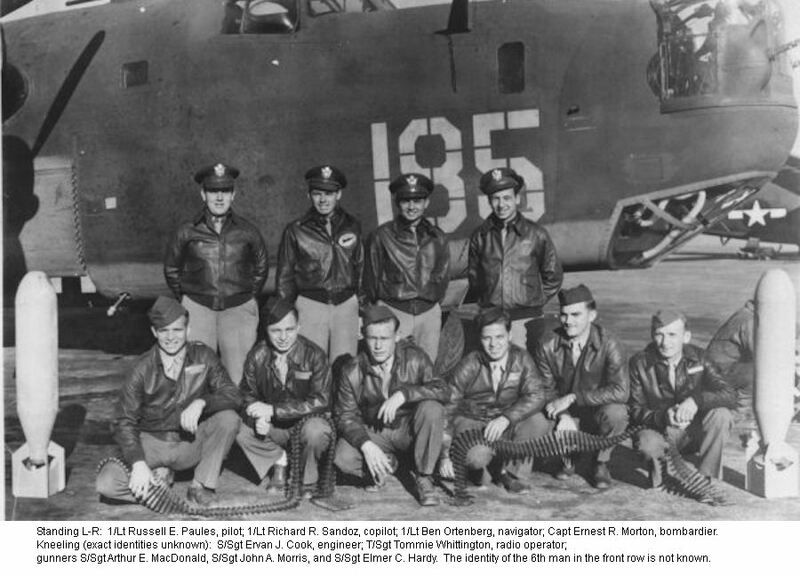 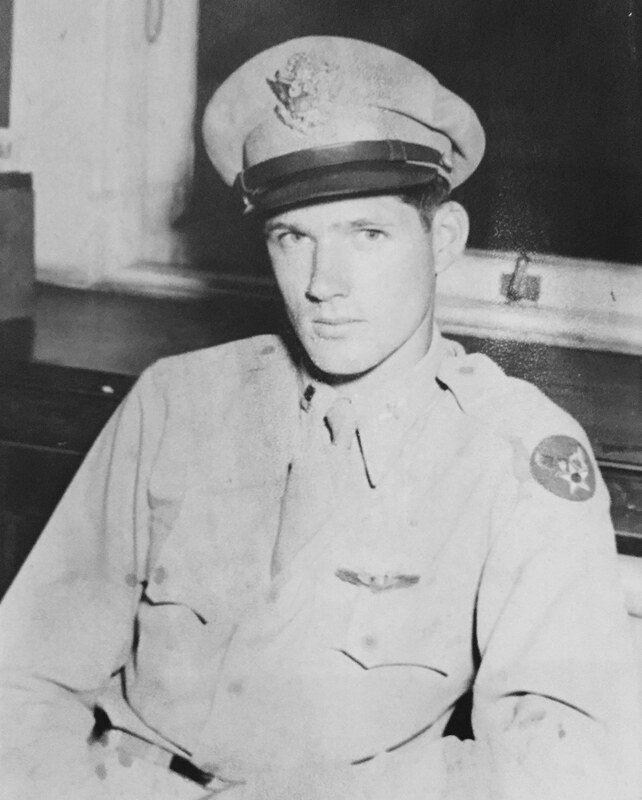 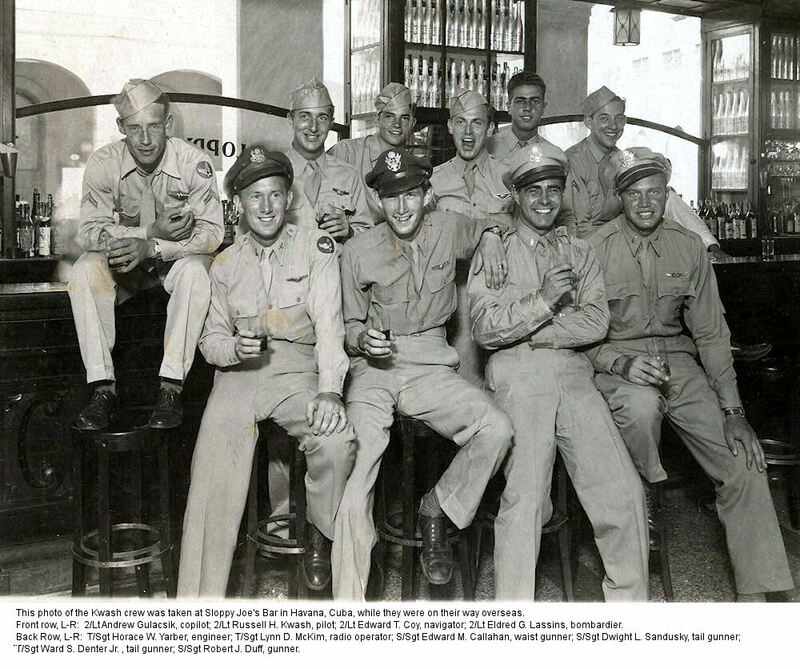 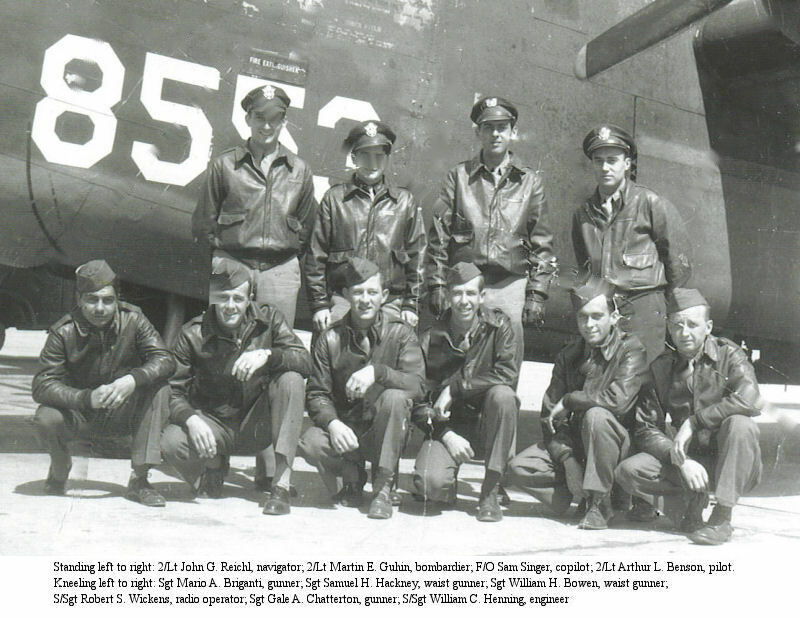 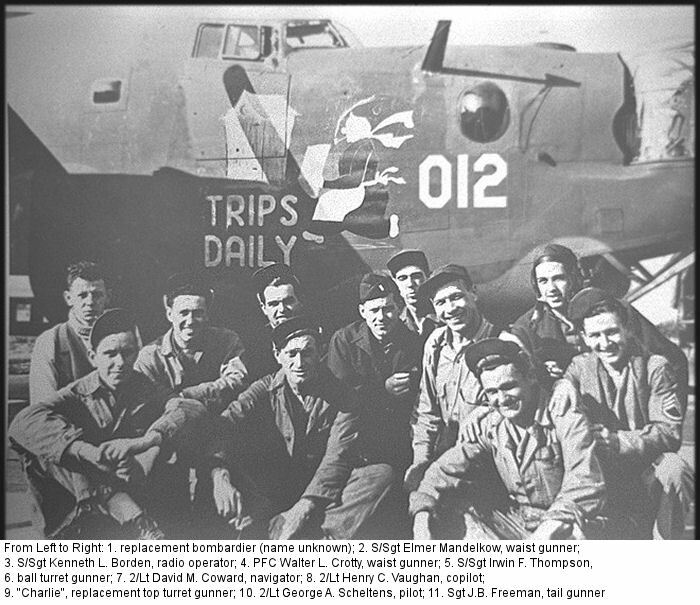 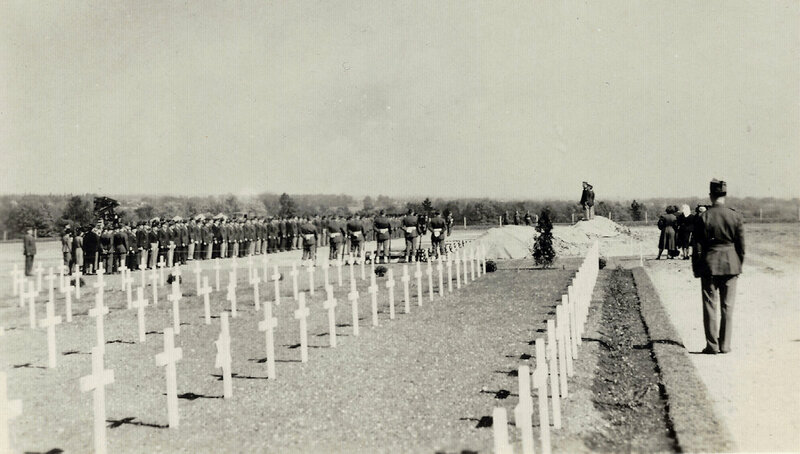 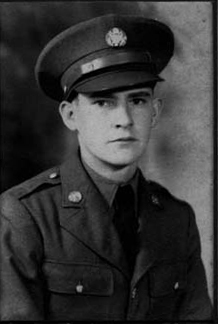 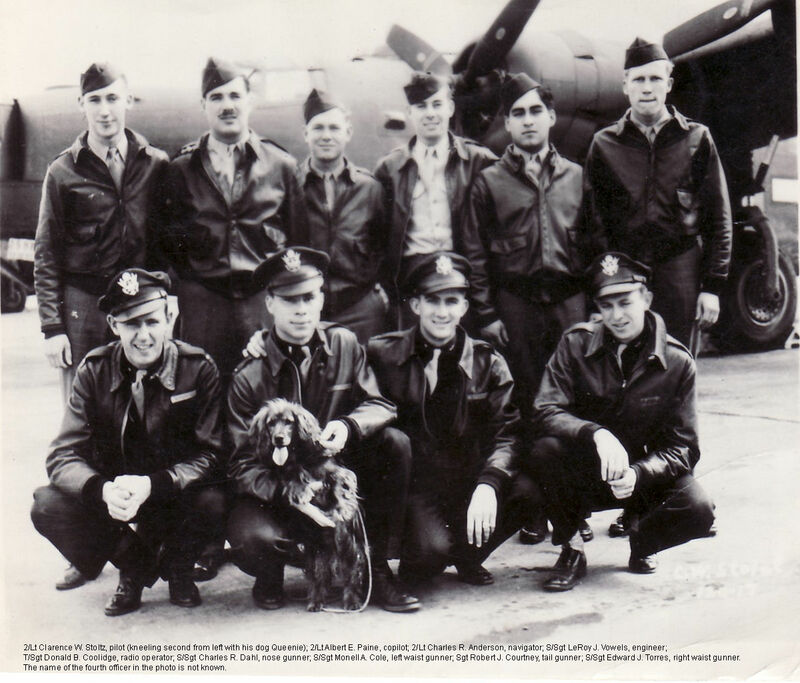 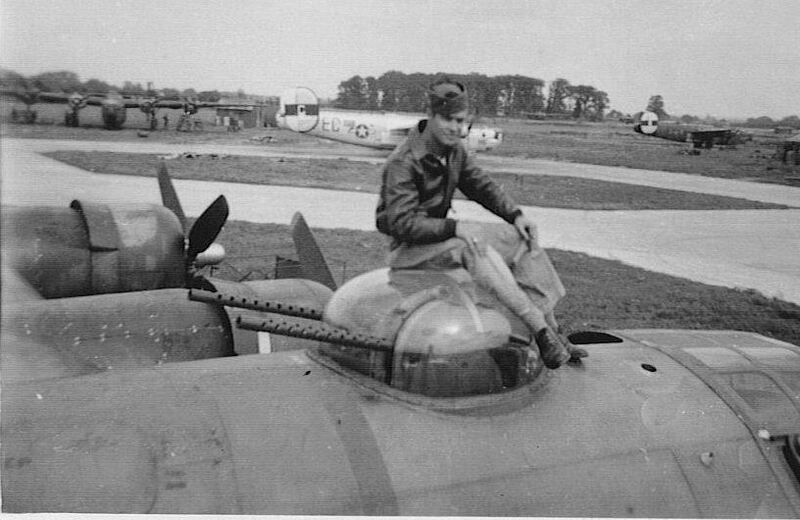 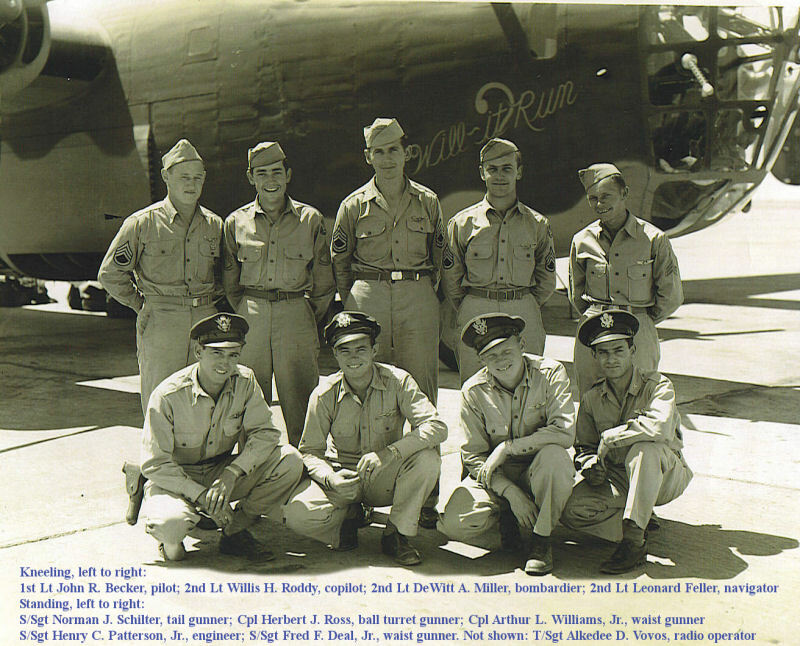 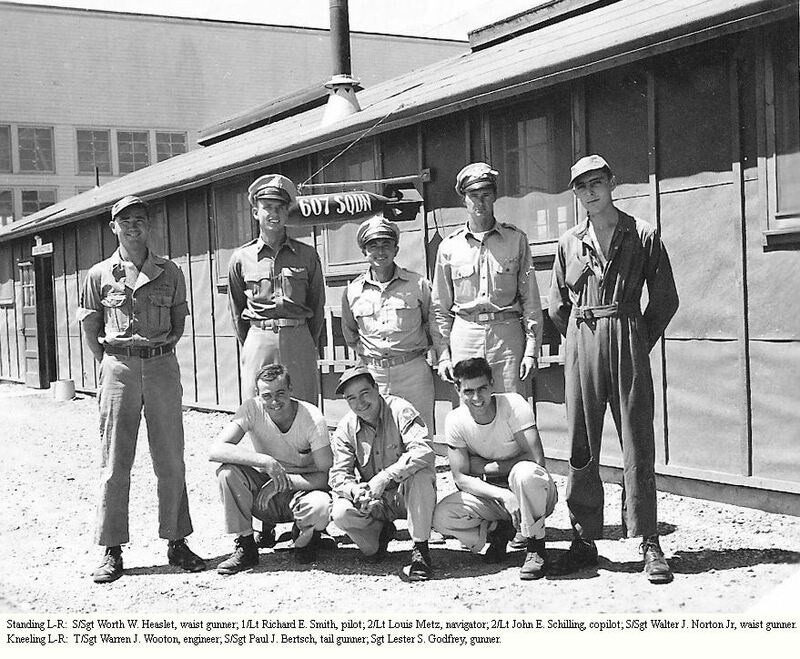 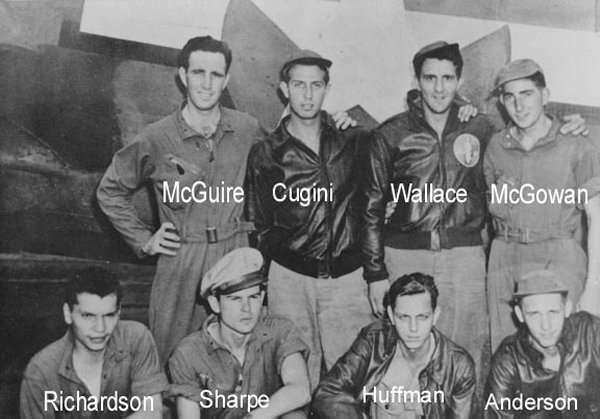 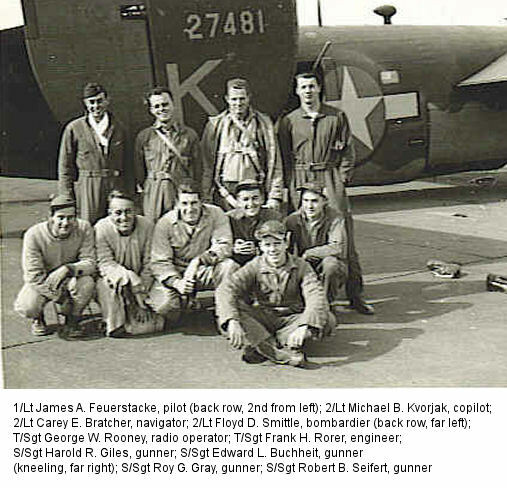 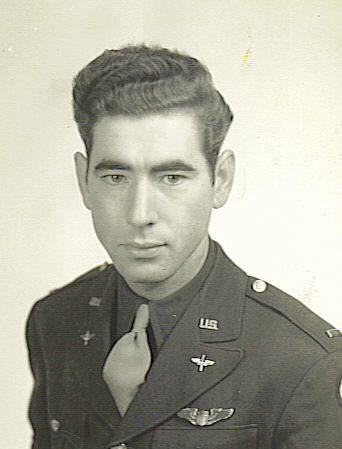 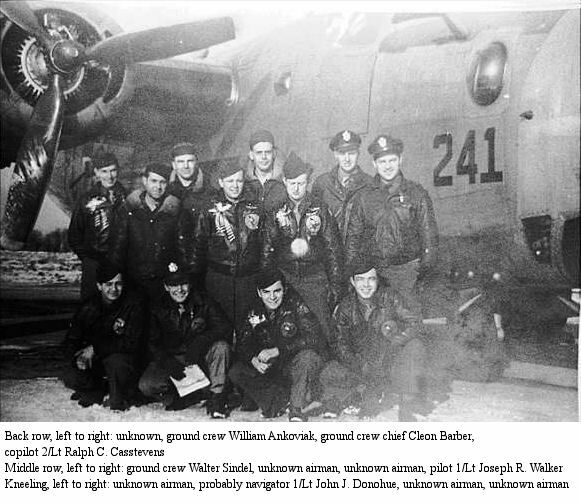 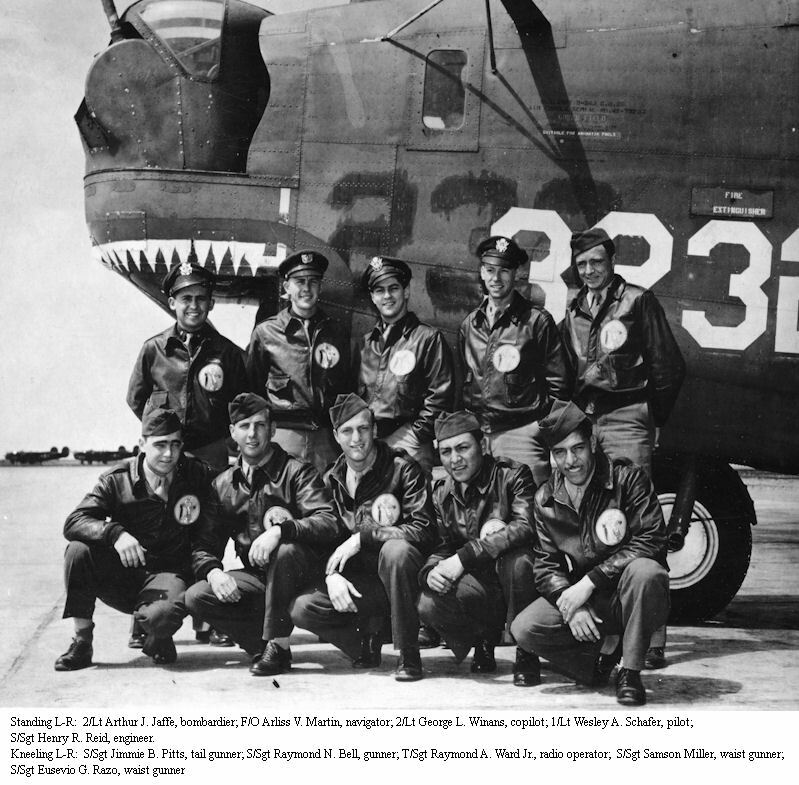 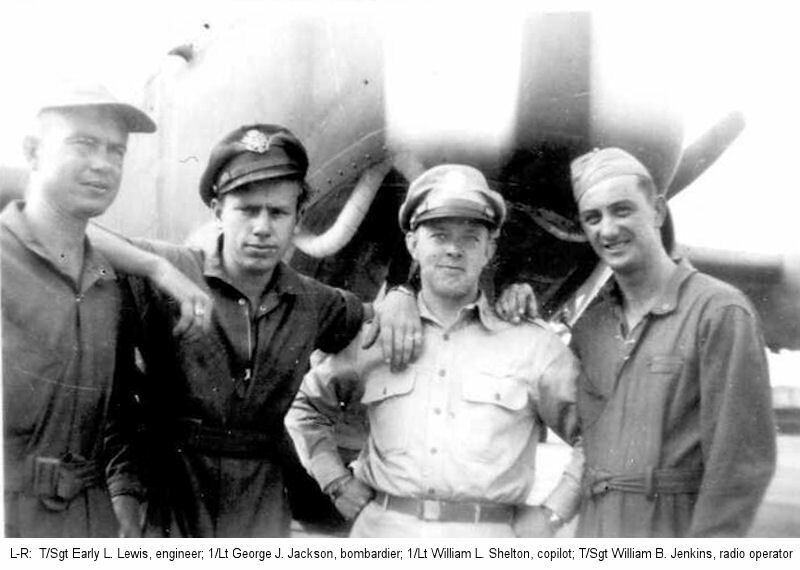 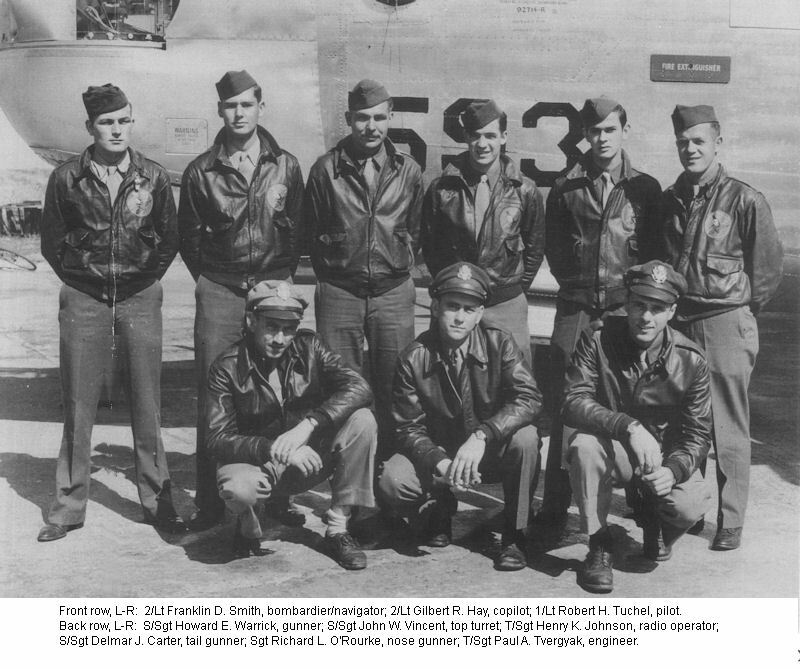 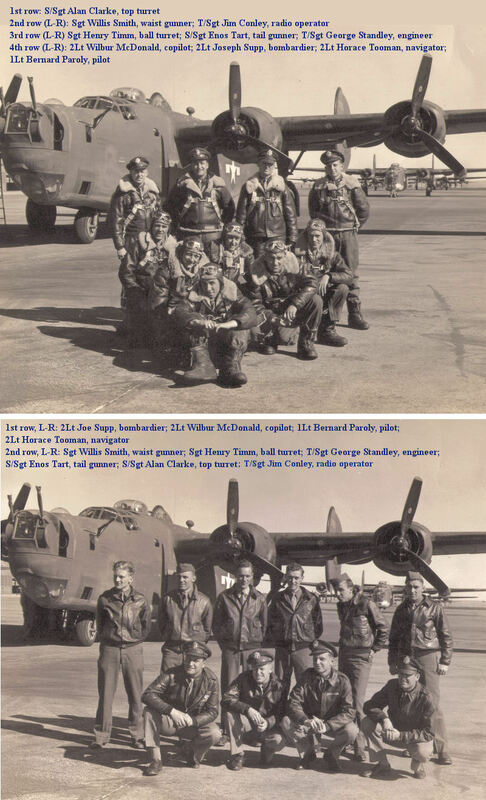 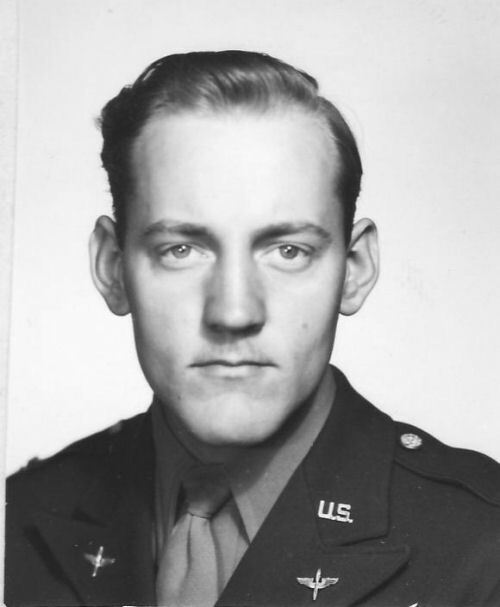 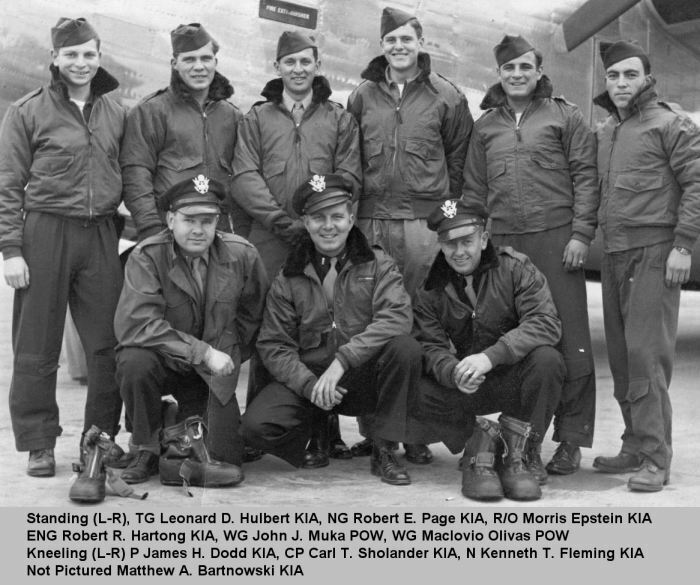 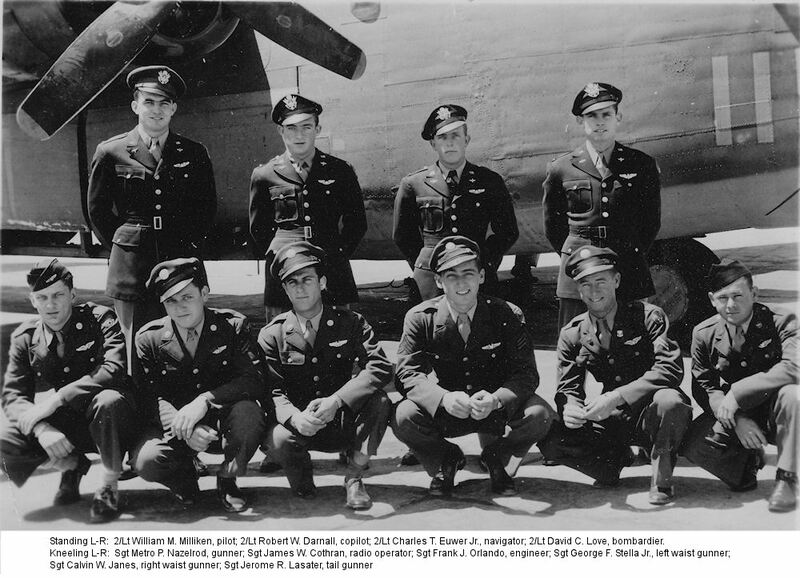 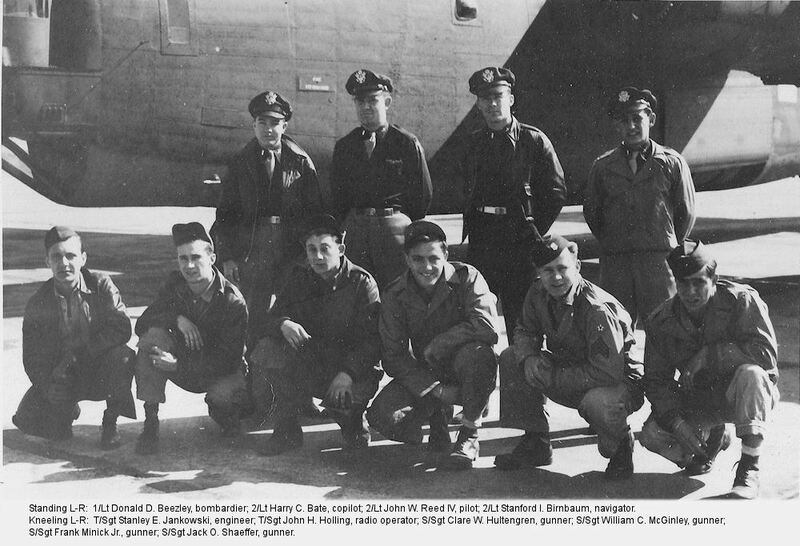 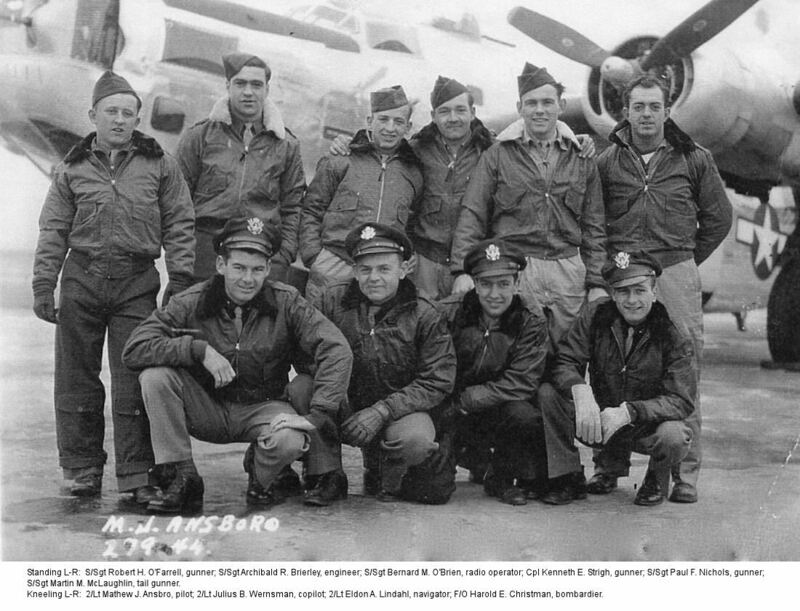 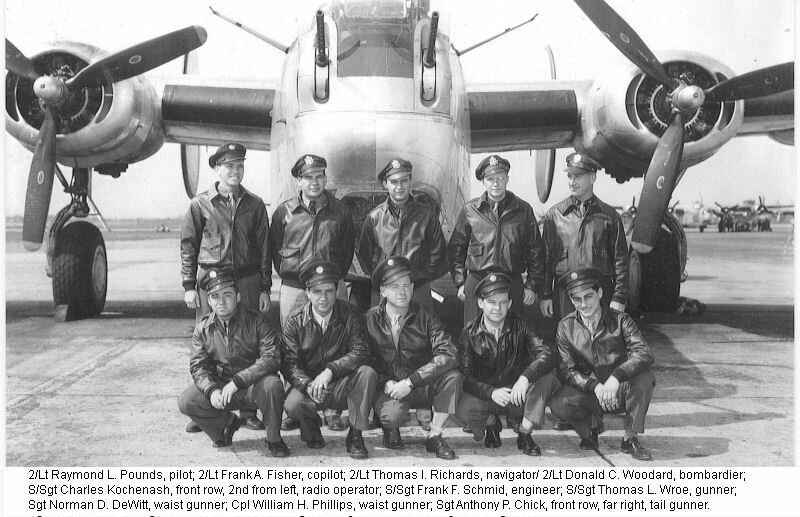 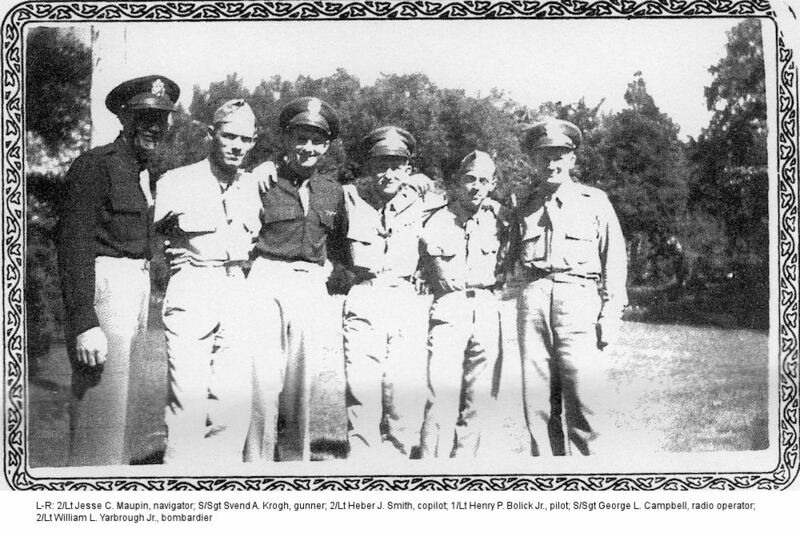 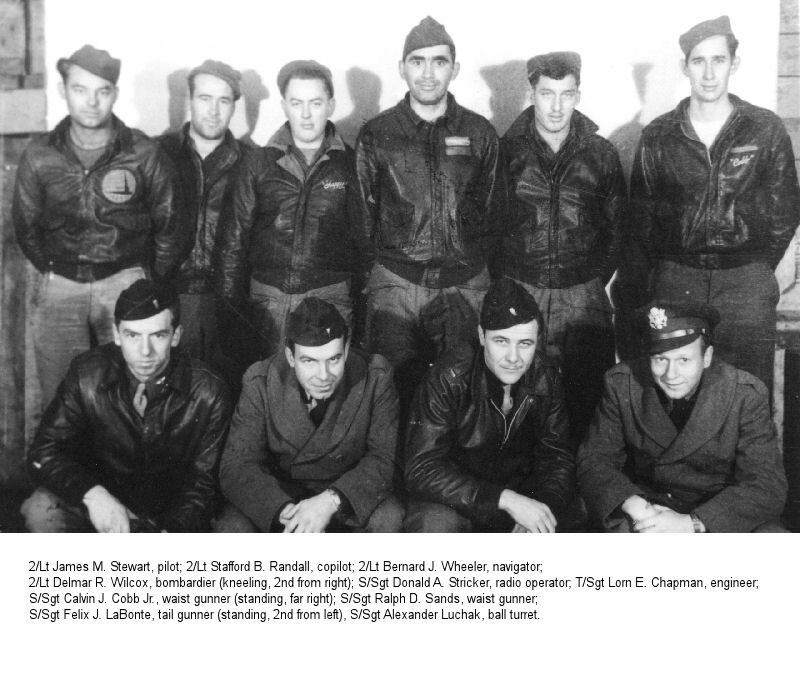 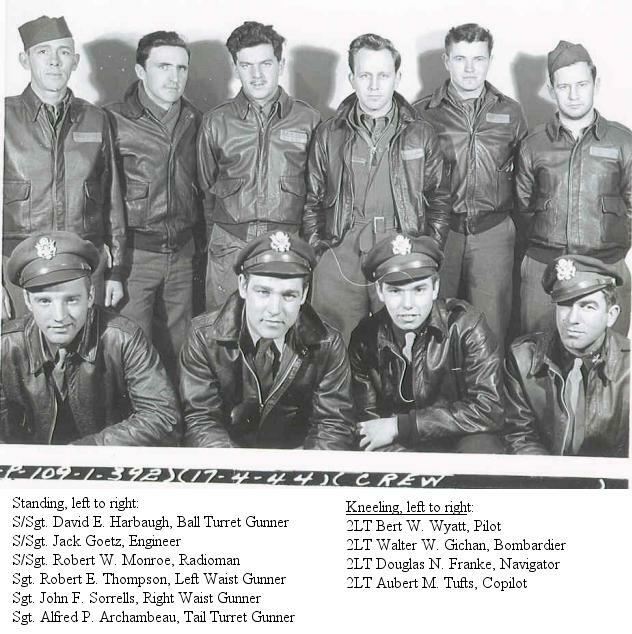 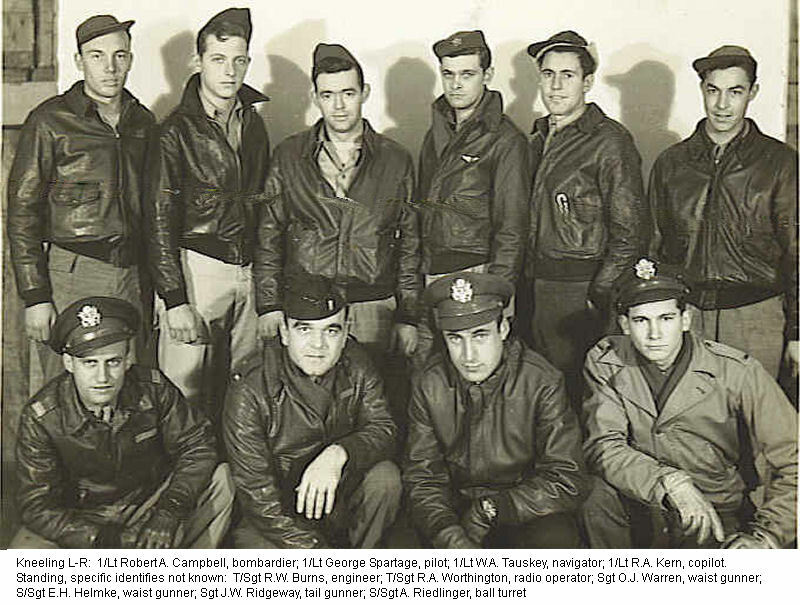 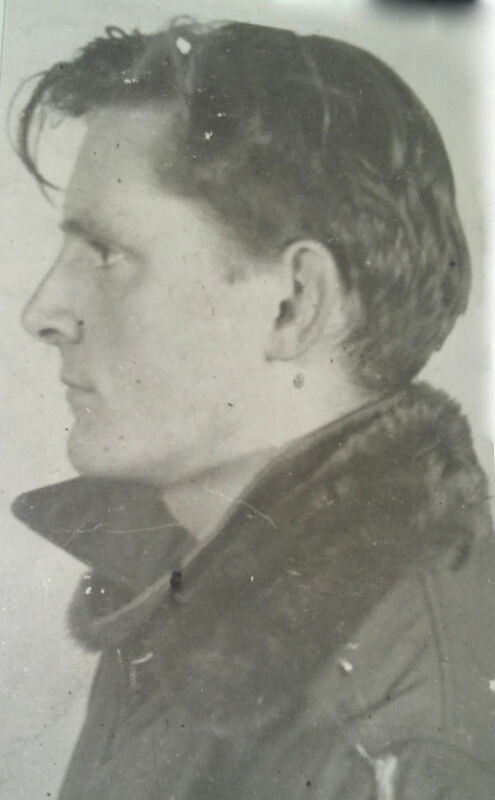 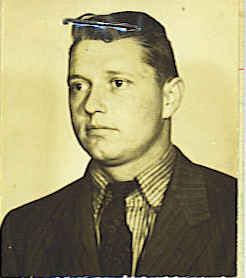 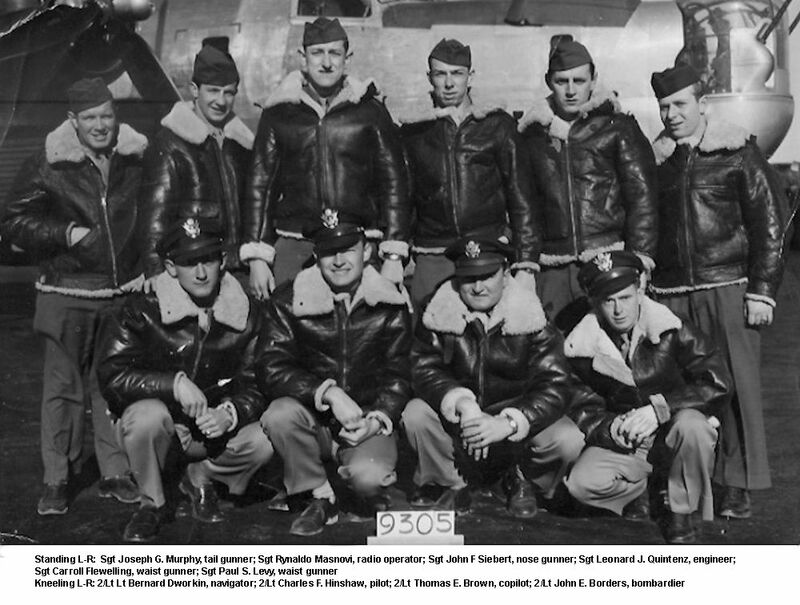 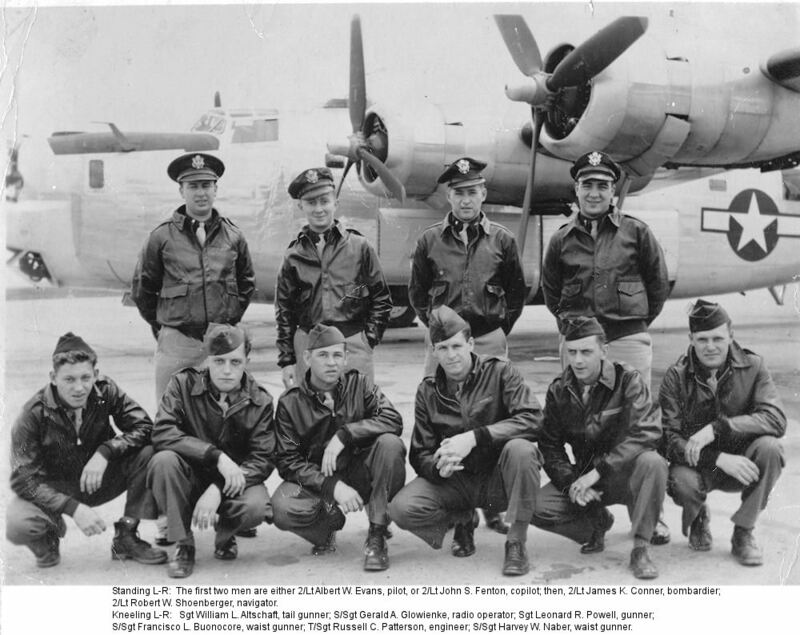 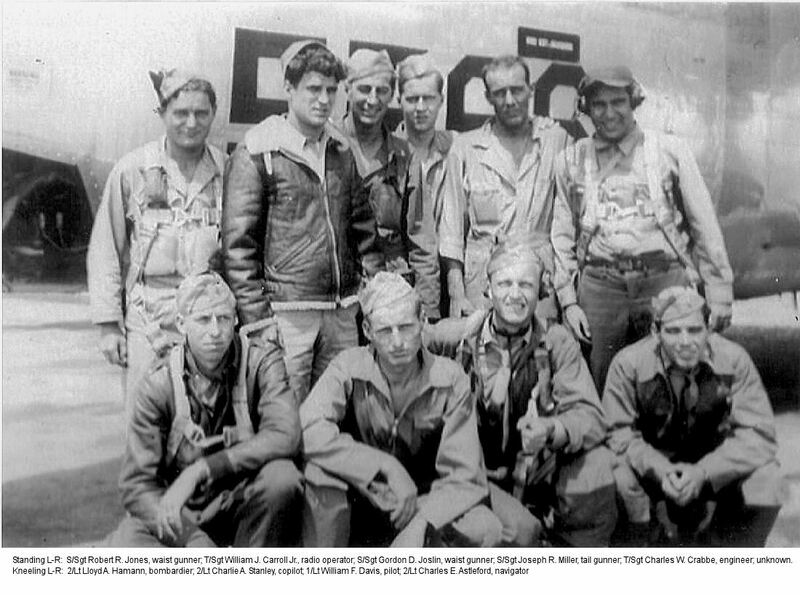 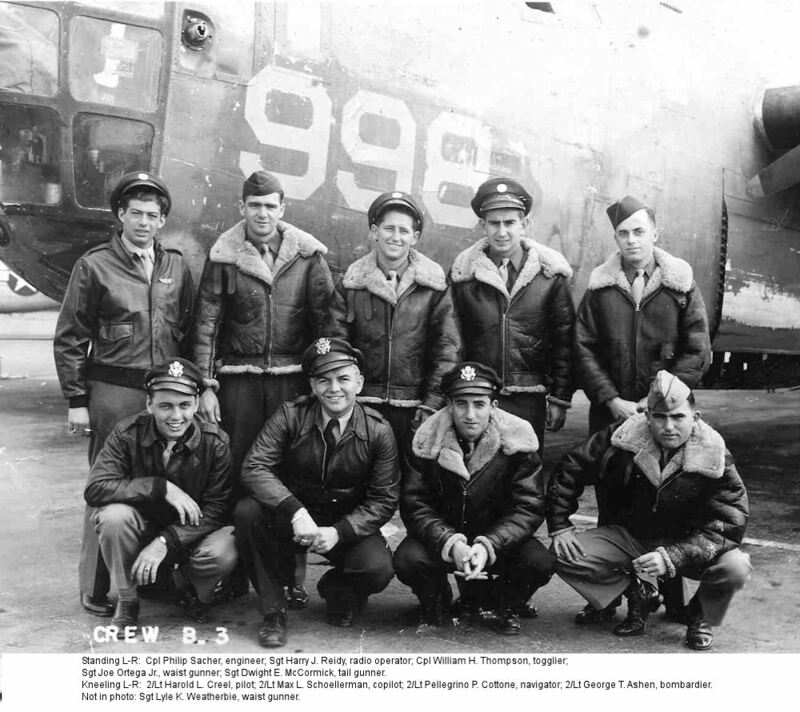 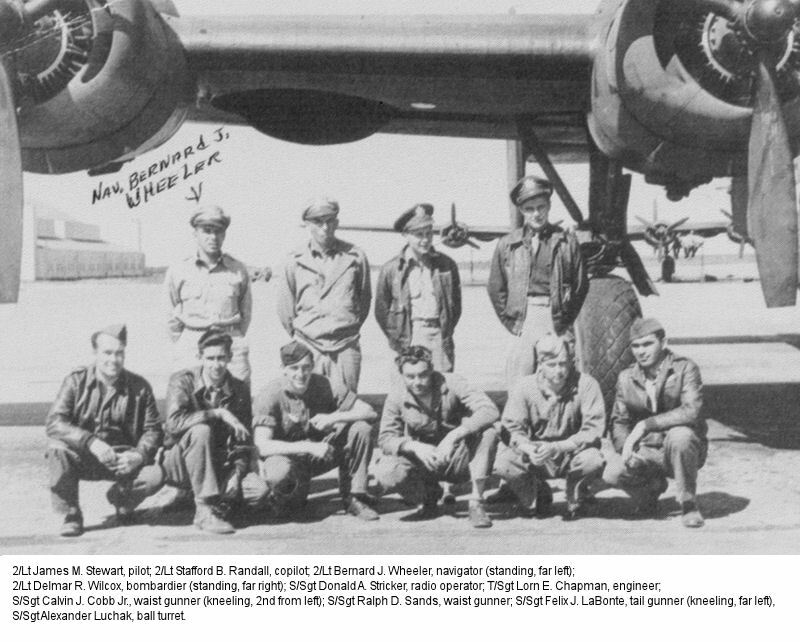 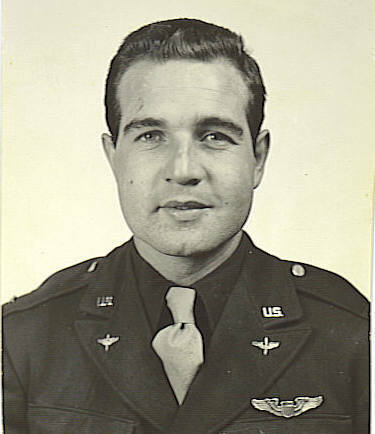 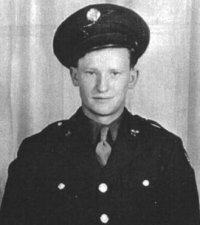 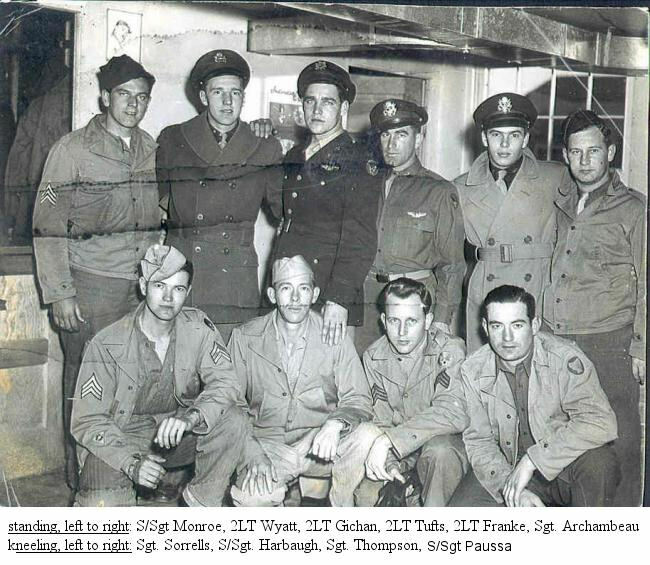 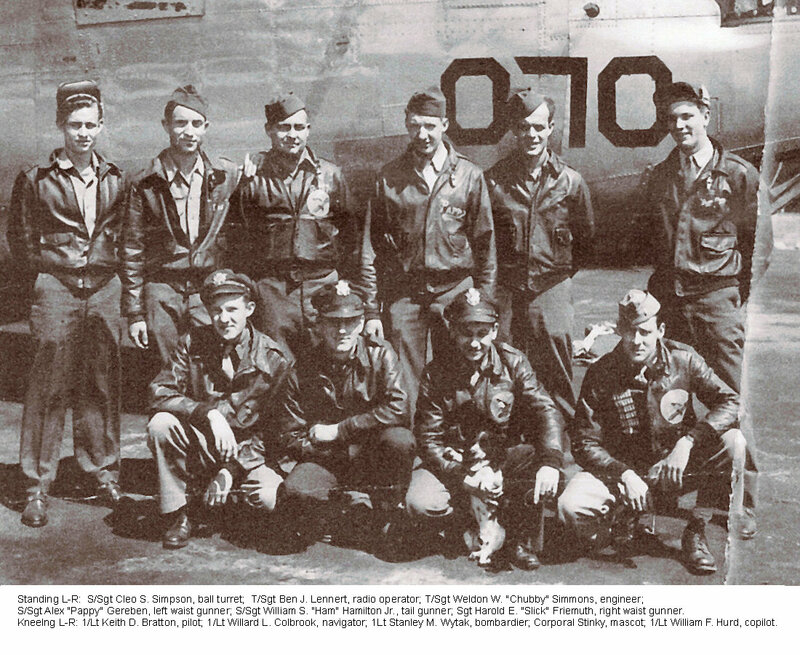 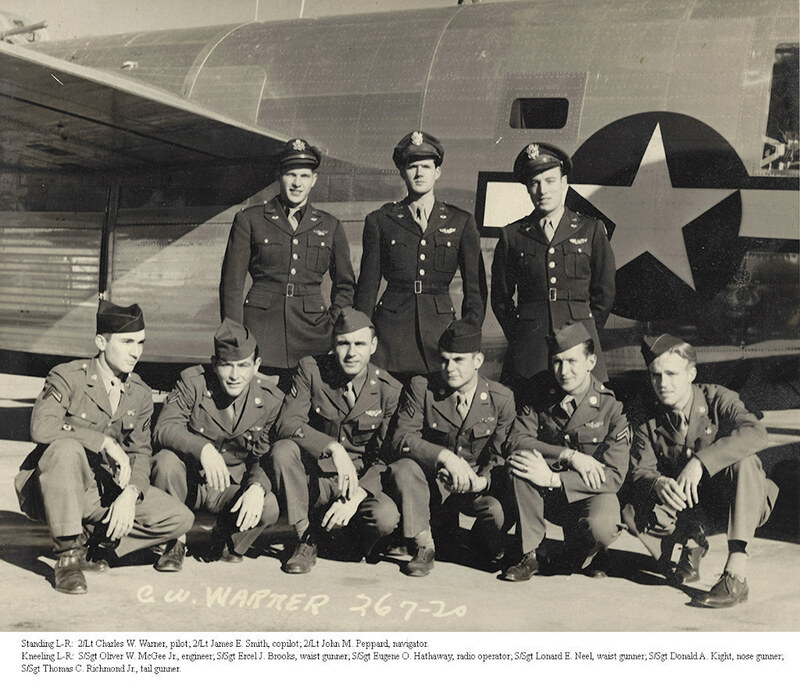 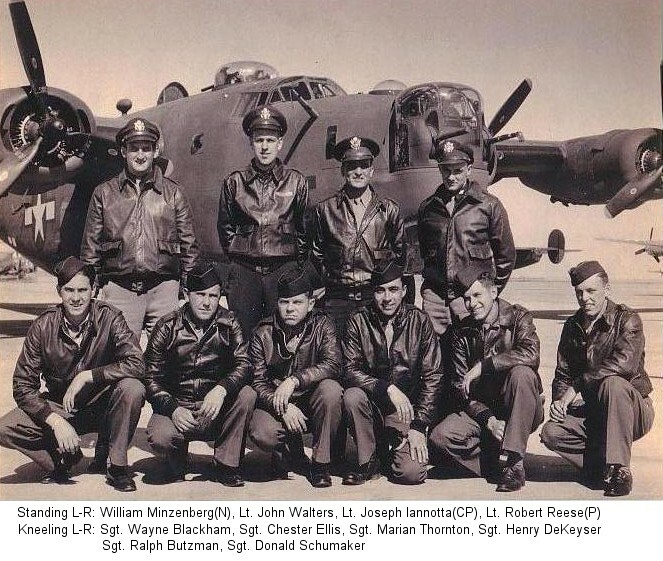 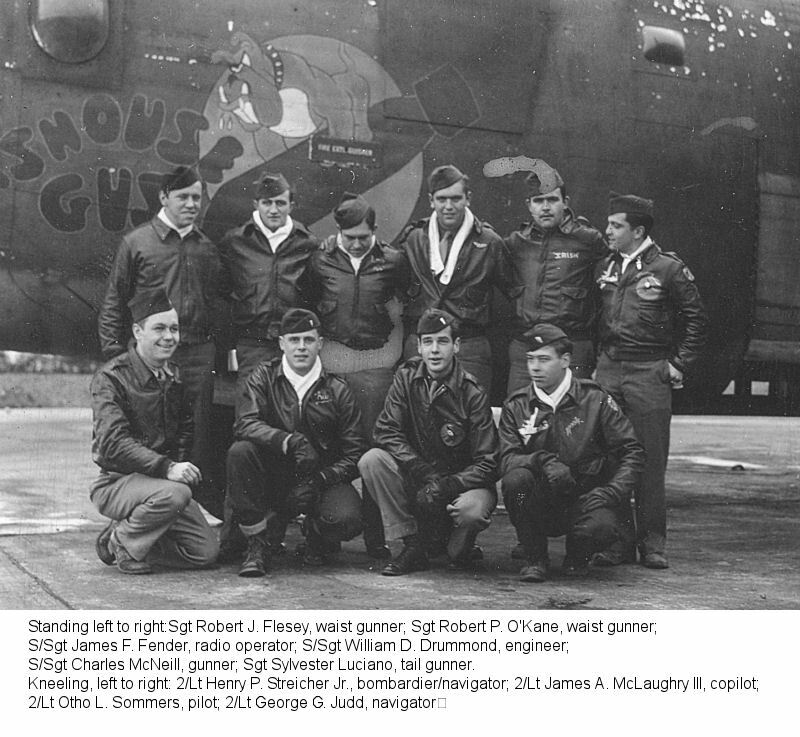 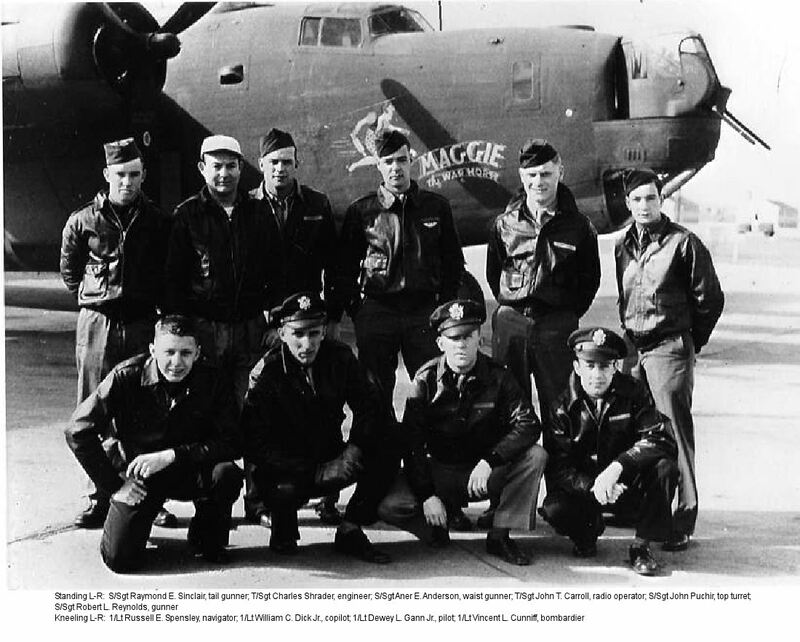 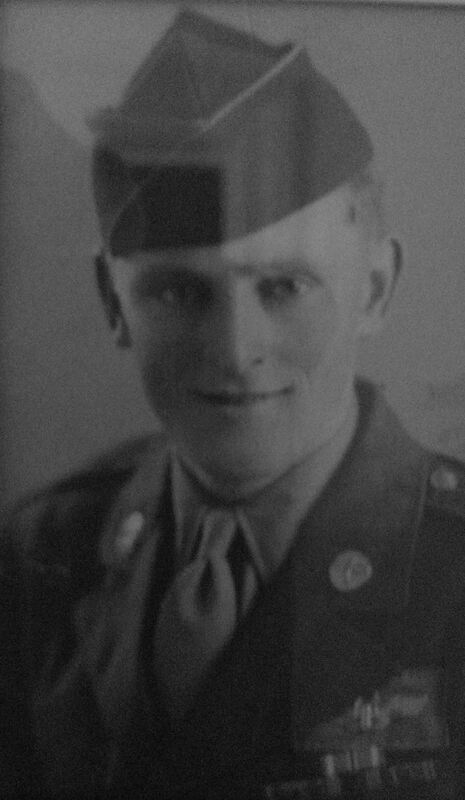 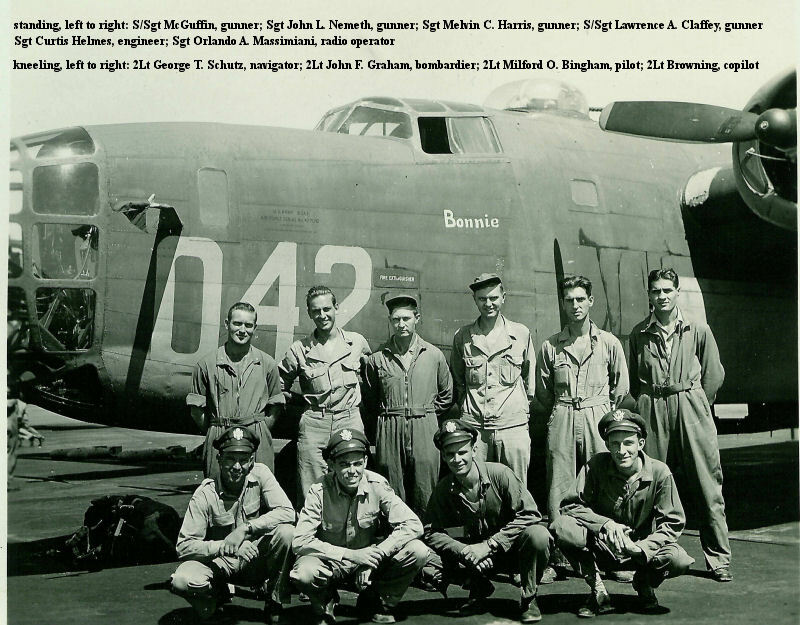 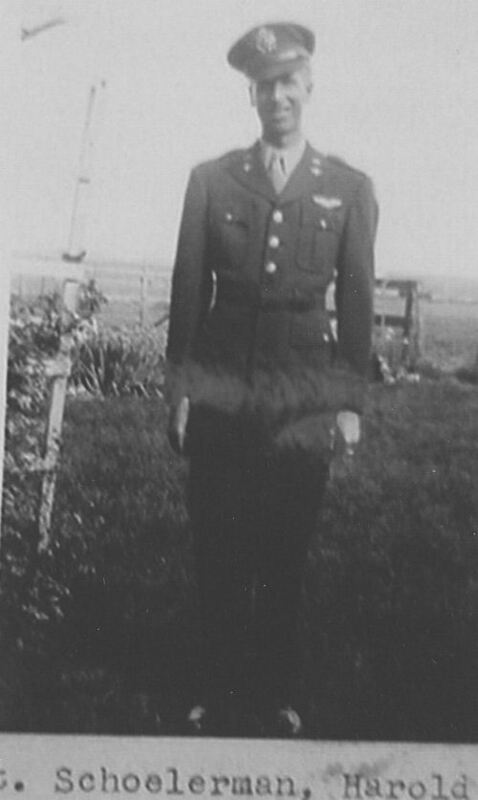 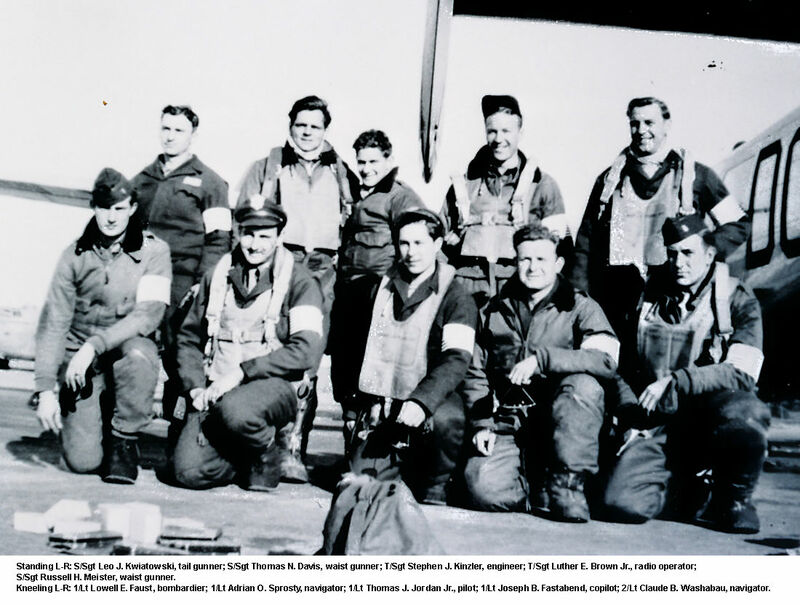 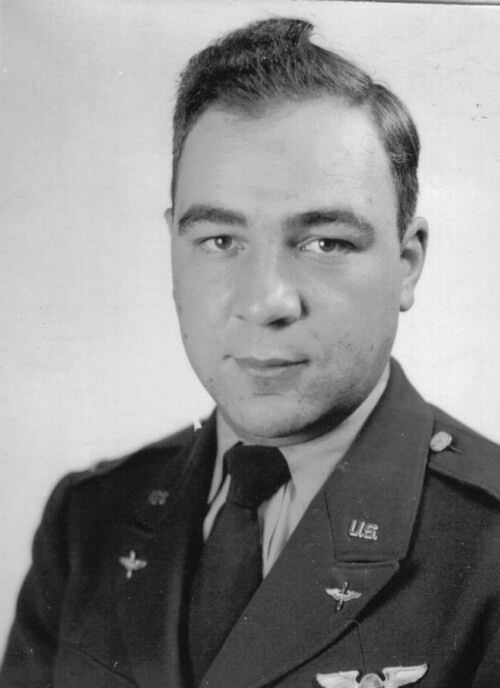 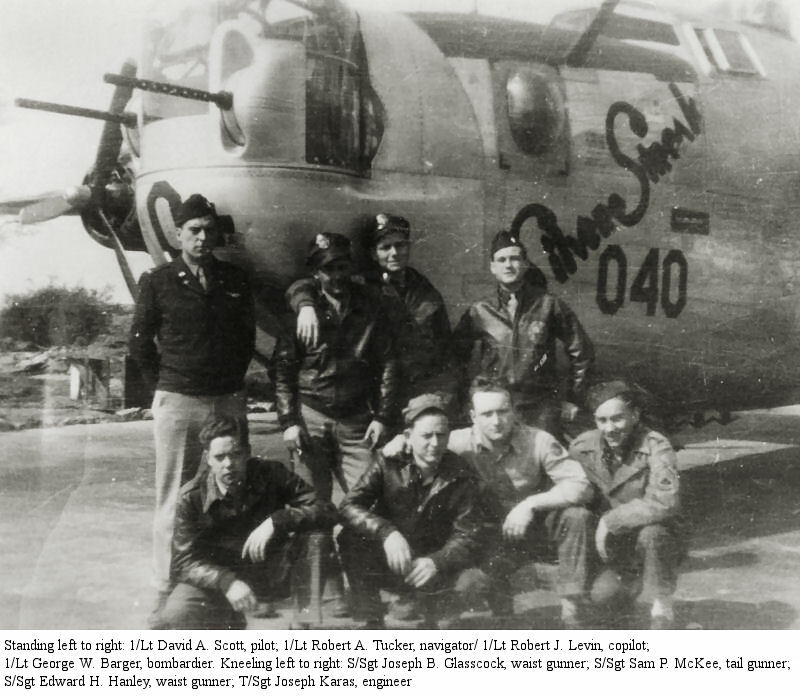 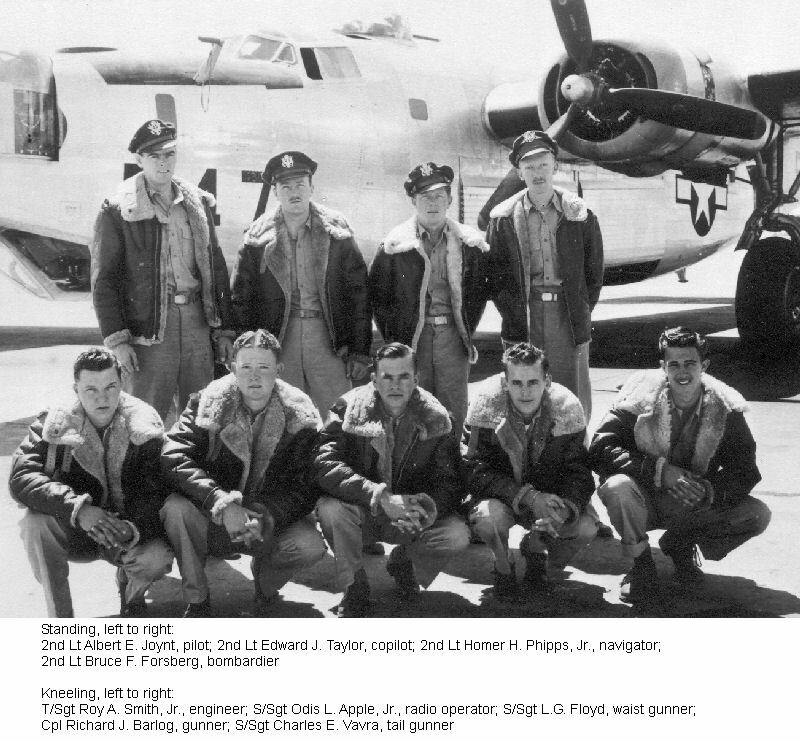 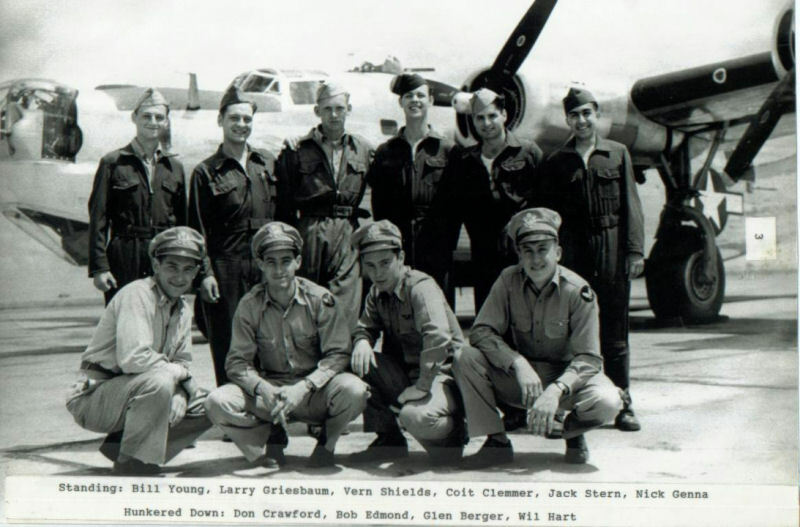 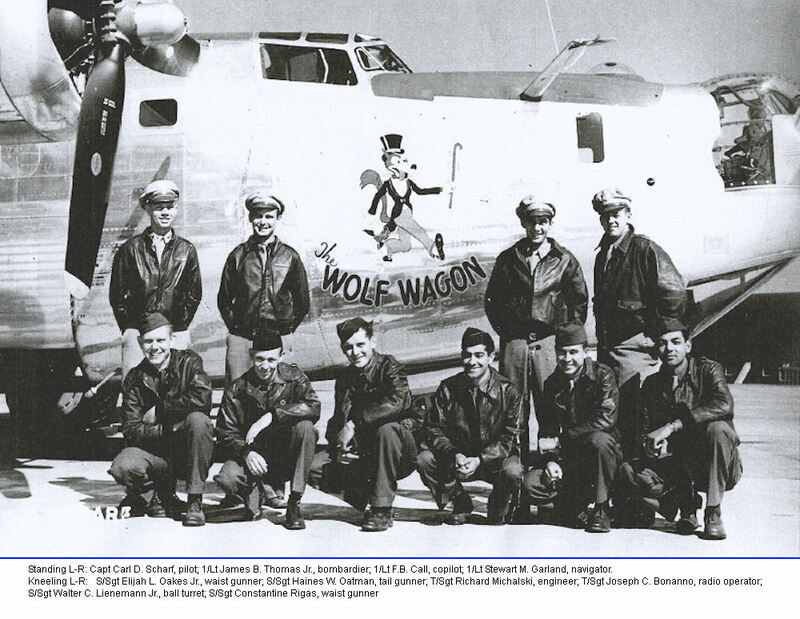 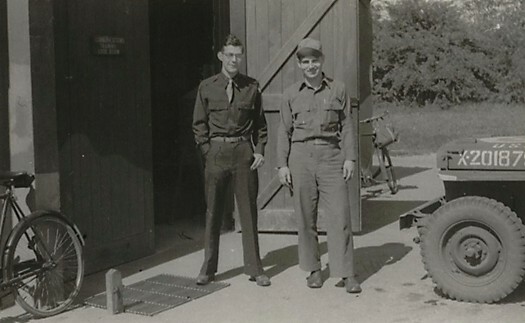 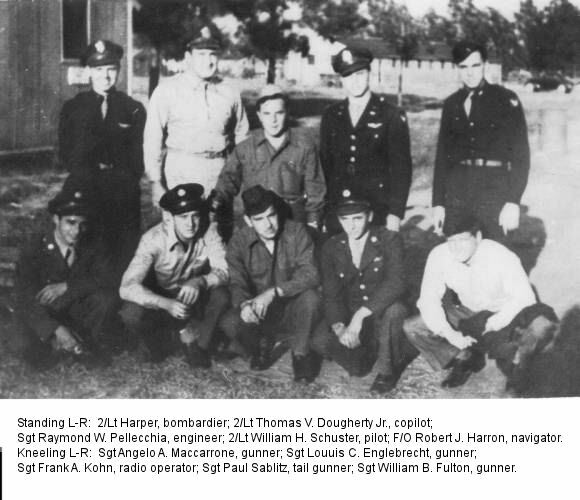 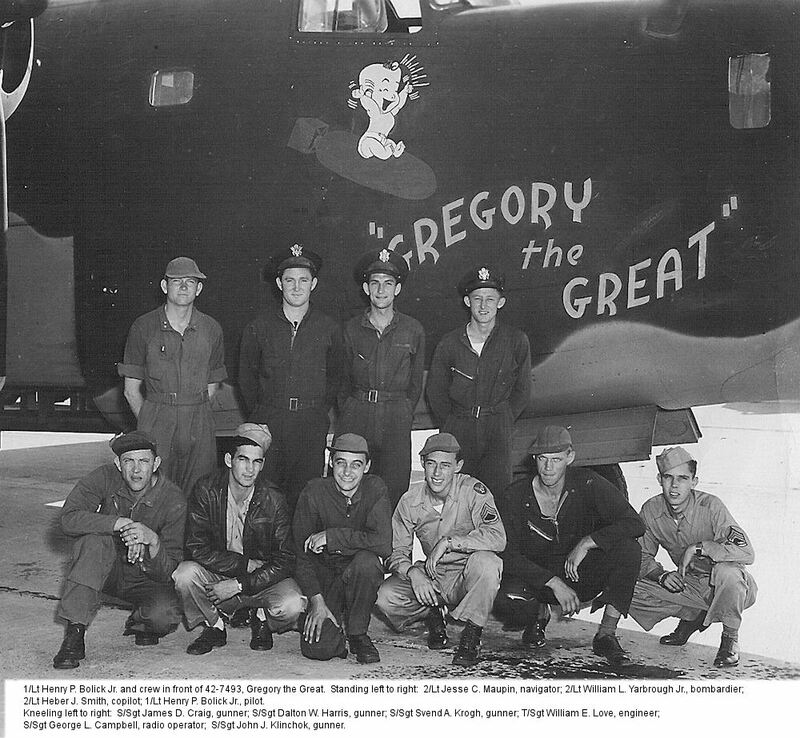 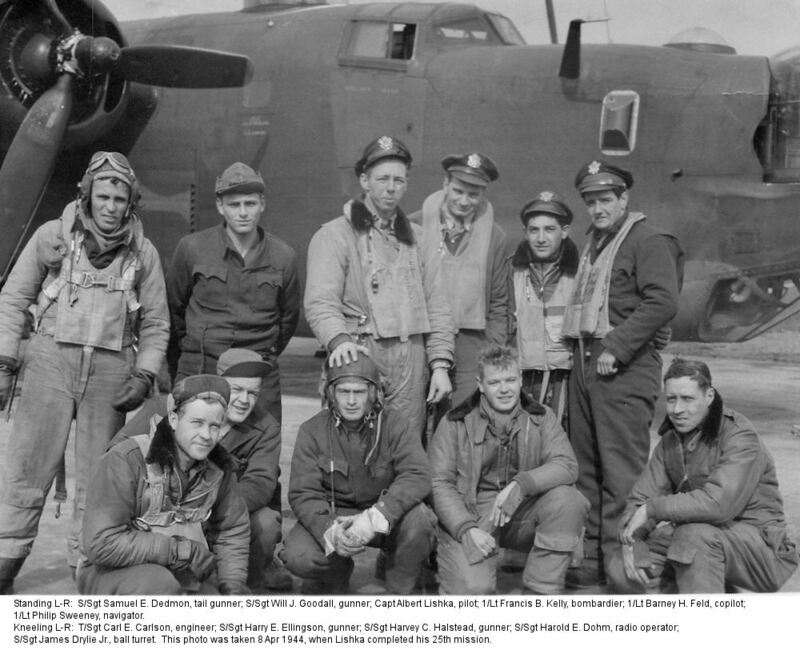 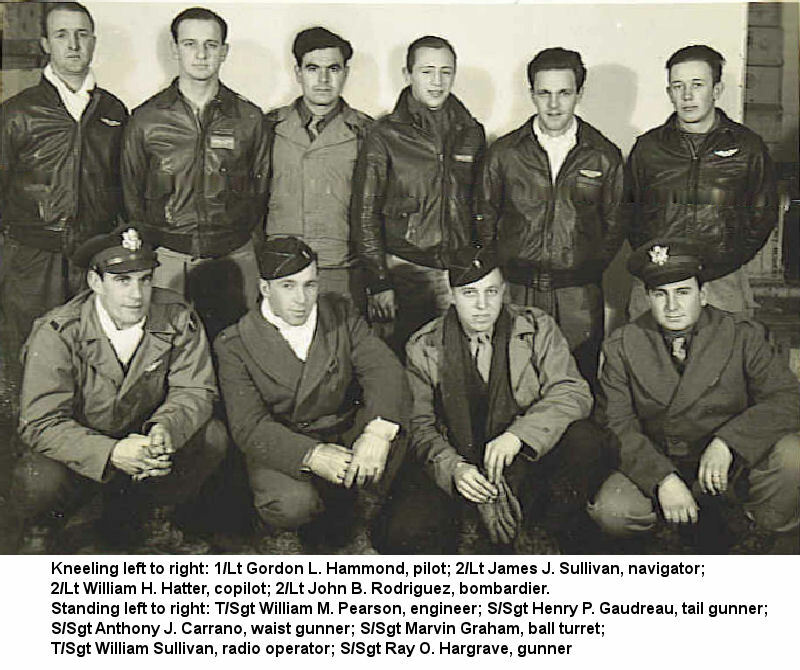 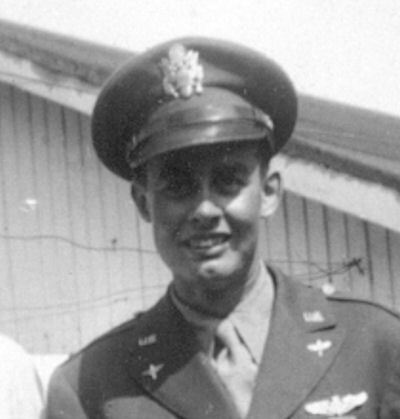 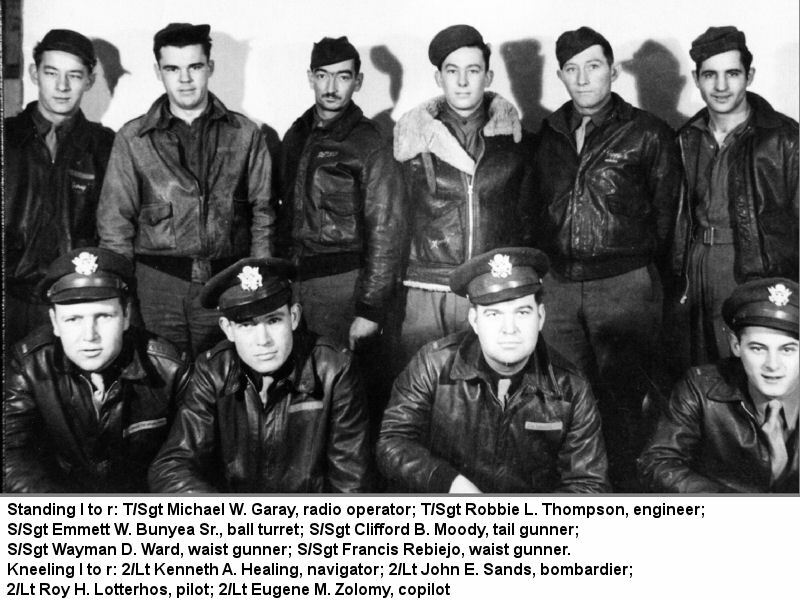 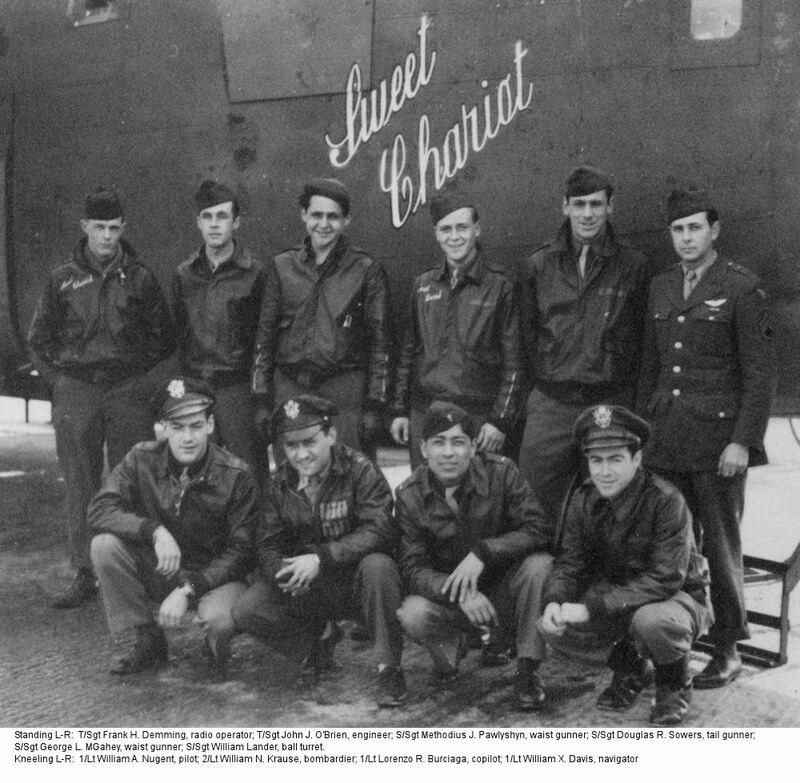 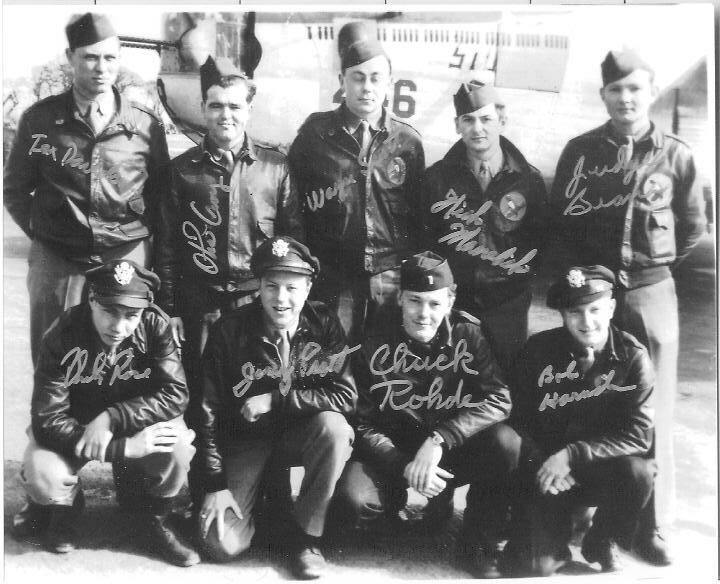 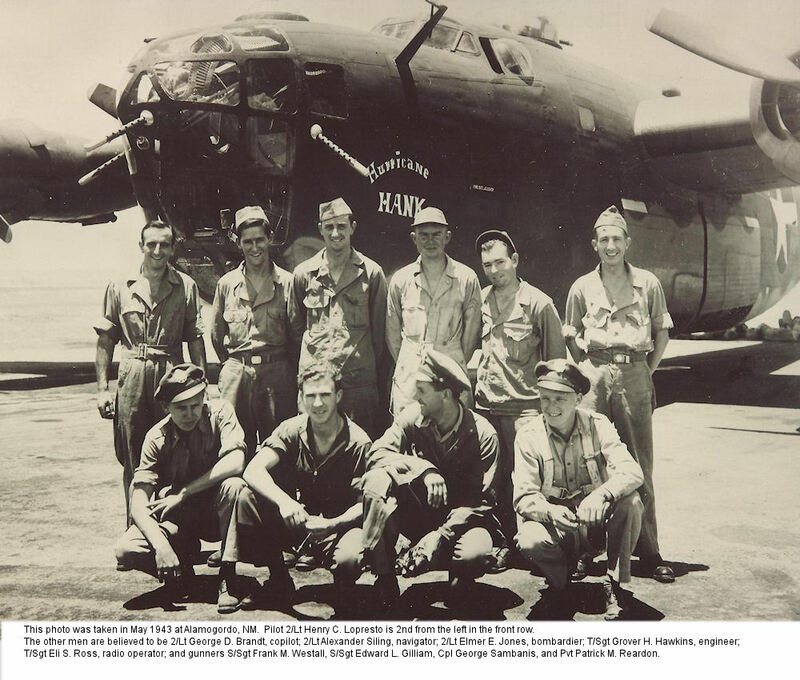 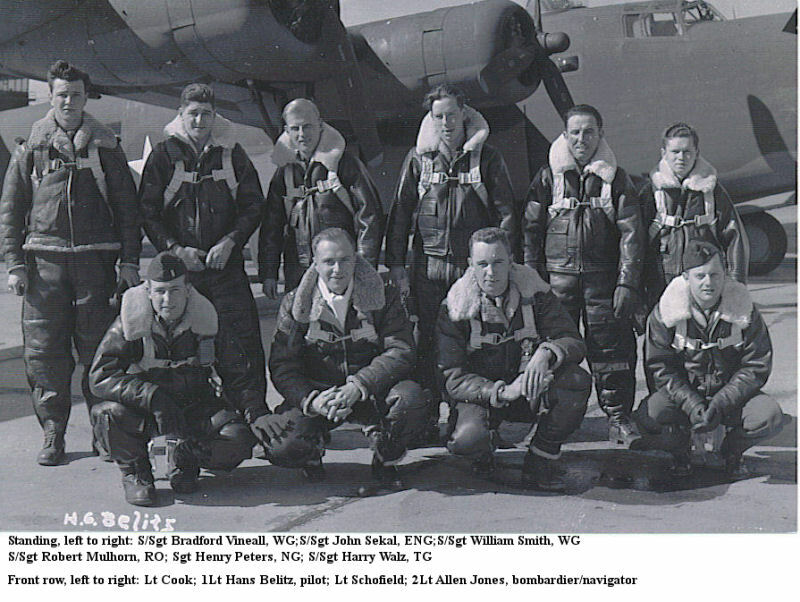 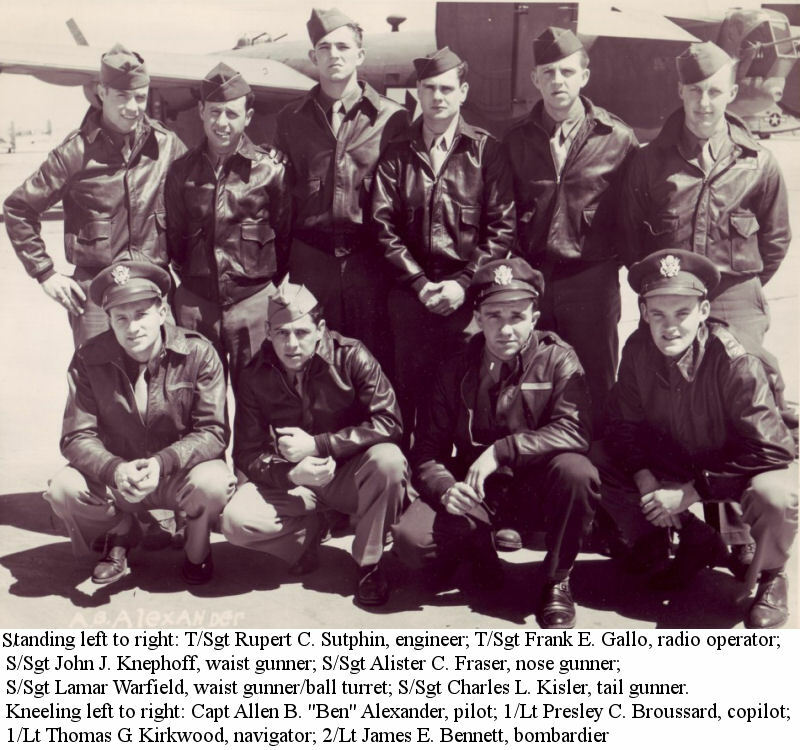 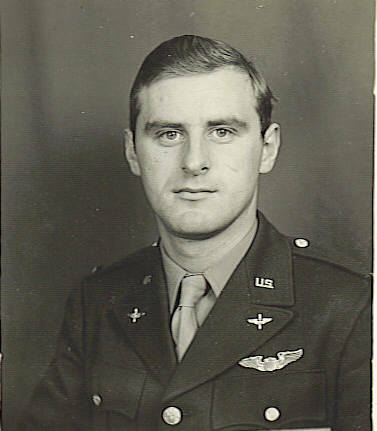 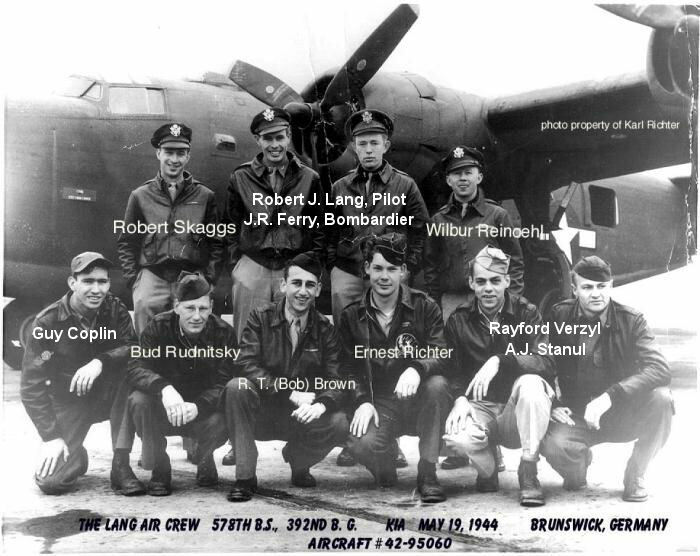 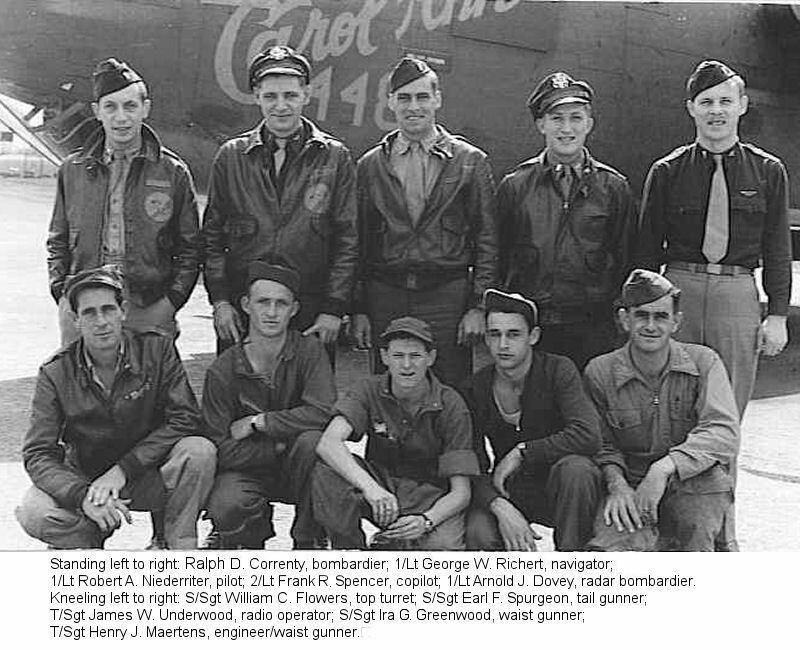 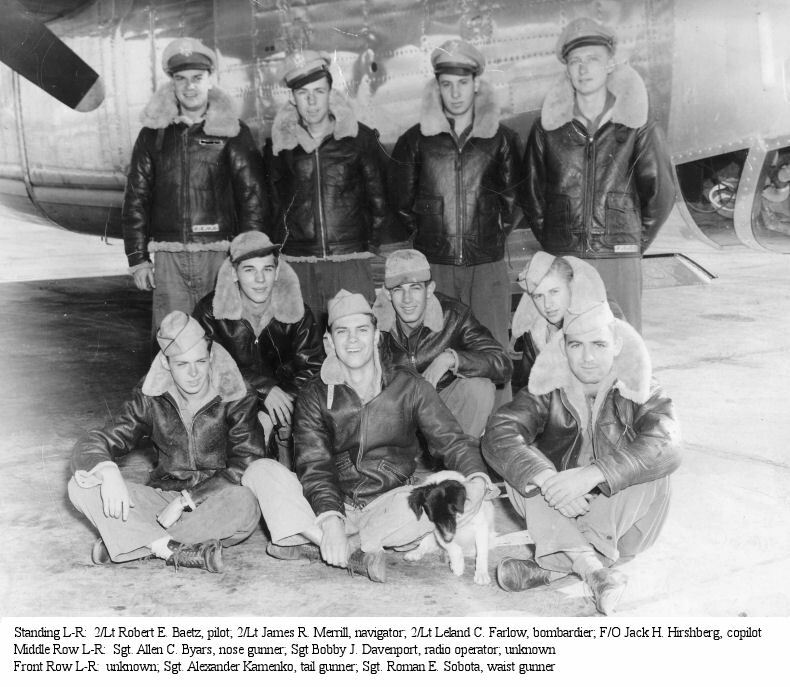 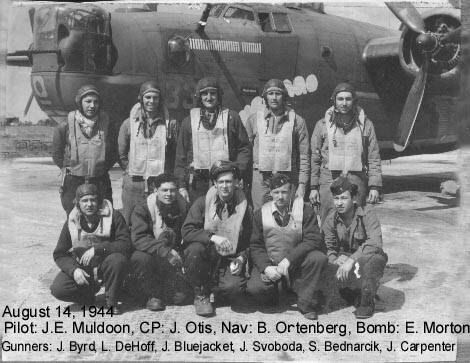 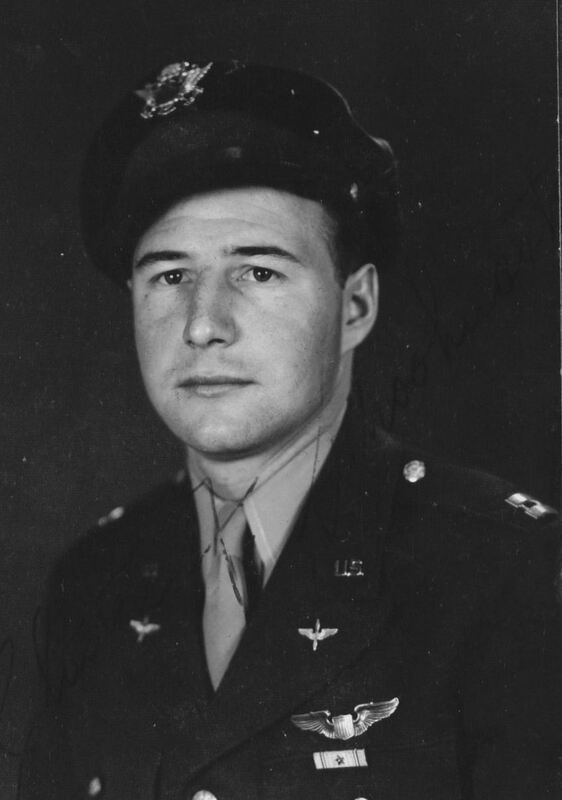 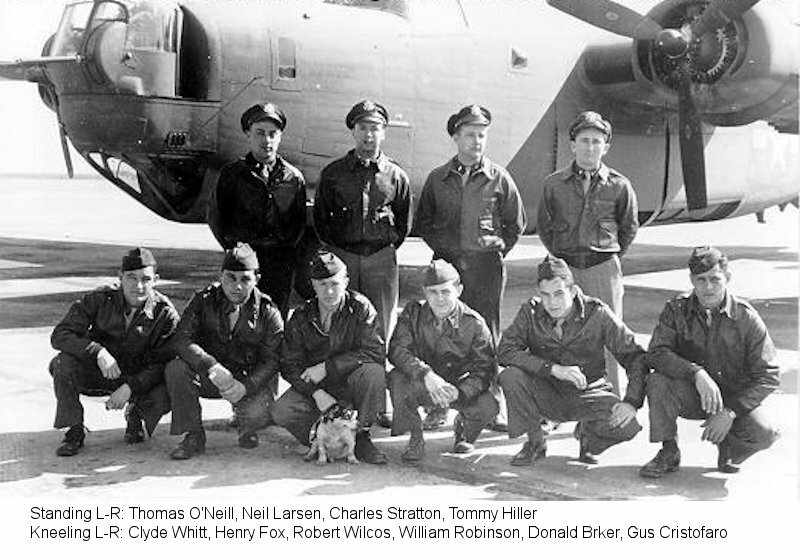 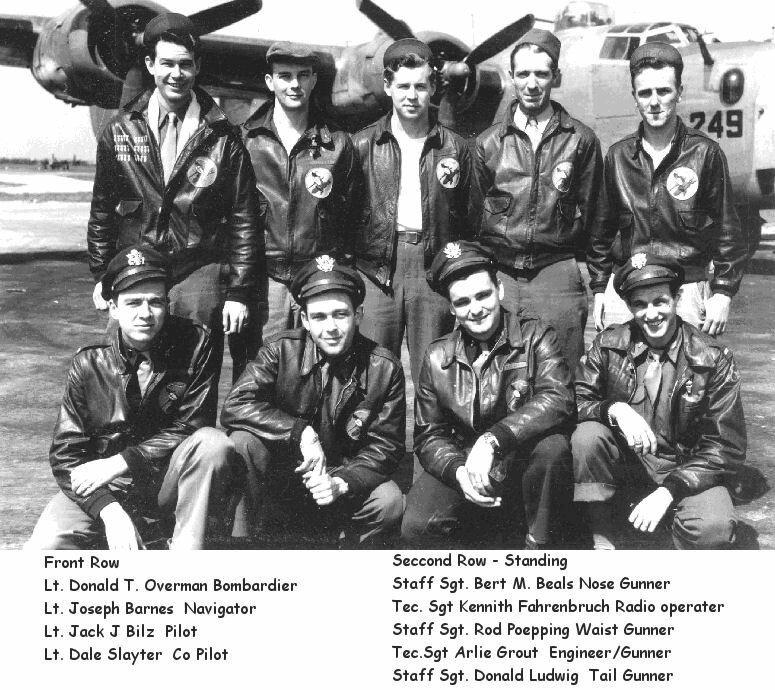 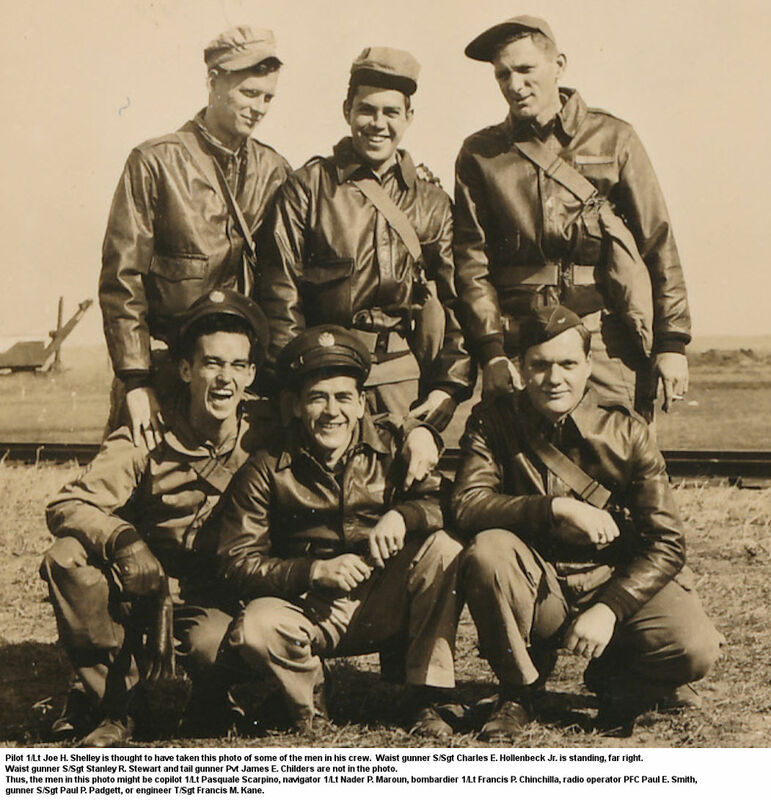 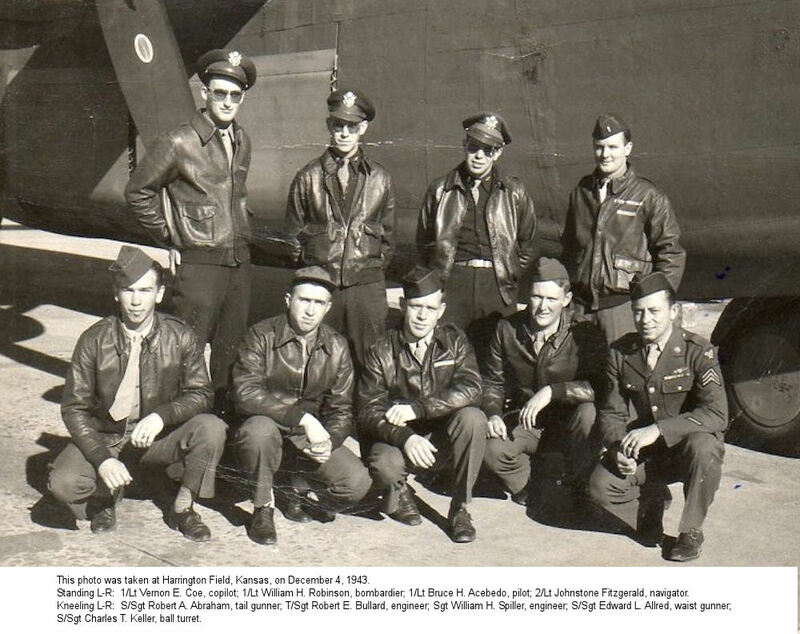 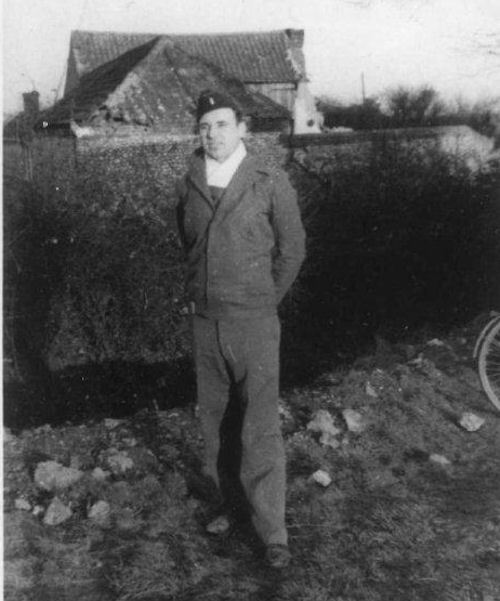 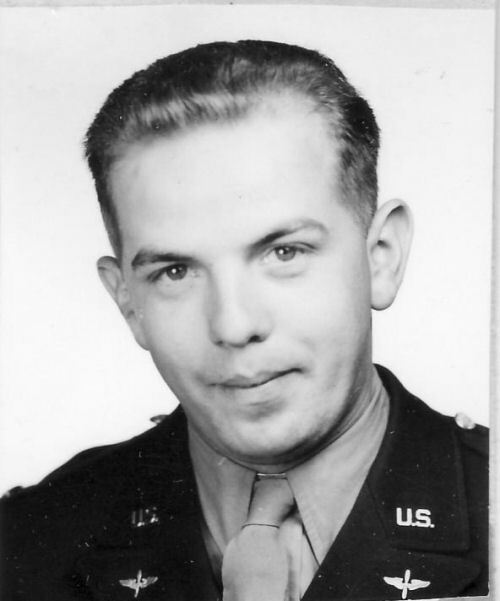 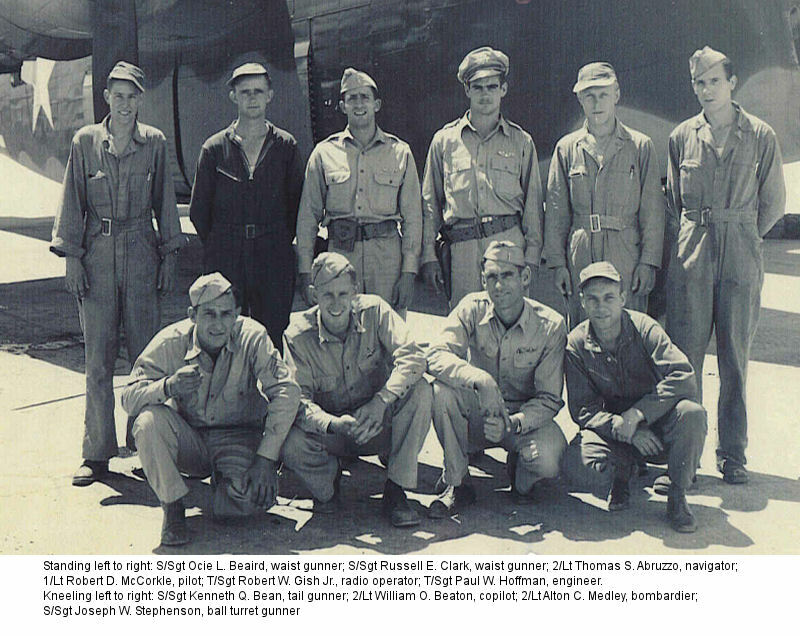 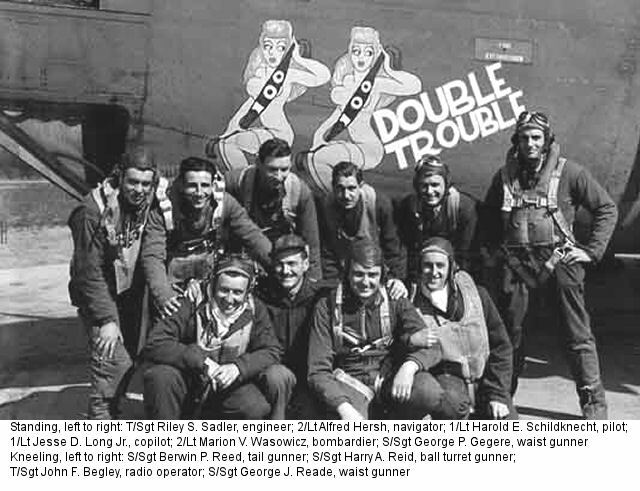 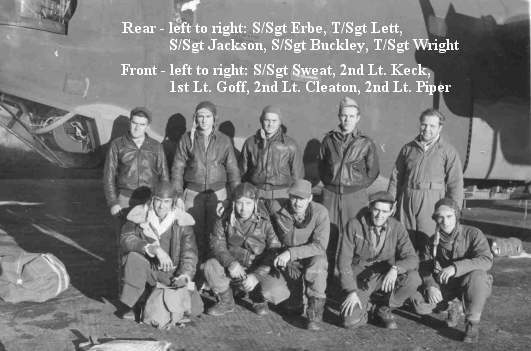 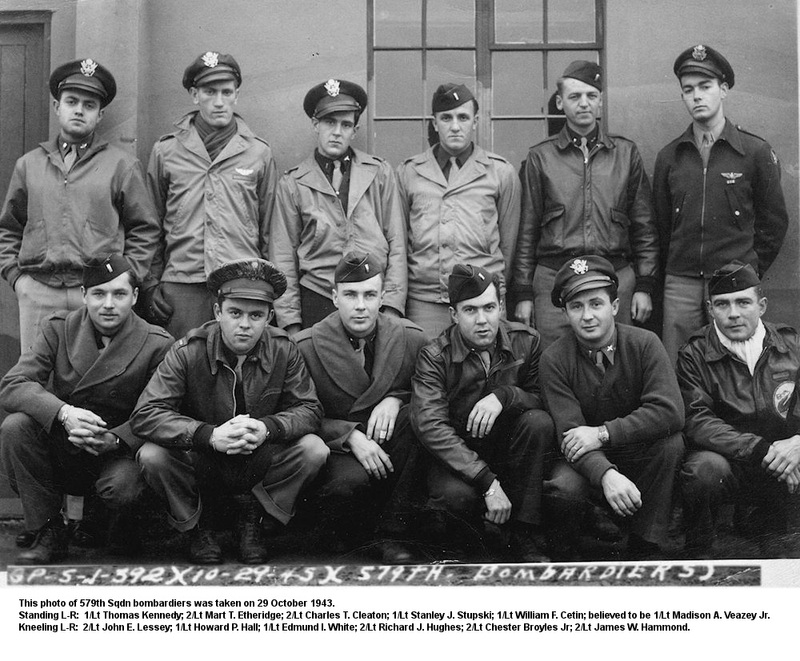 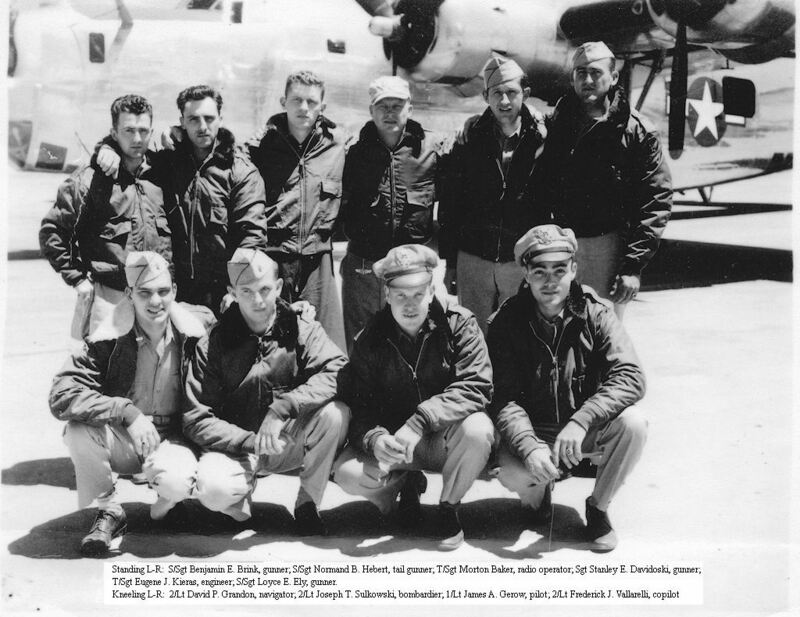 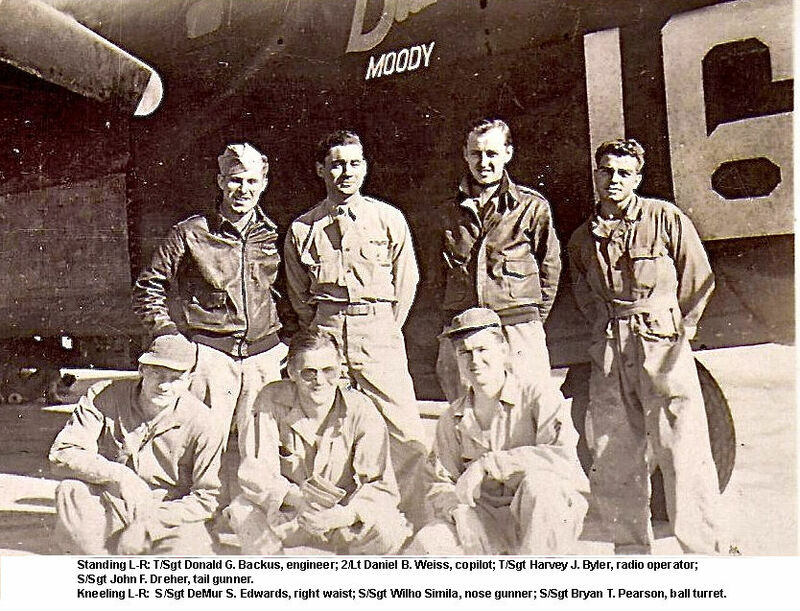 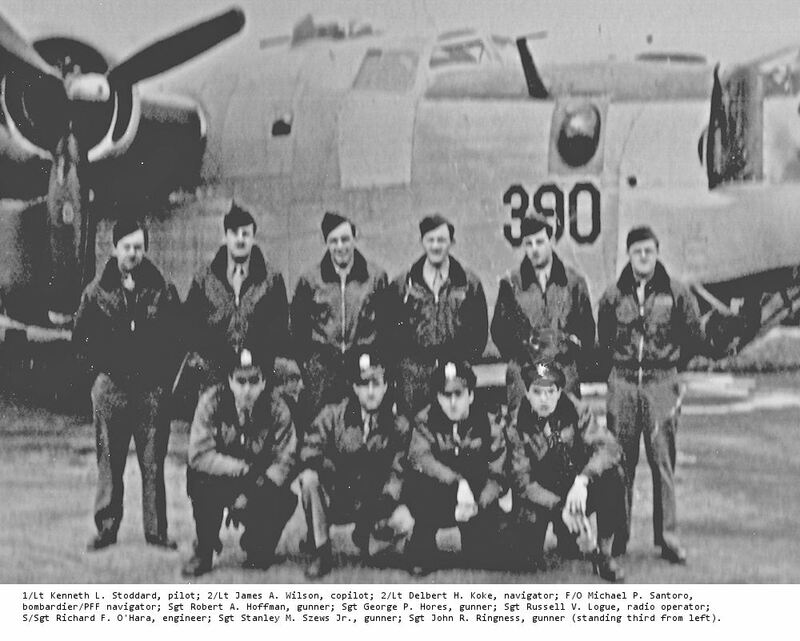 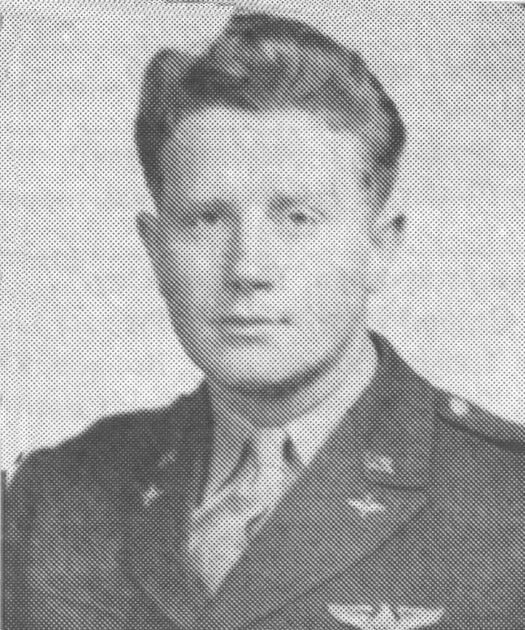 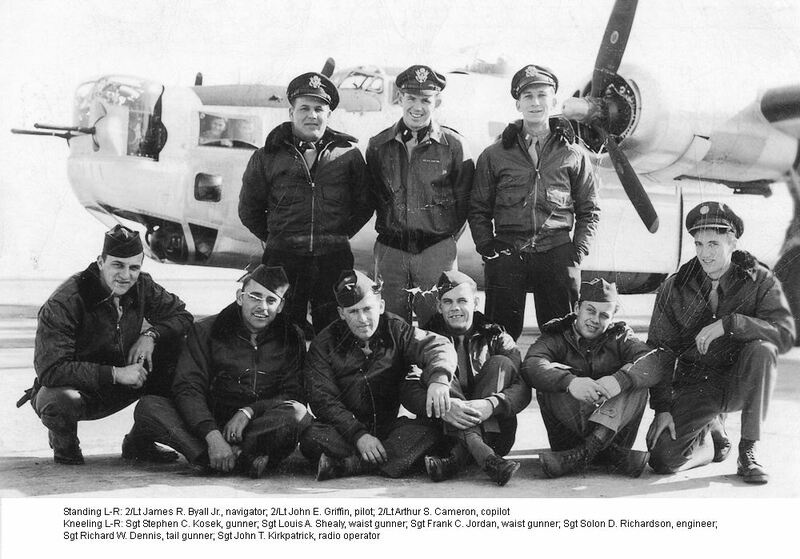 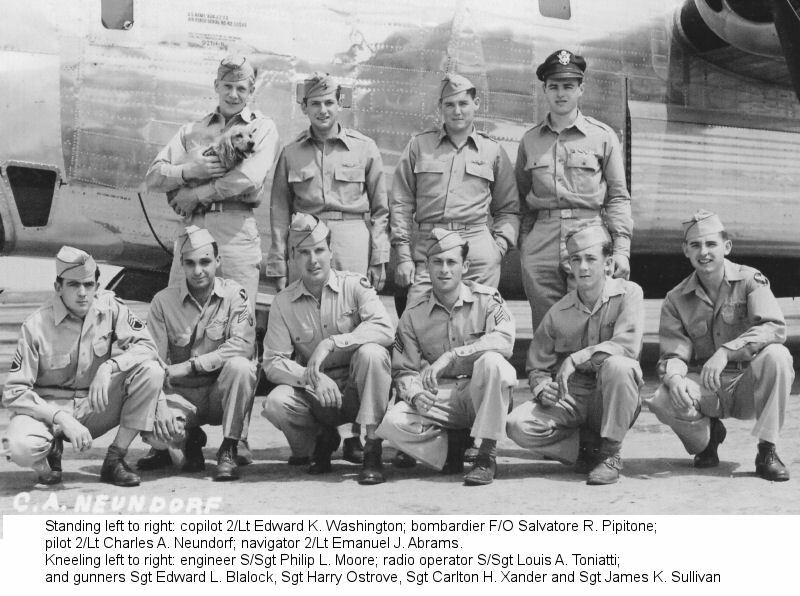 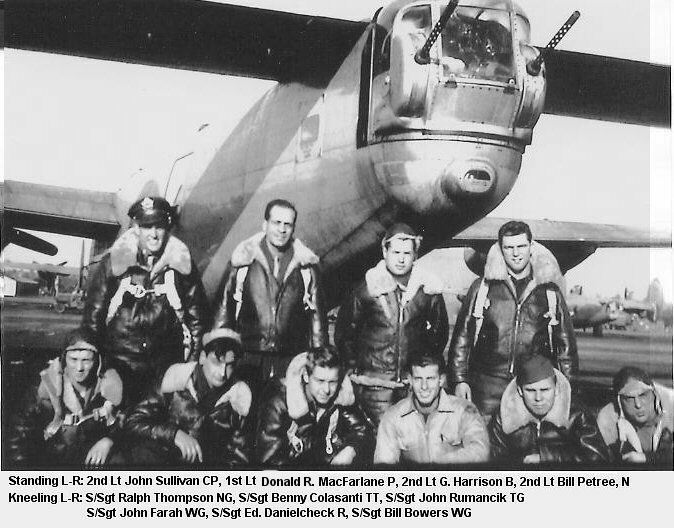 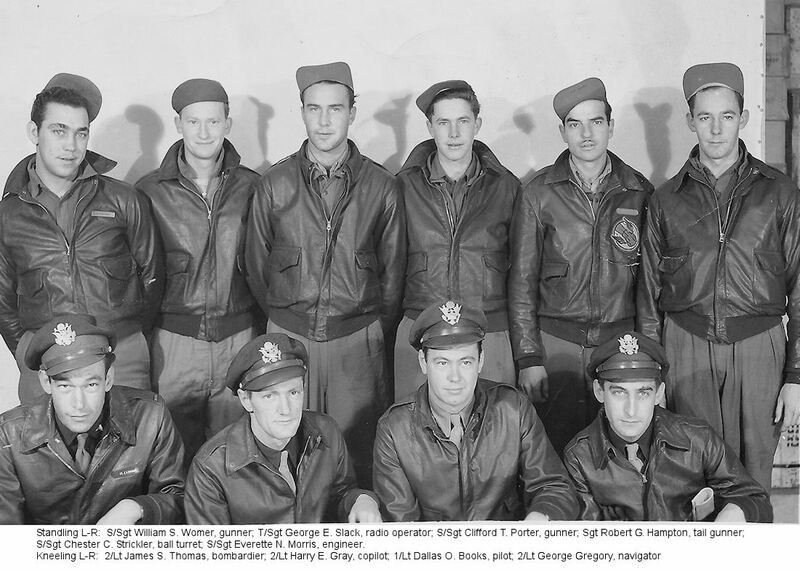 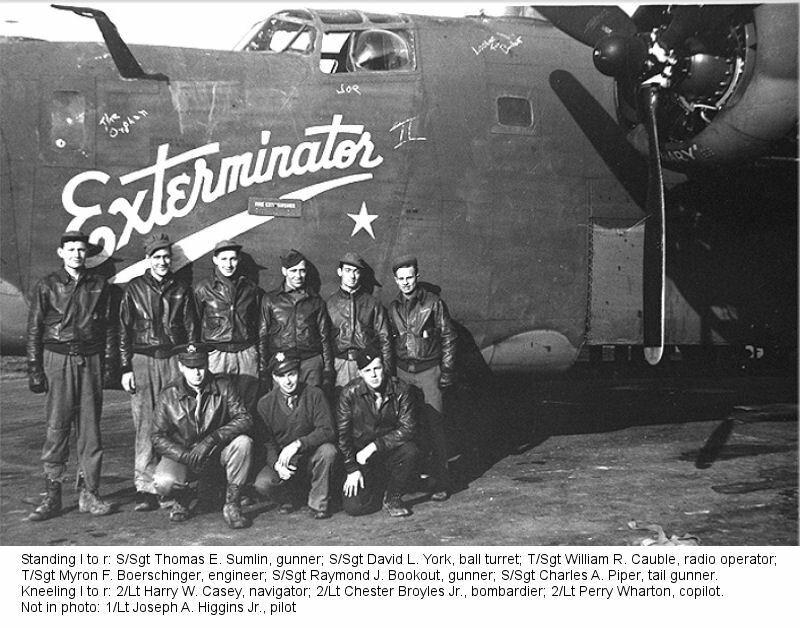 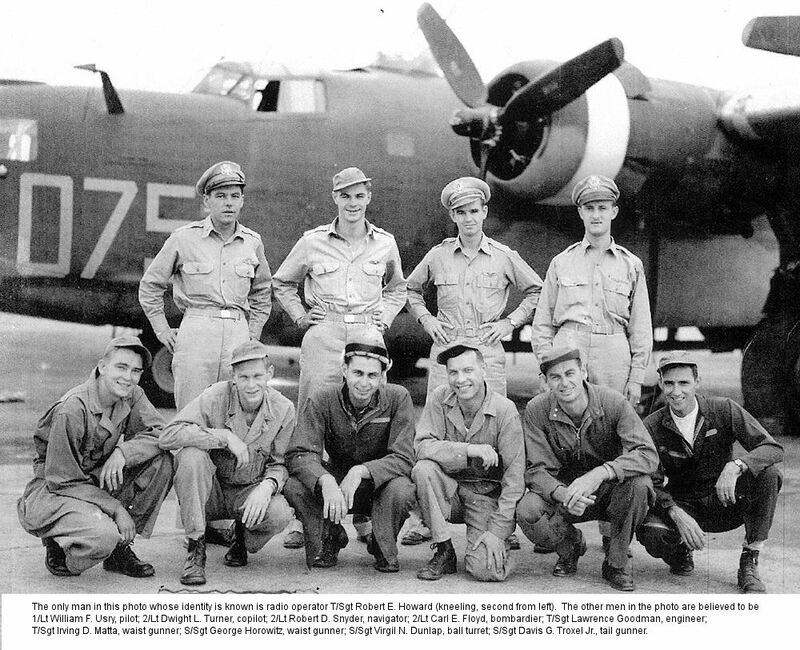 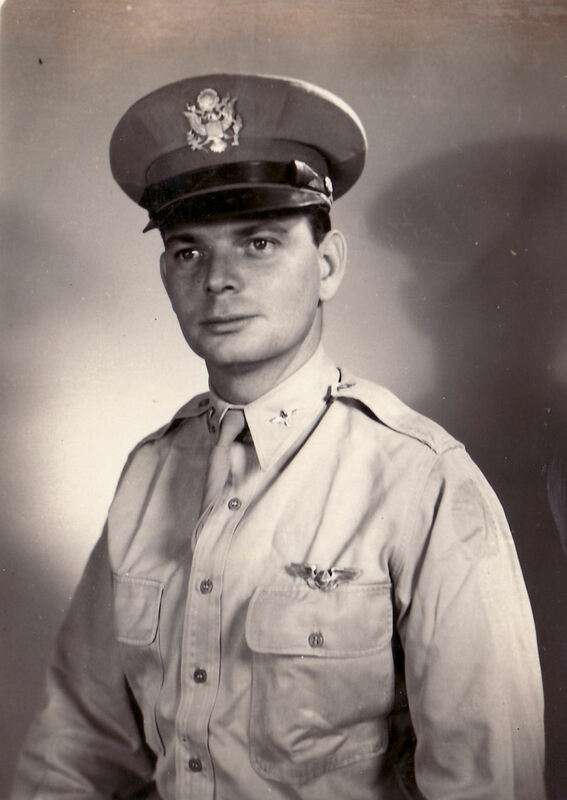 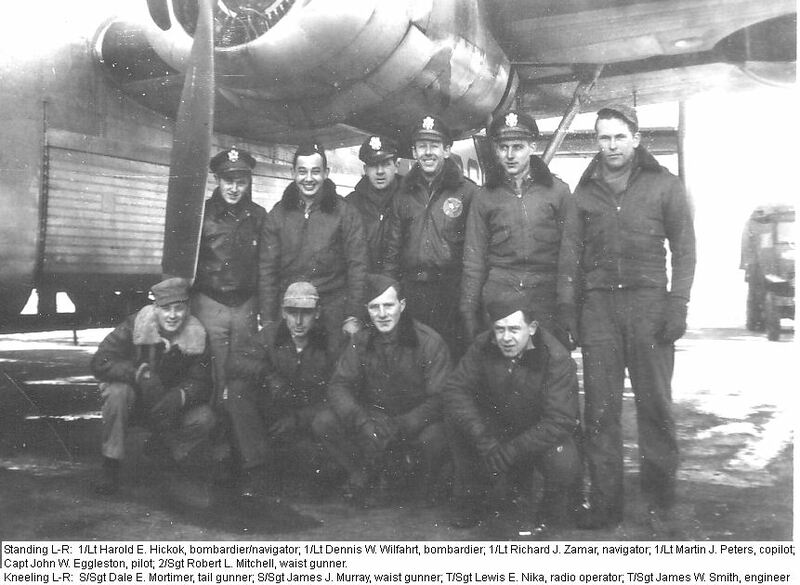 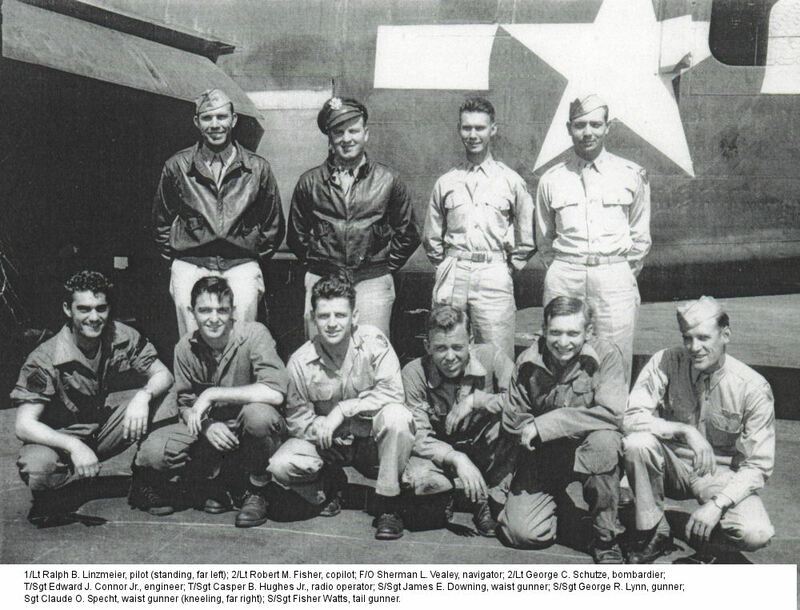 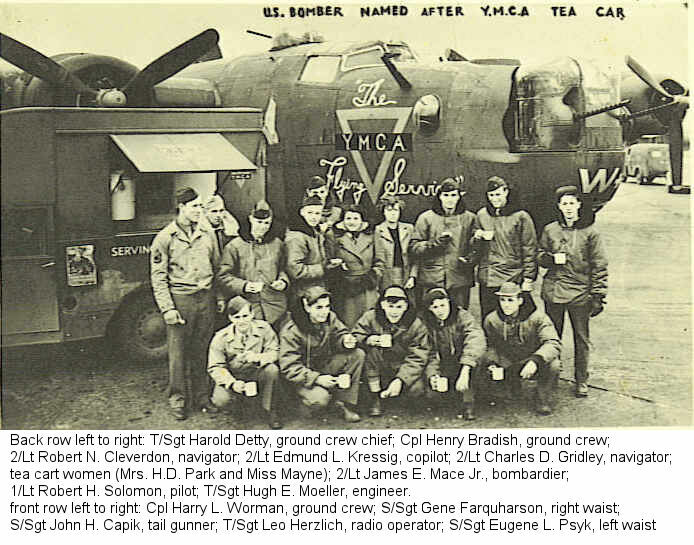 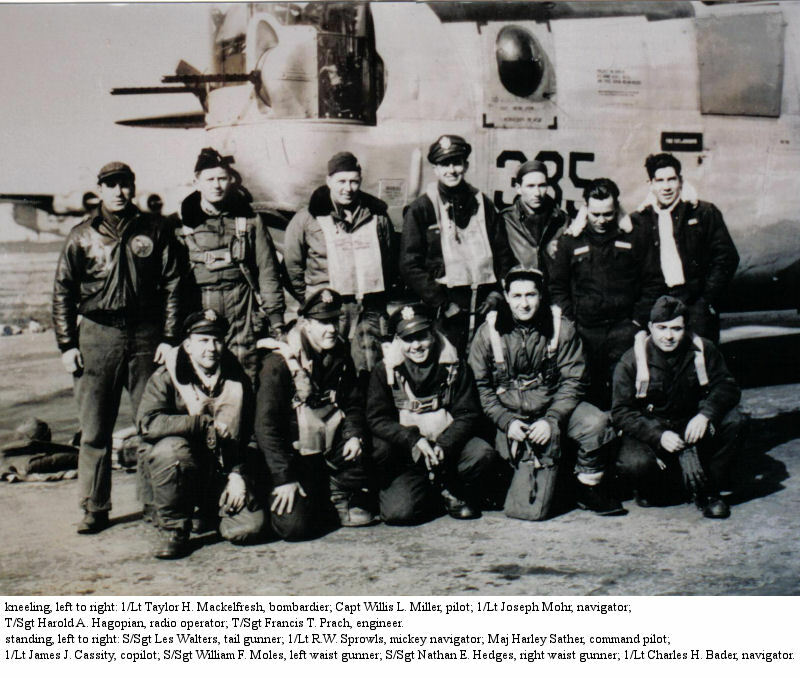 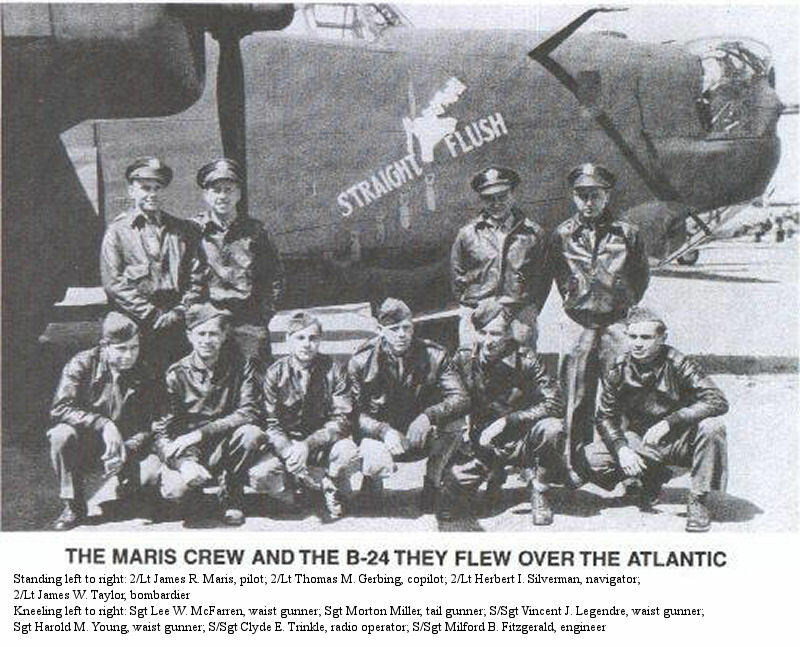 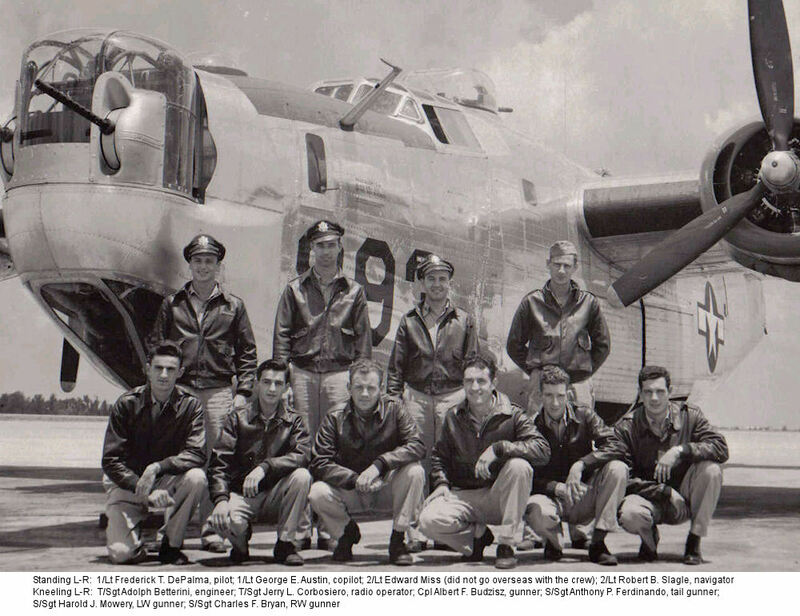 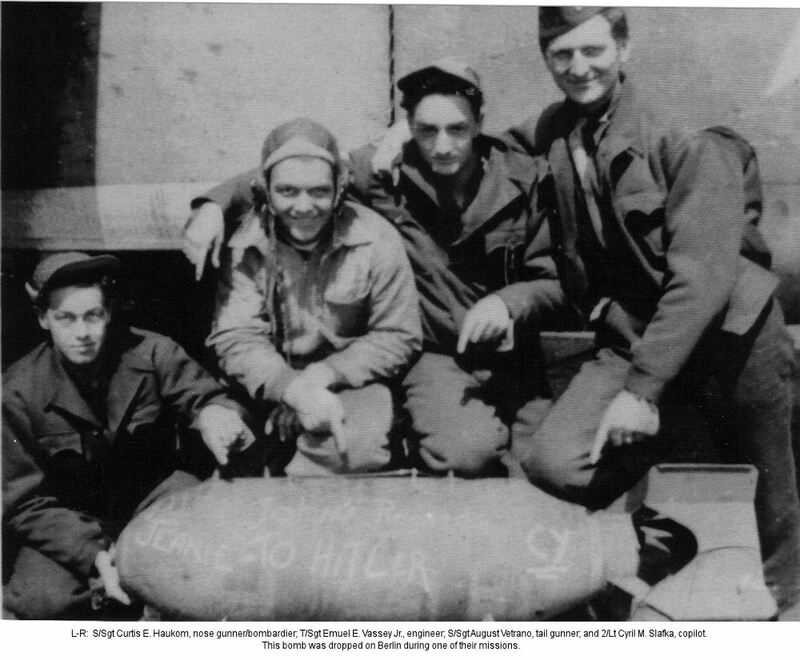 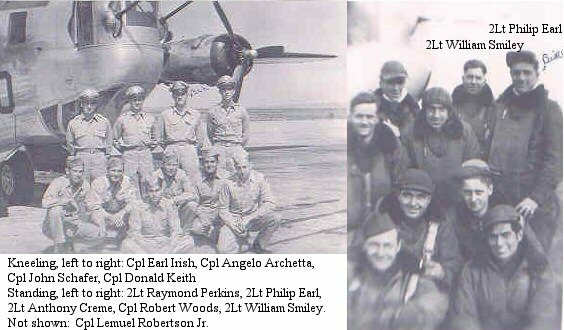 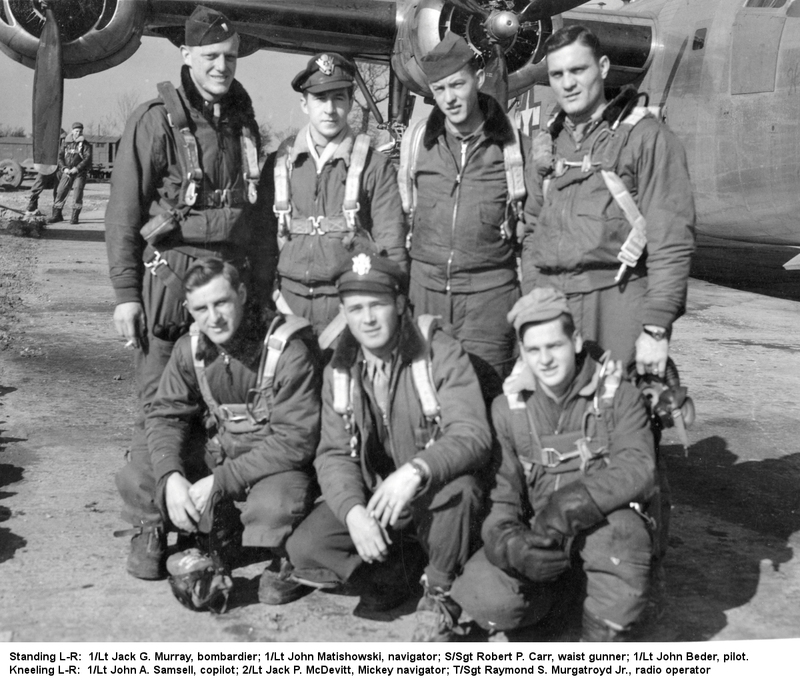 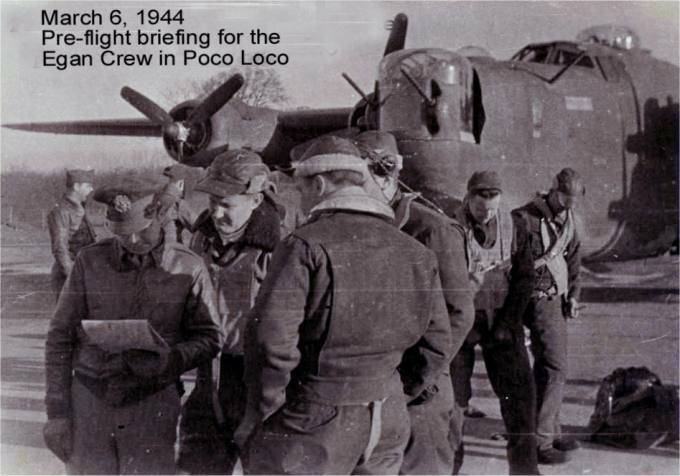 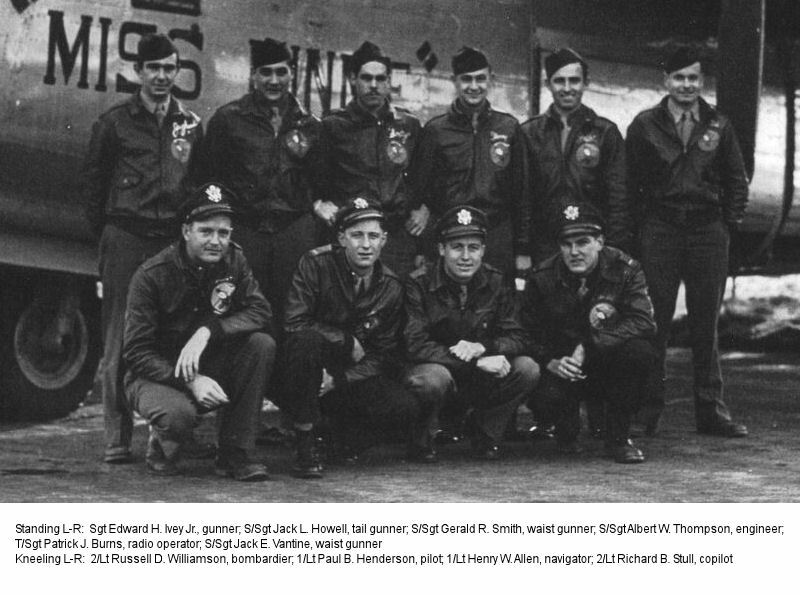 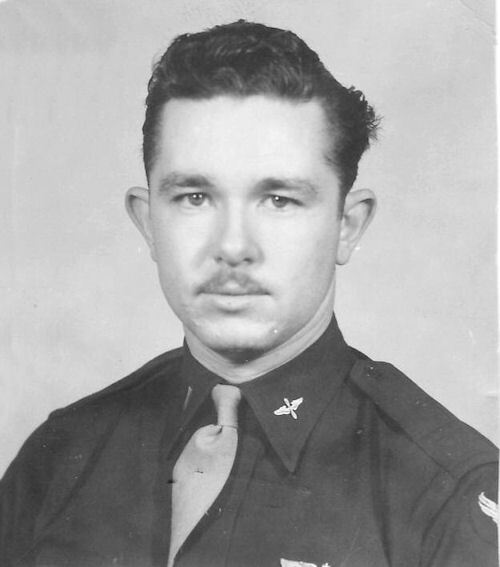 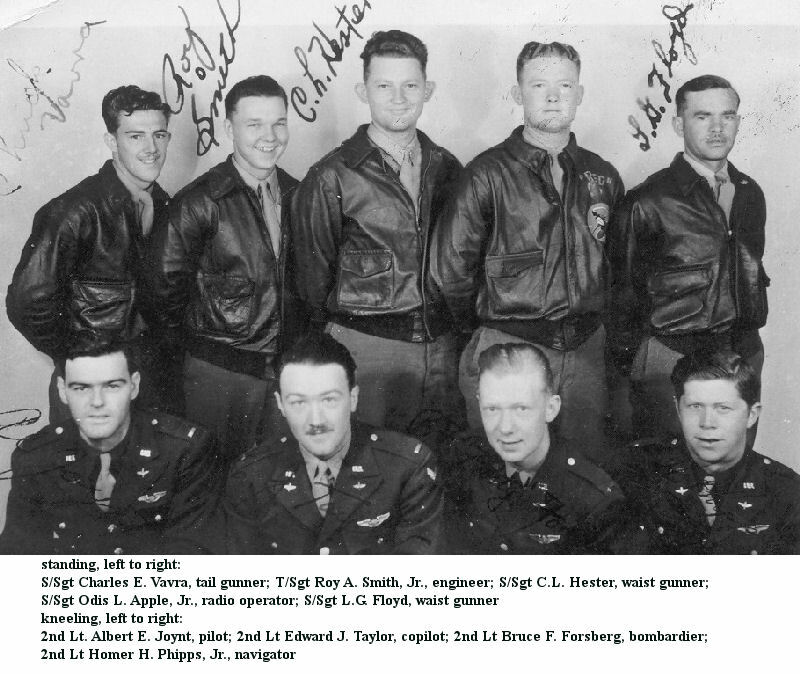 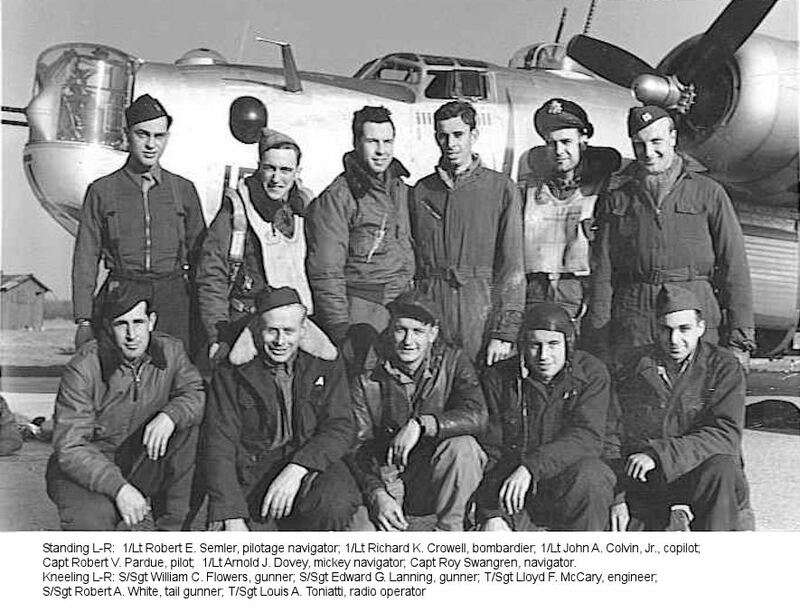 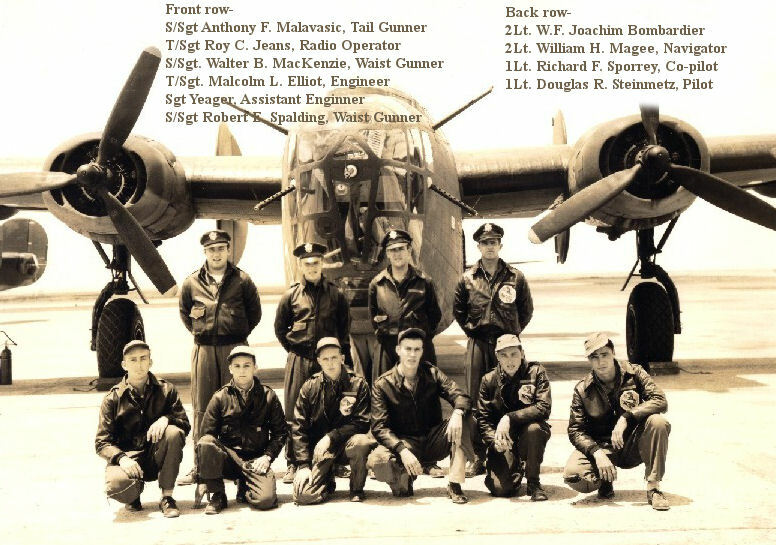 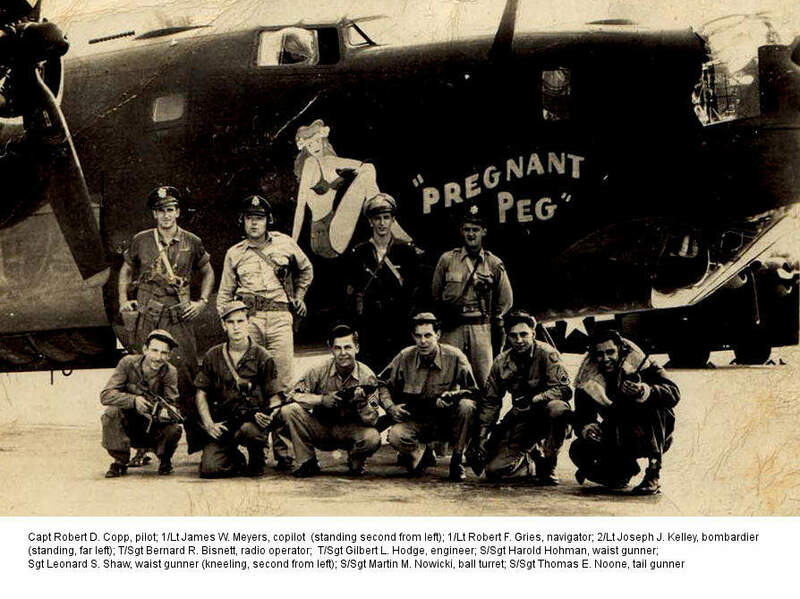 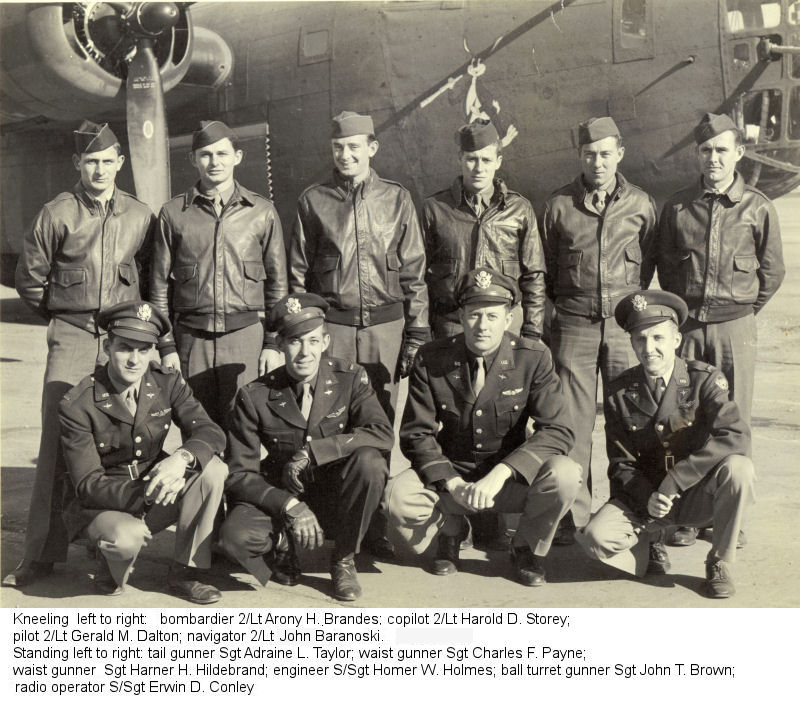 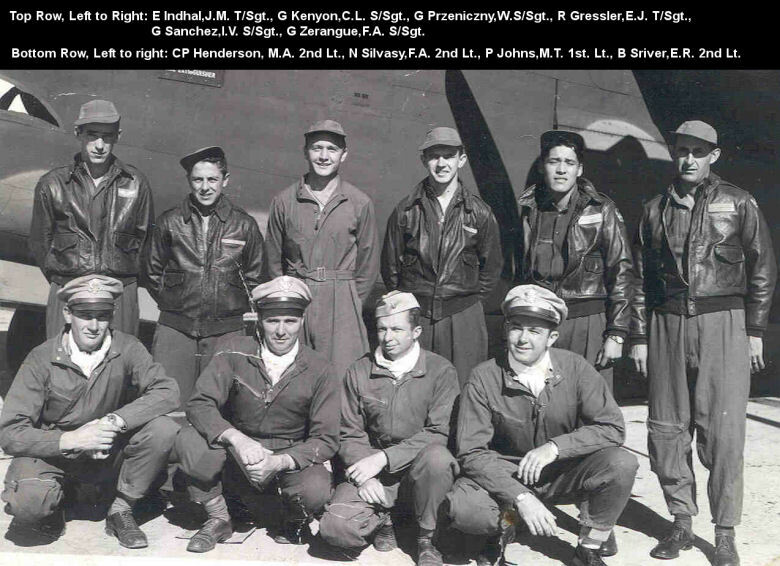 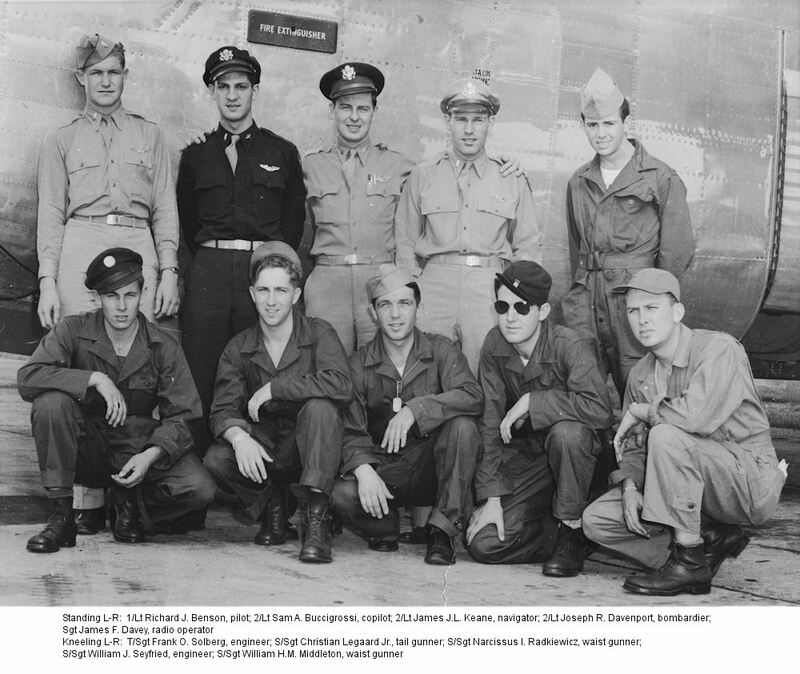 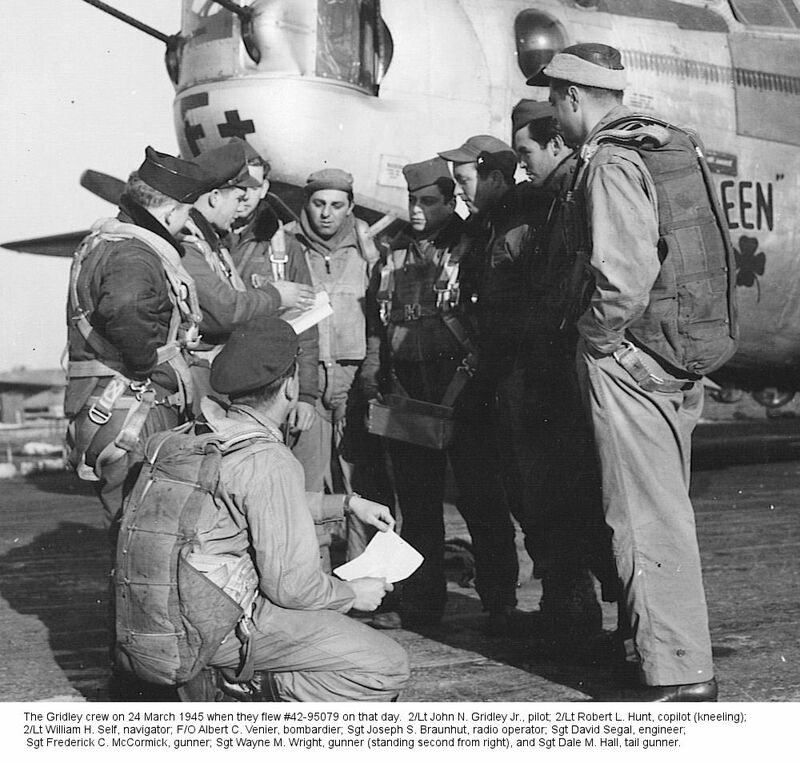 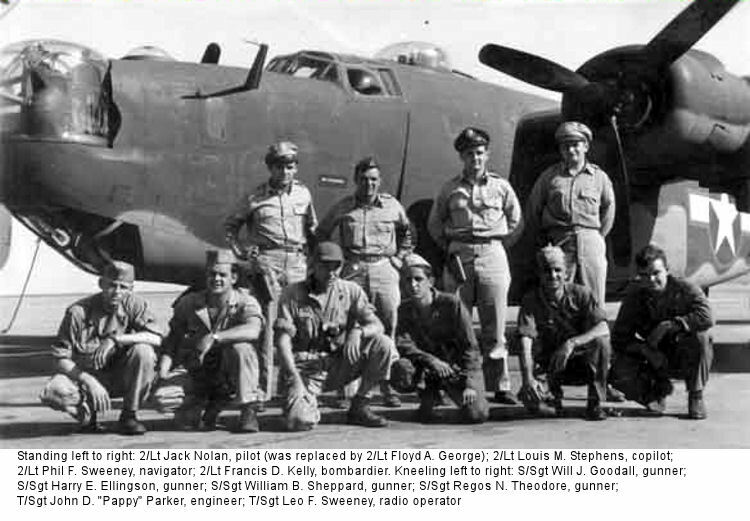 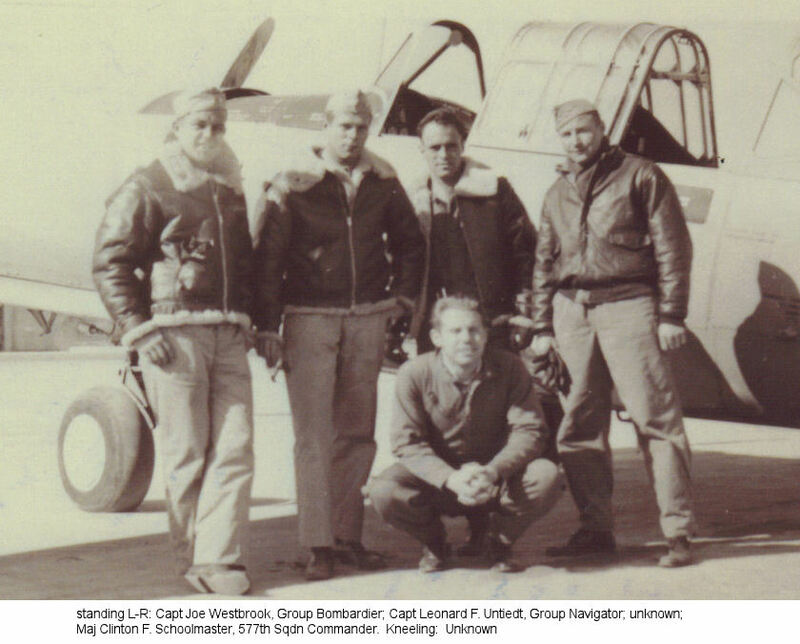 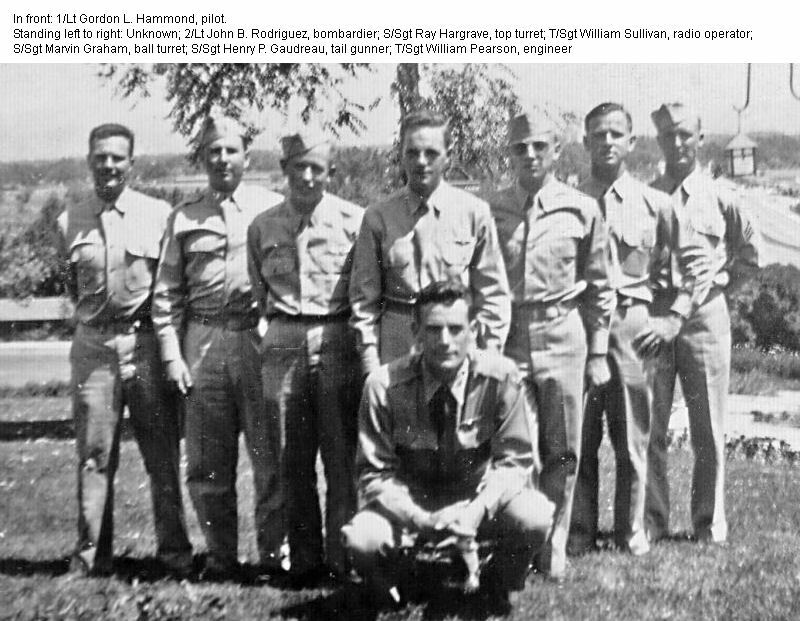 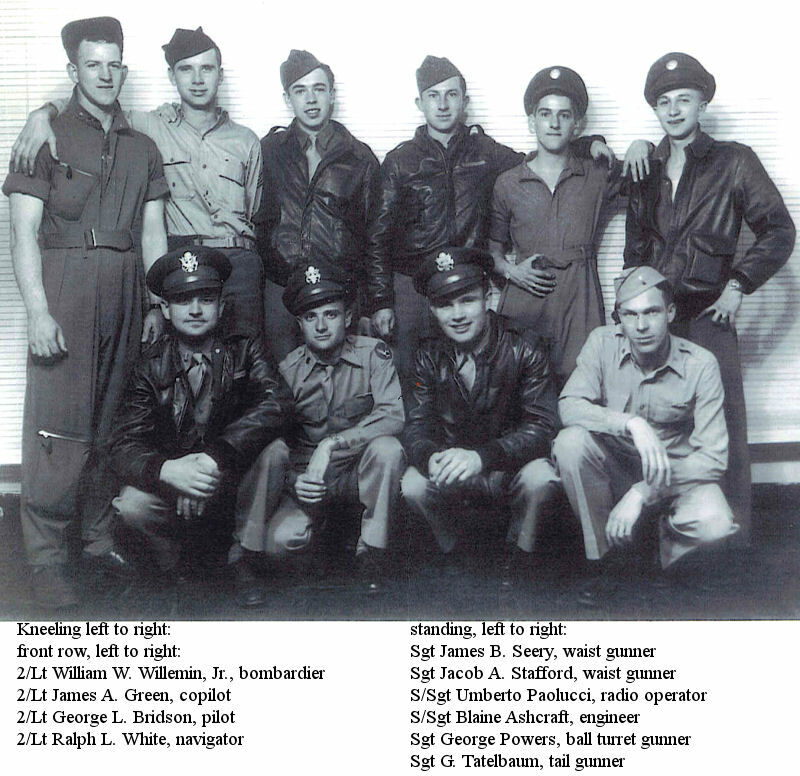 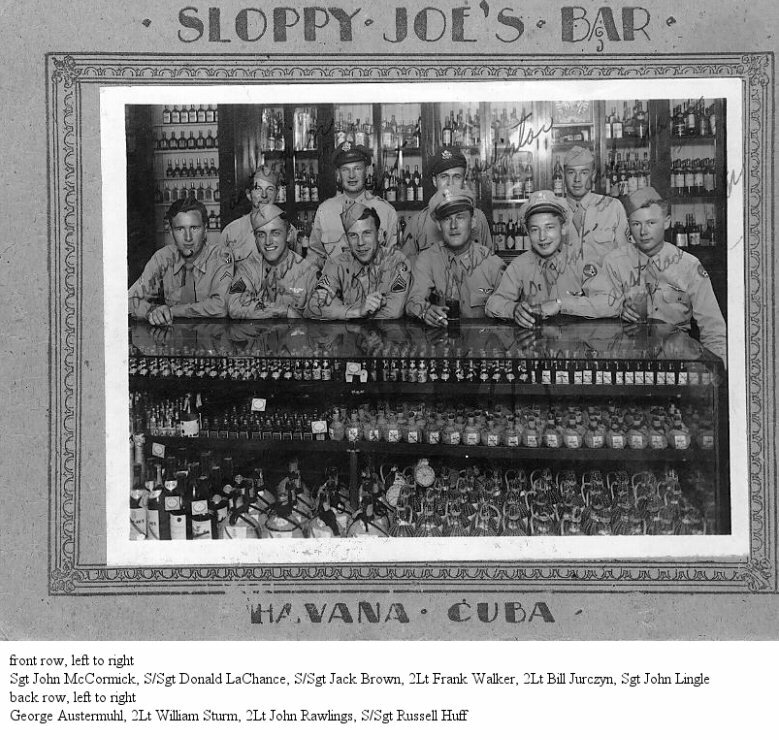 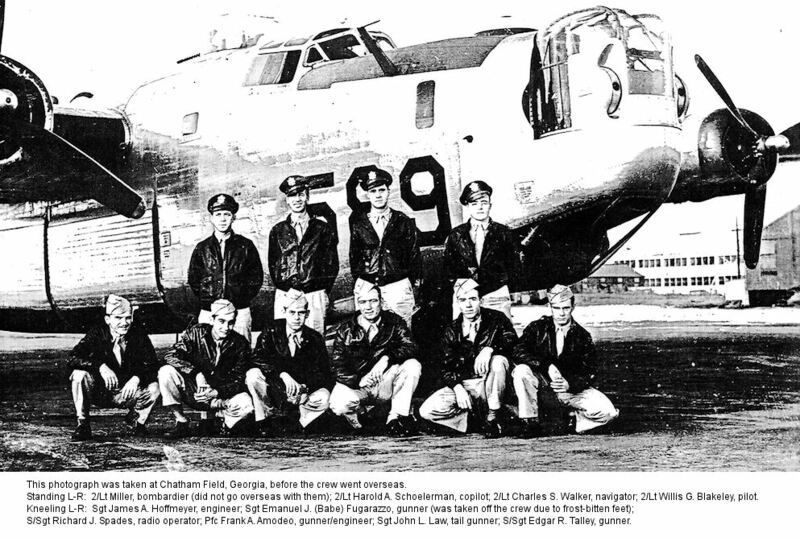 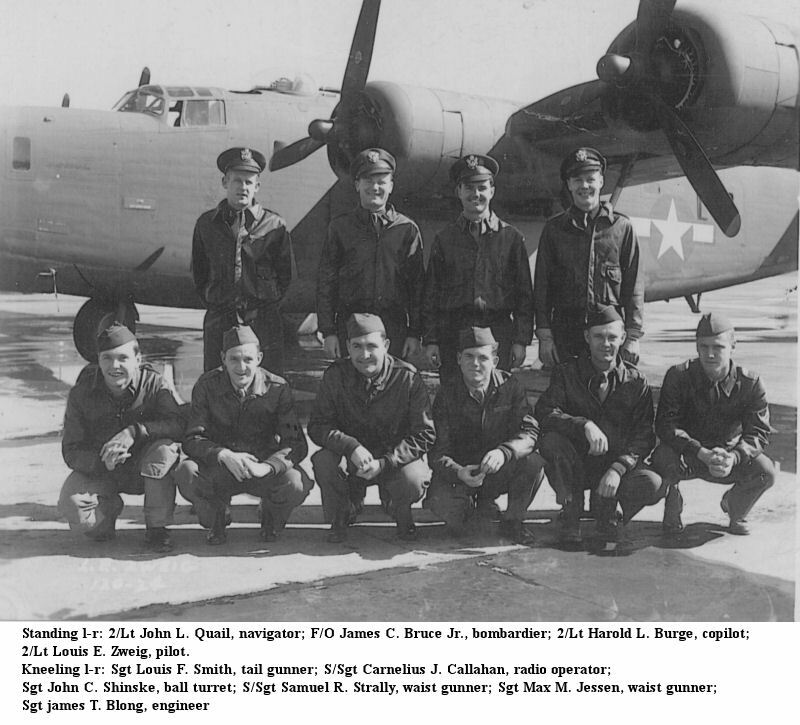 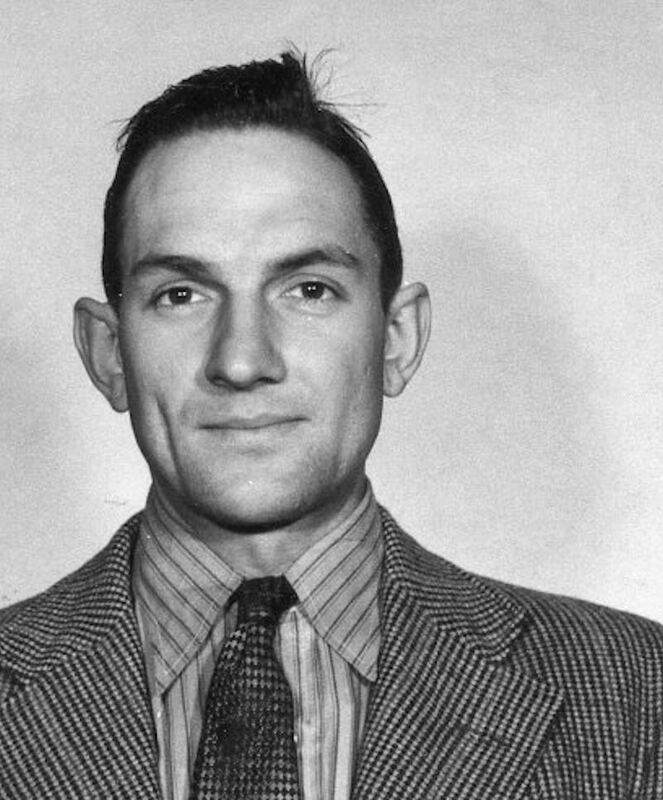 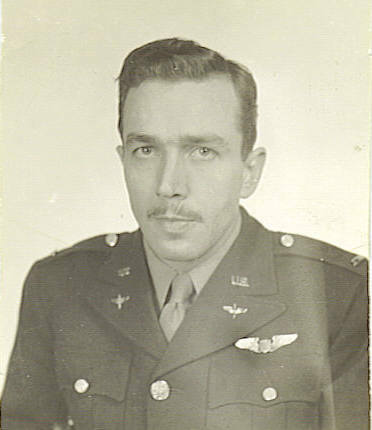 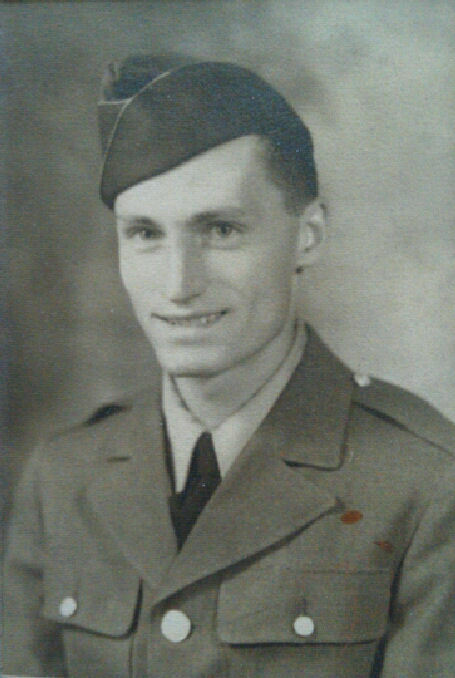 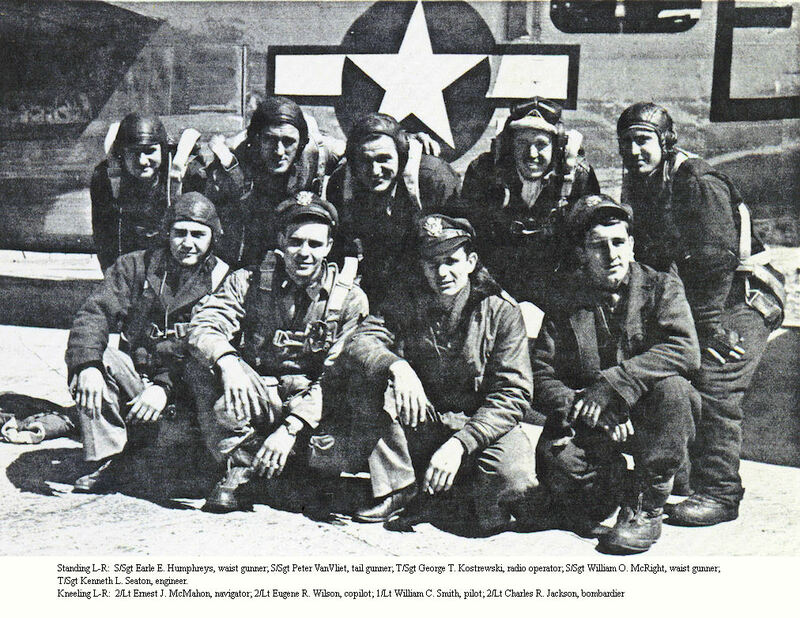 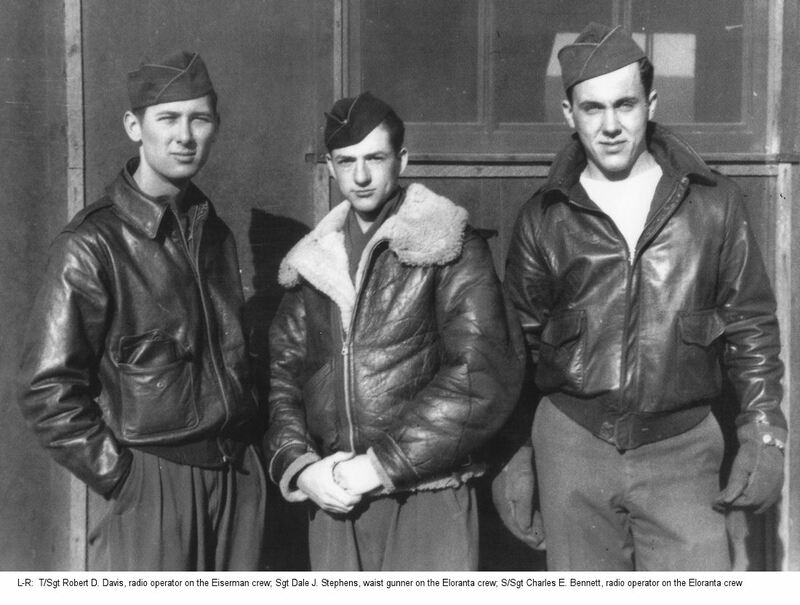 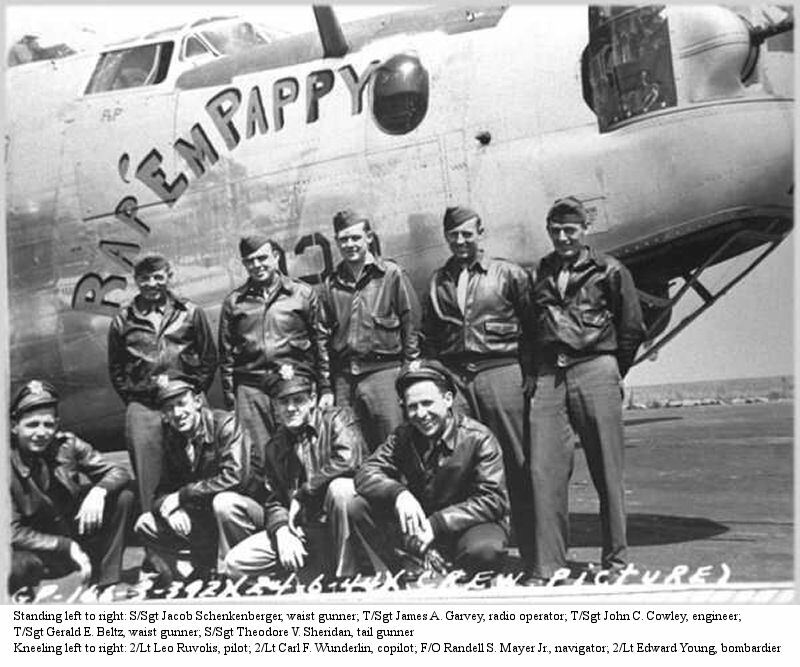 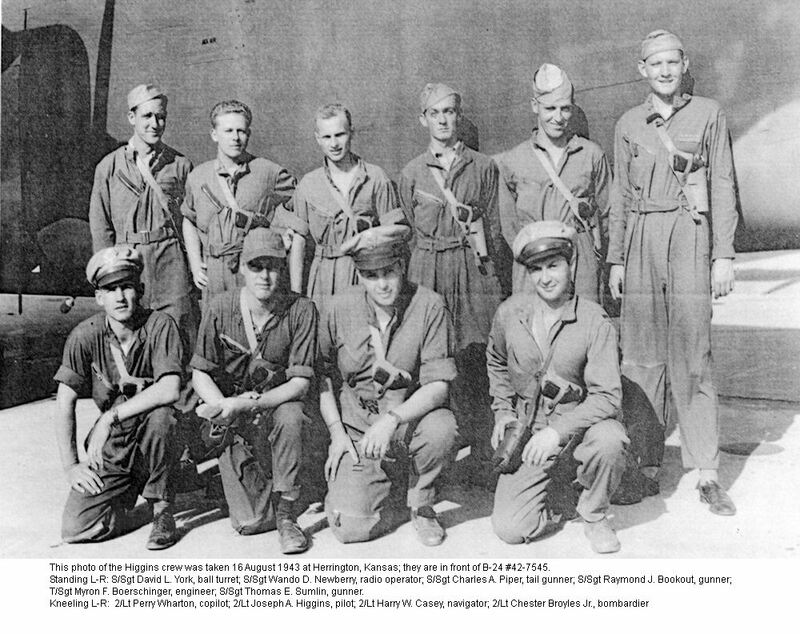 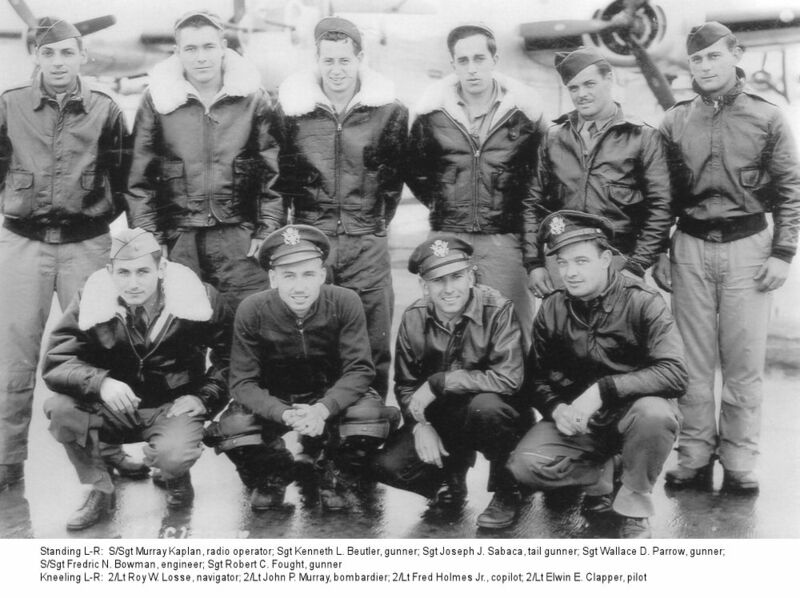 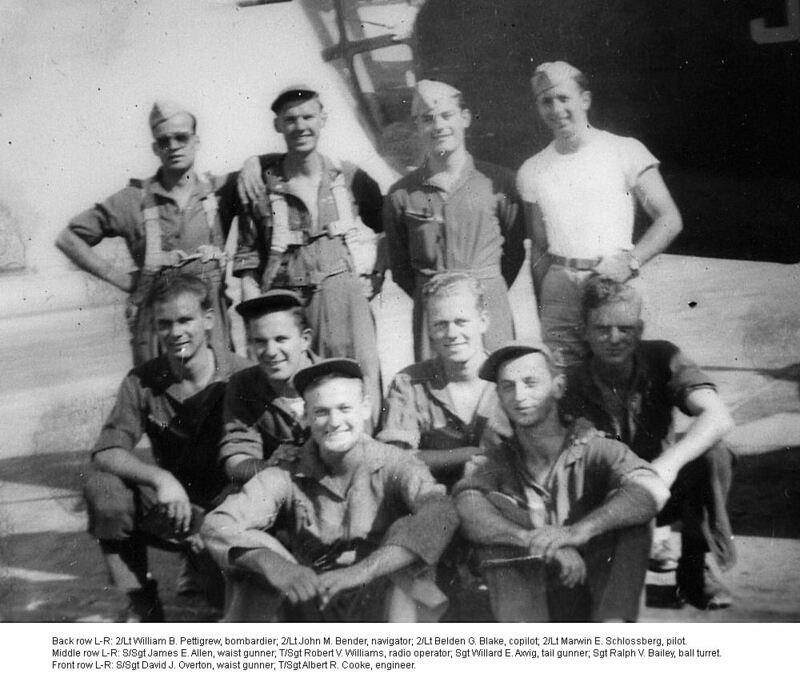 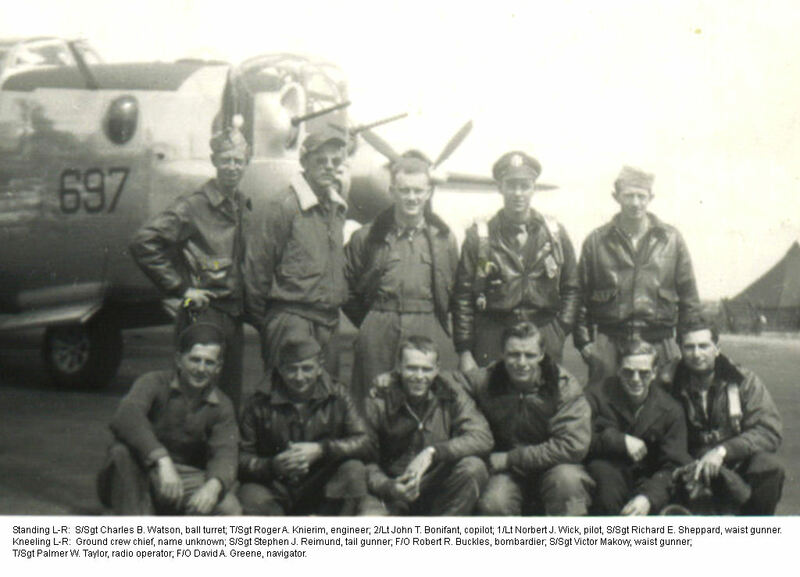 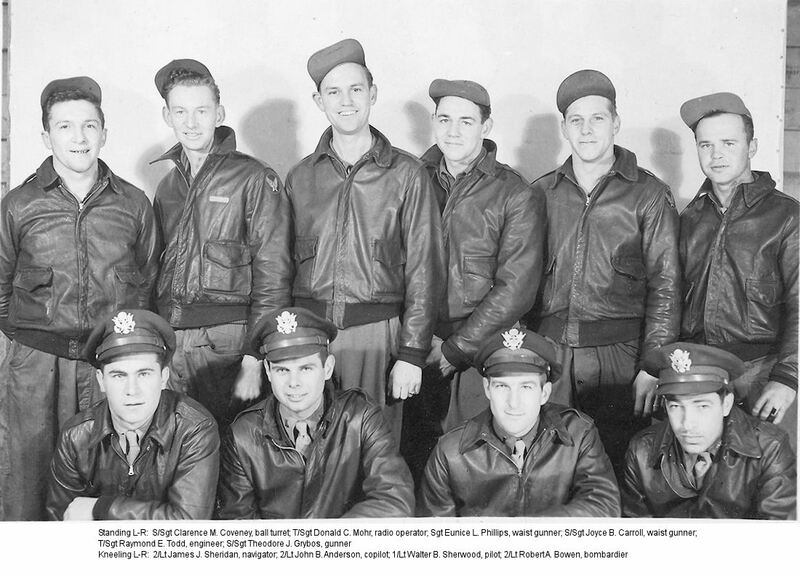 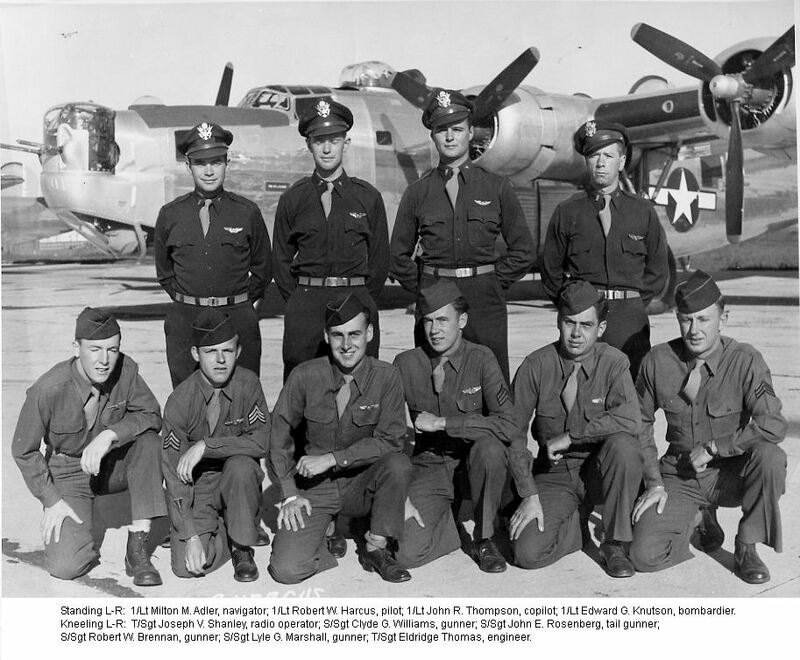 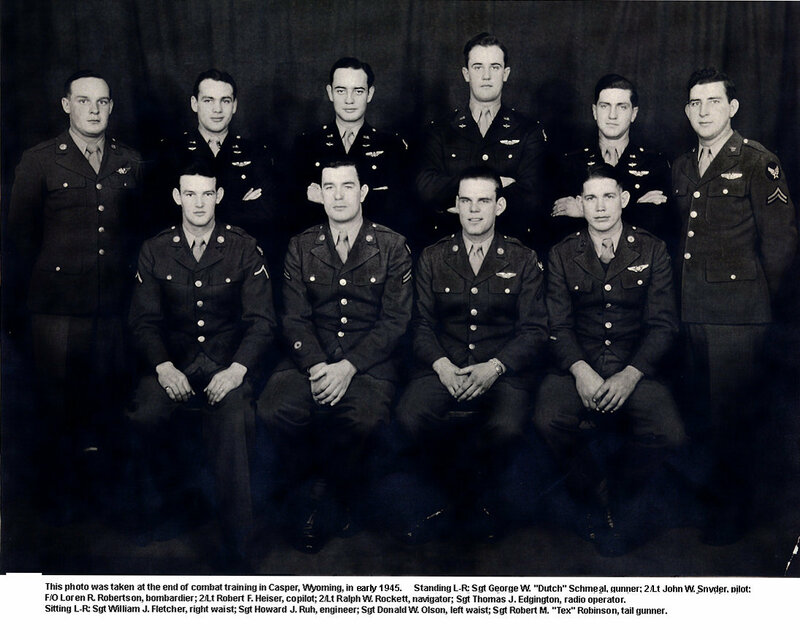 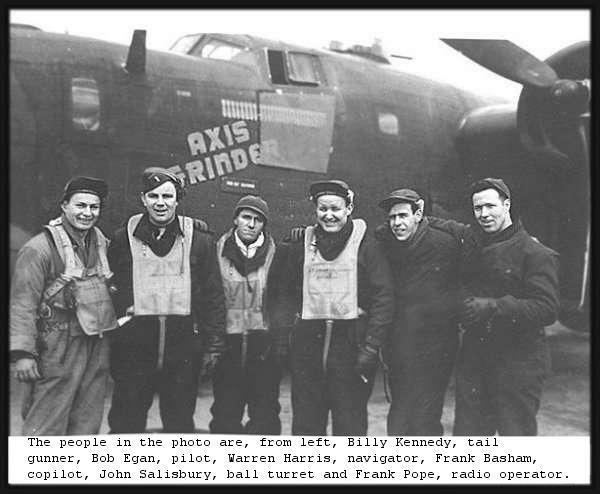 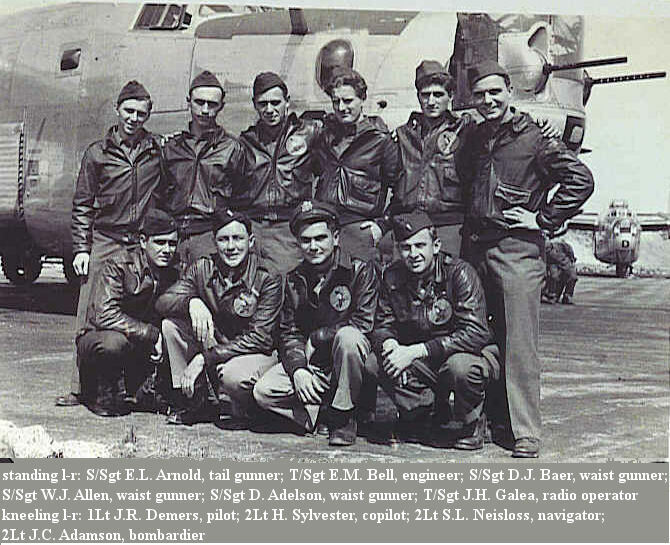 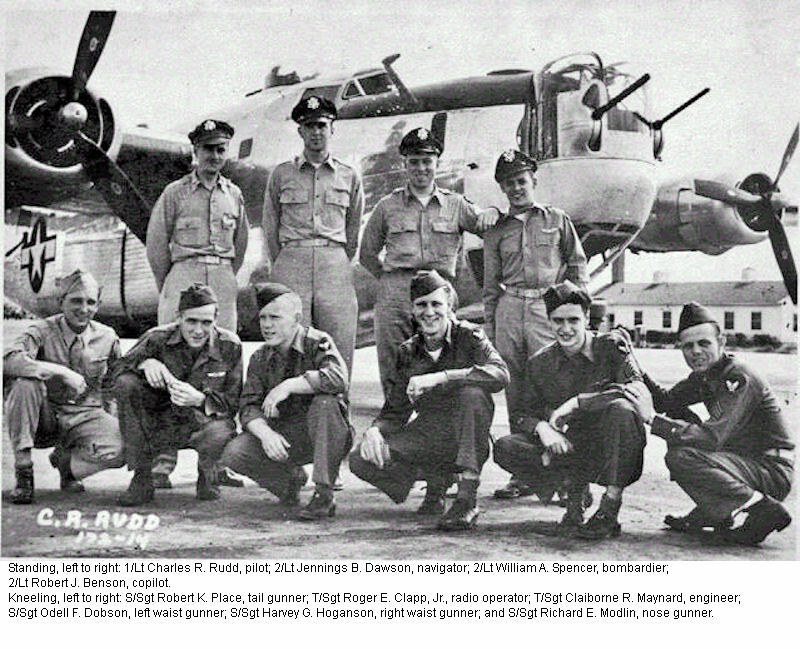 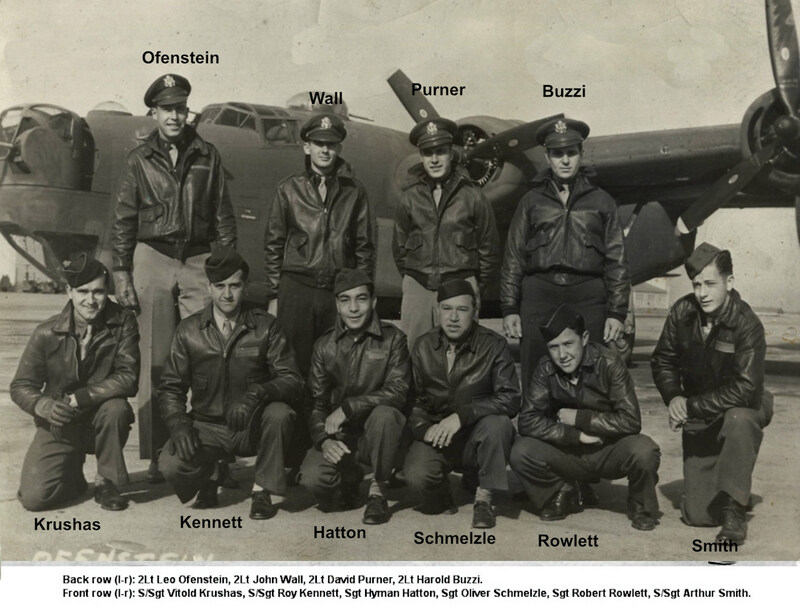 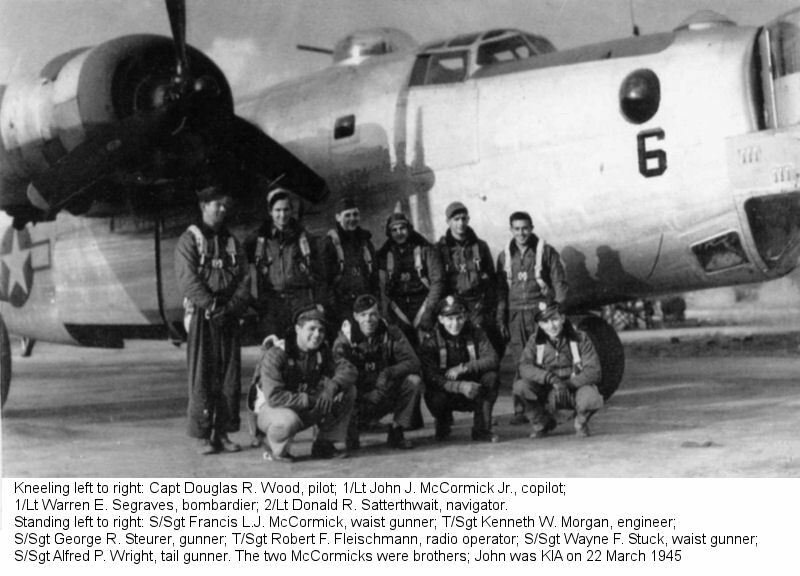 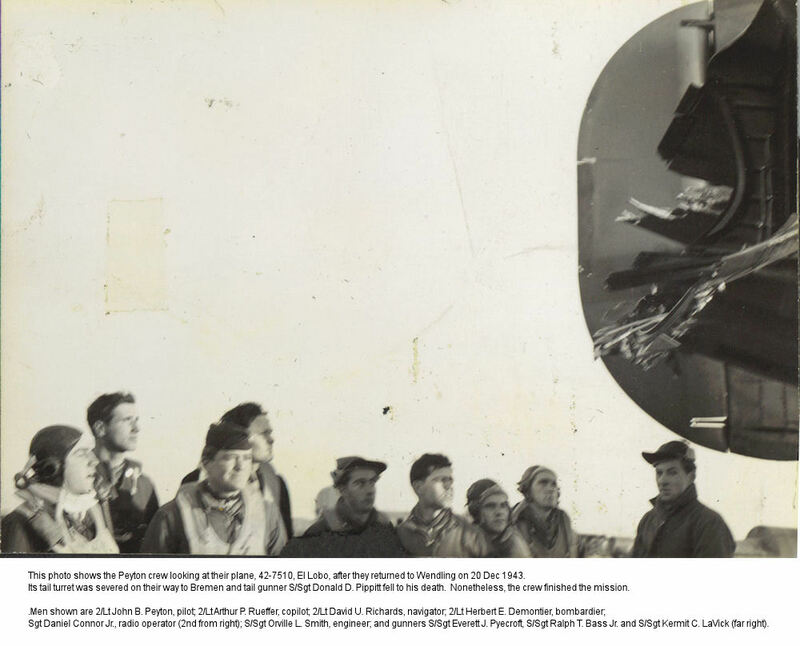 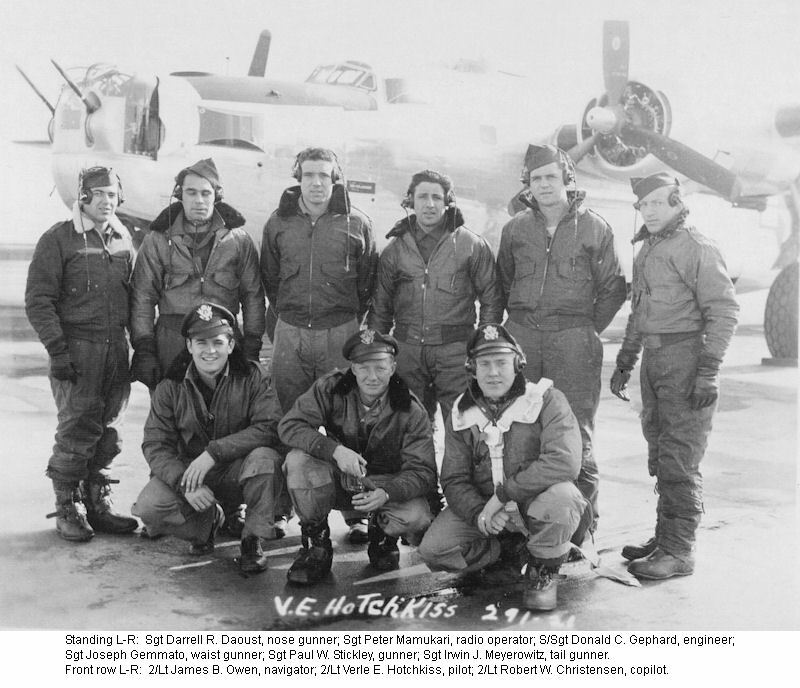 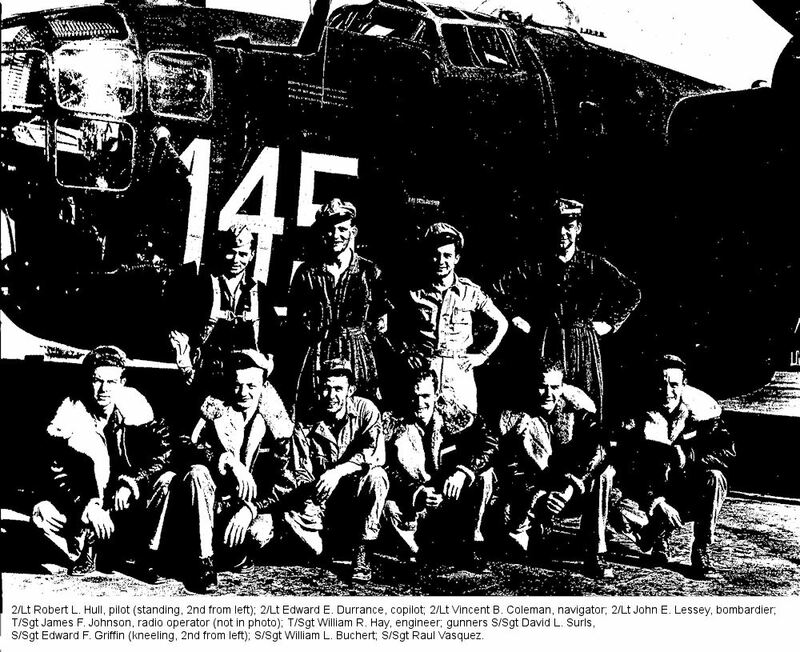 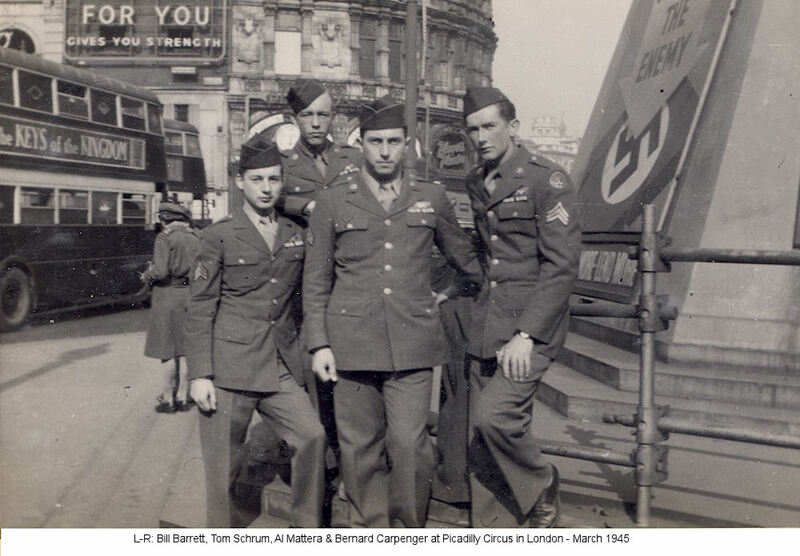 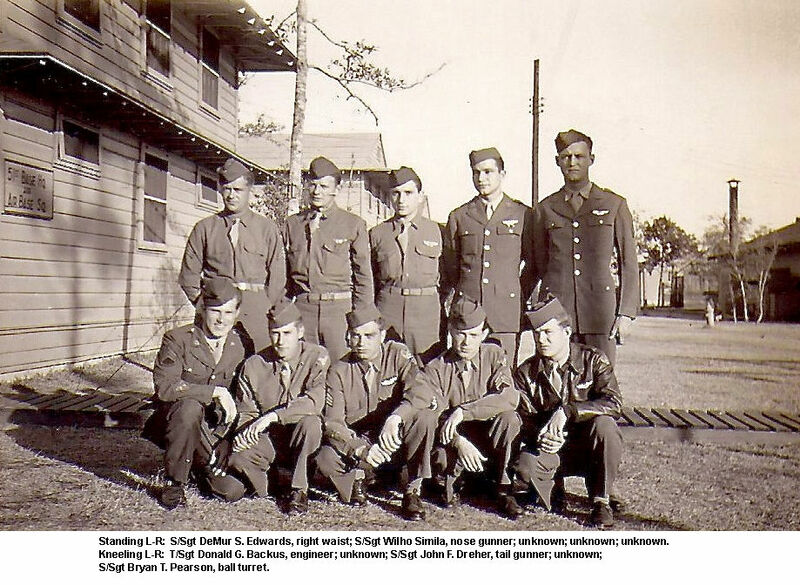 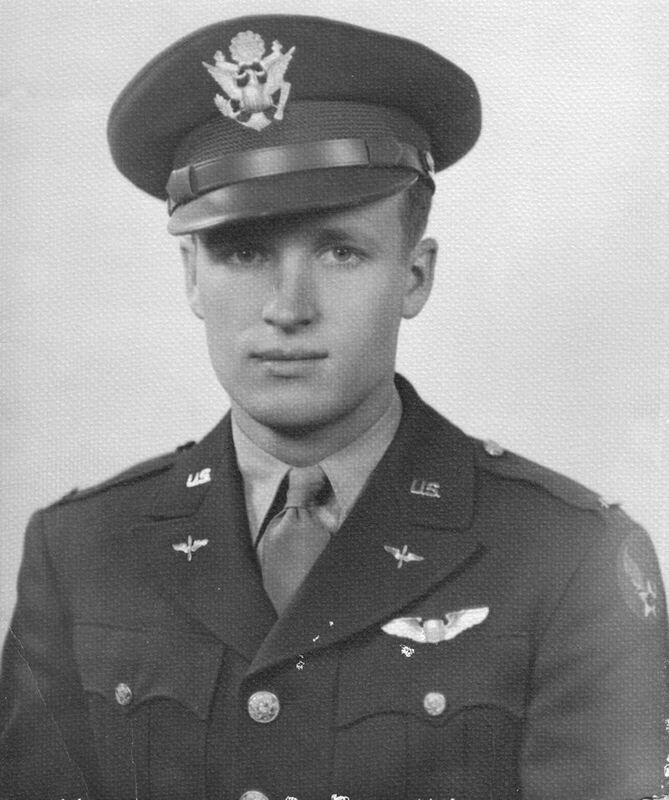 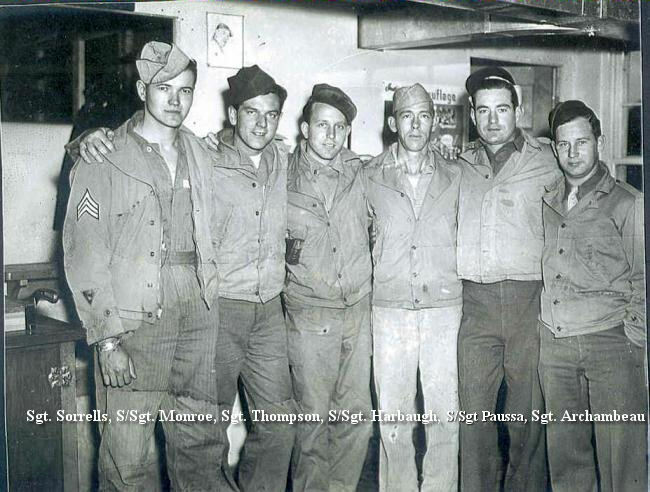 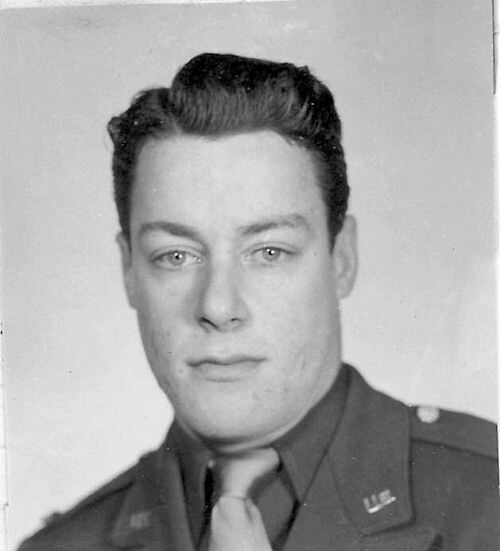 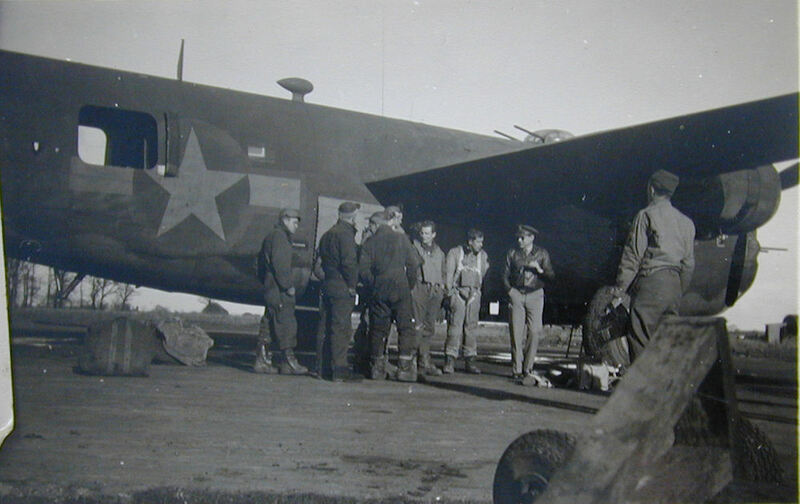 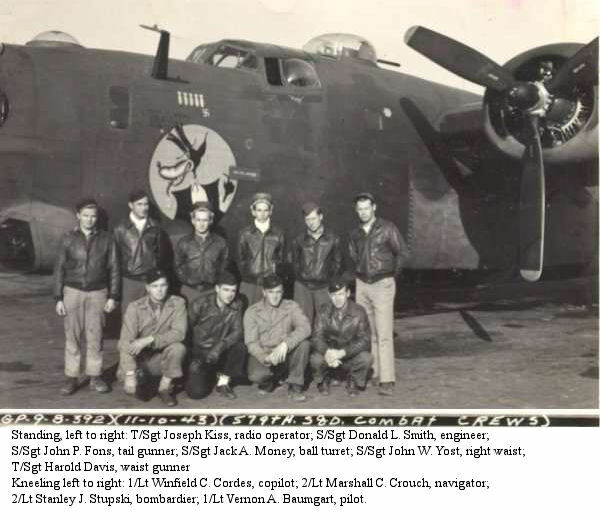 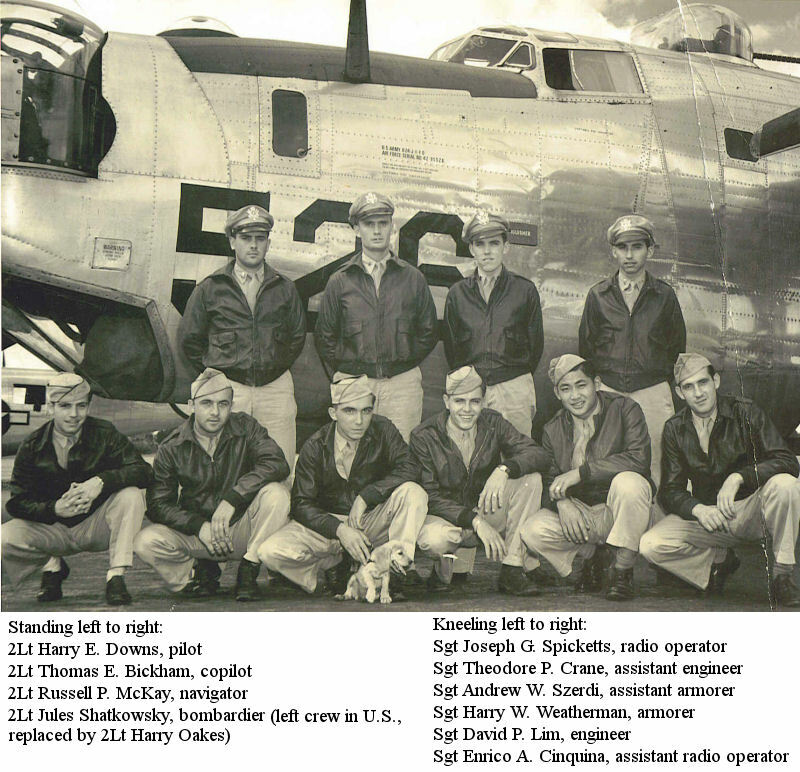 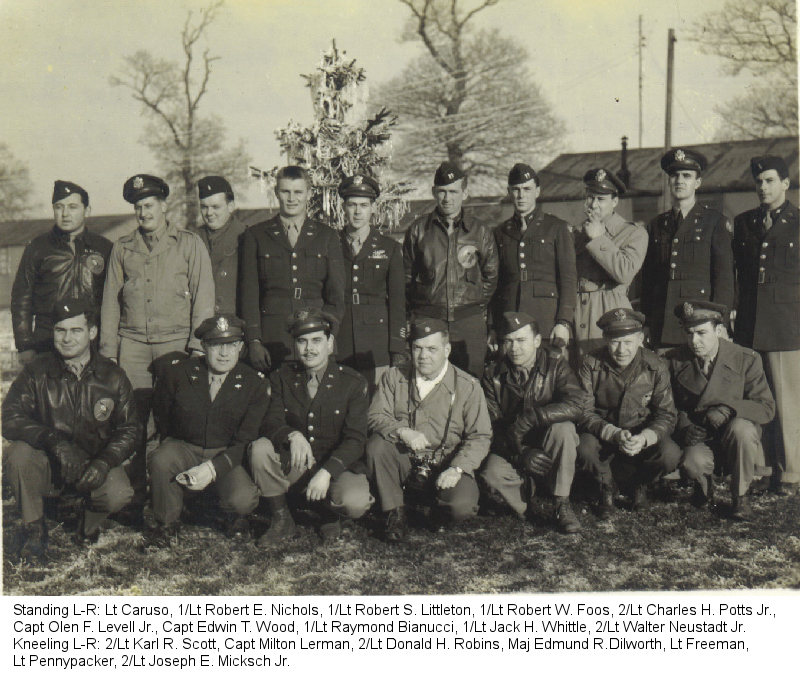 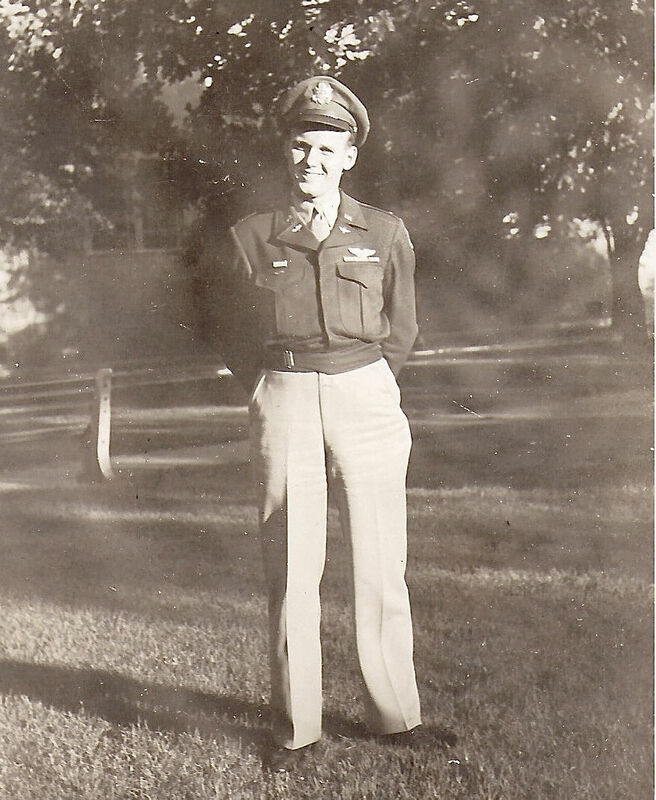 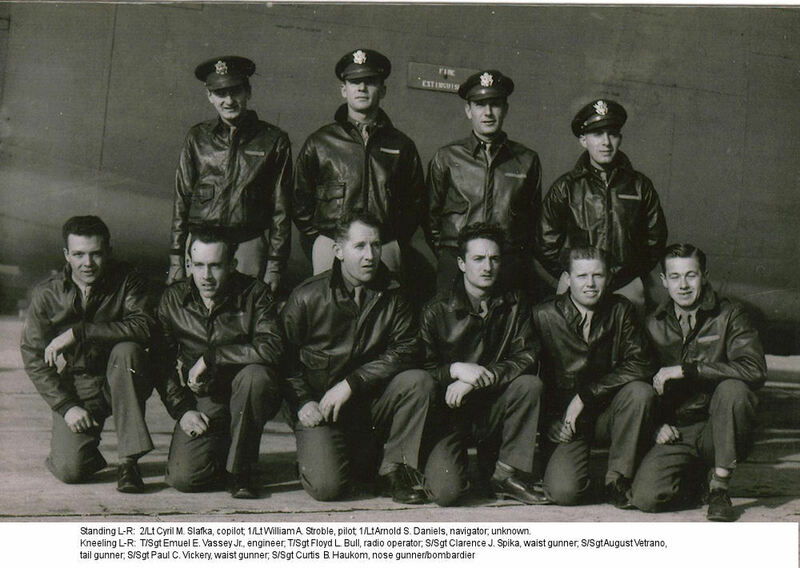 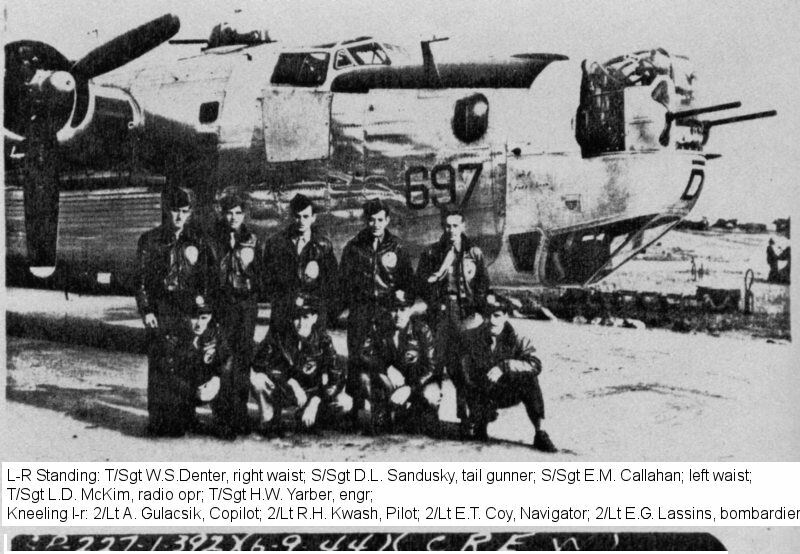 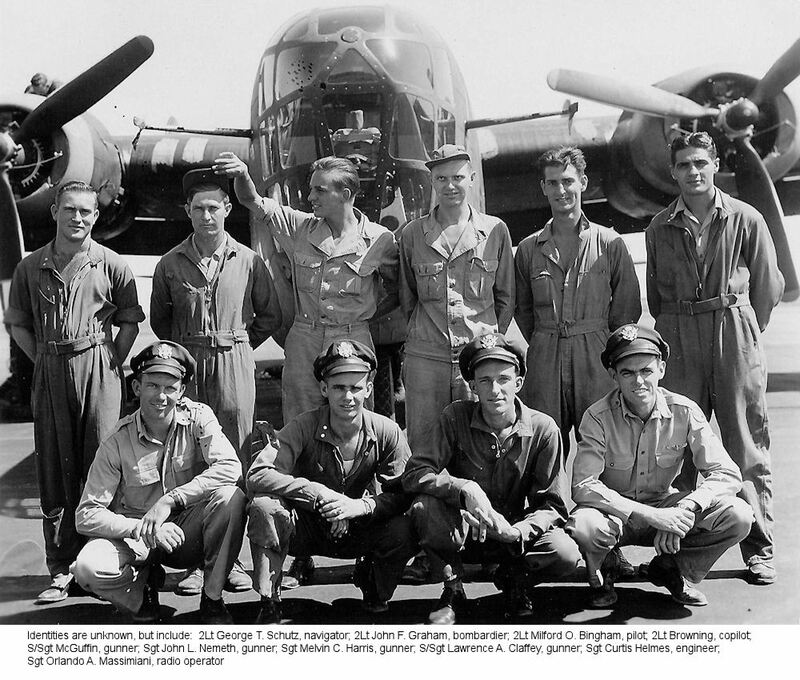 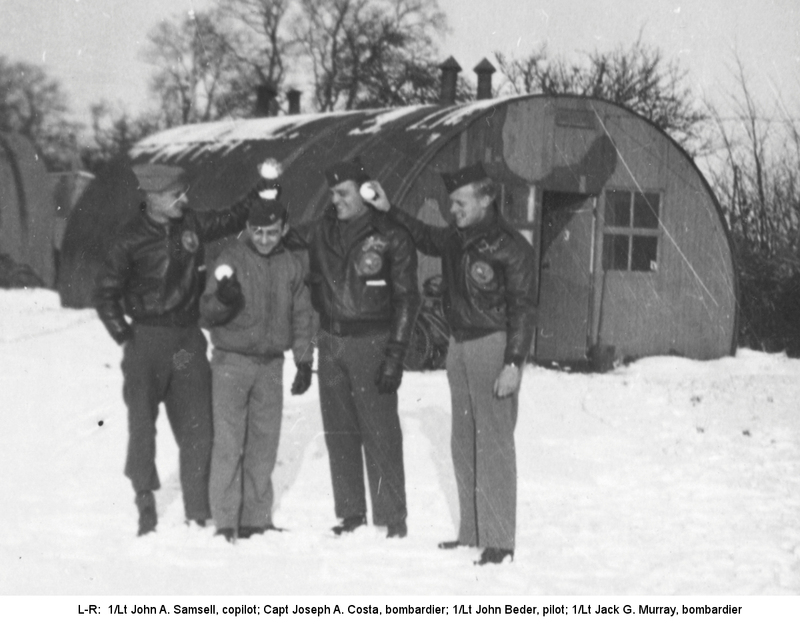 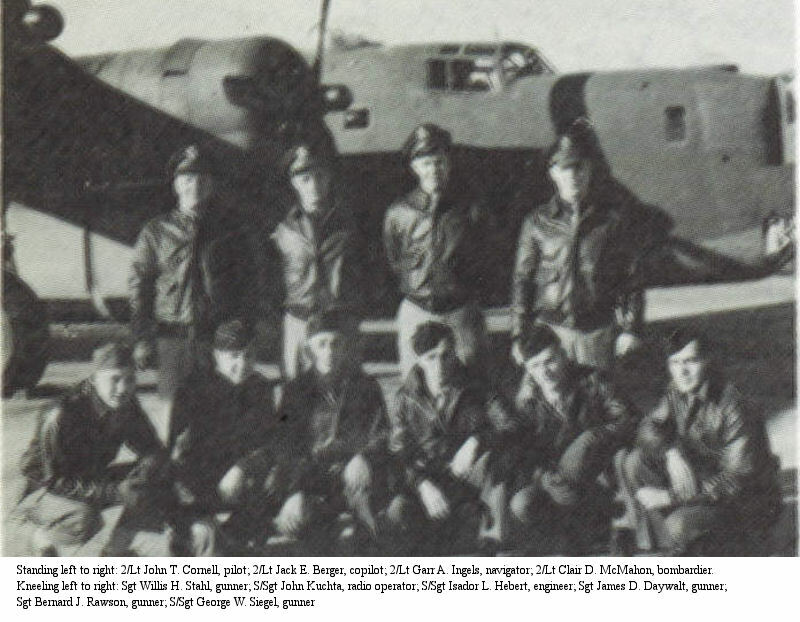 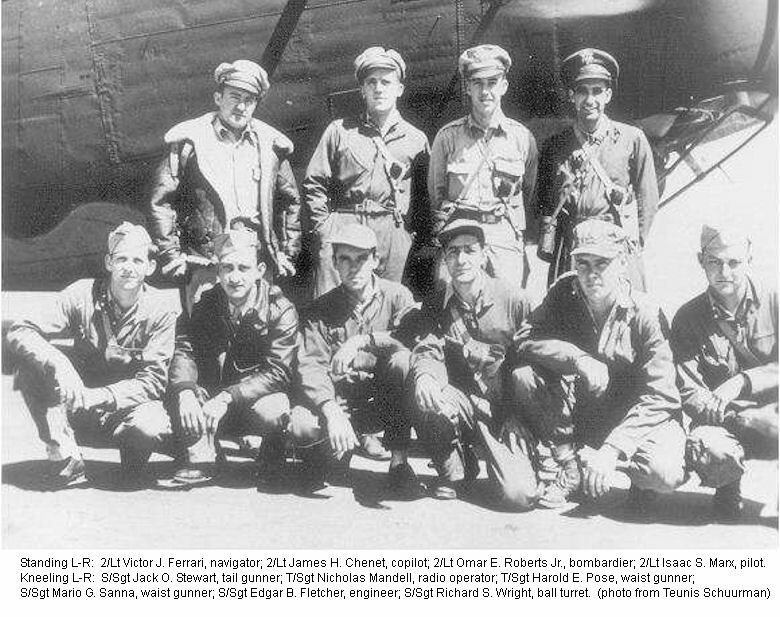 Many of the photographs on the links were compiled from the 392nd Memorial Association archives by the late Ernie Barber, group archivist and the 392nd 2nd Generation researchers from relatives and loved ones. 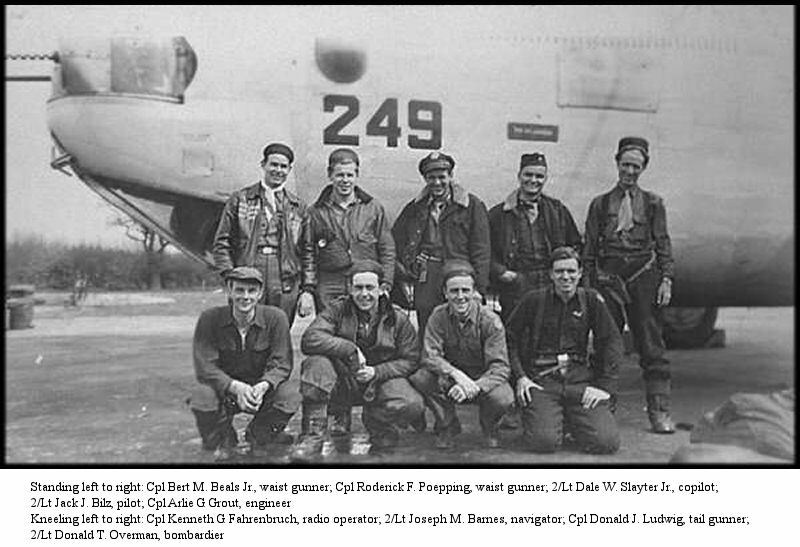 They are intended to be viewed for private use and not to be published without written consent from one of the 392nd BGMA researchers. 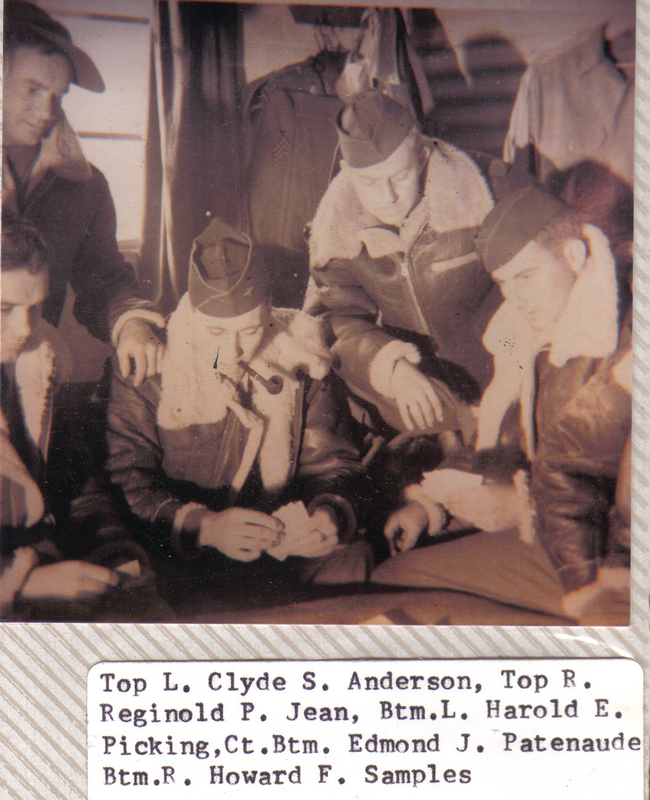 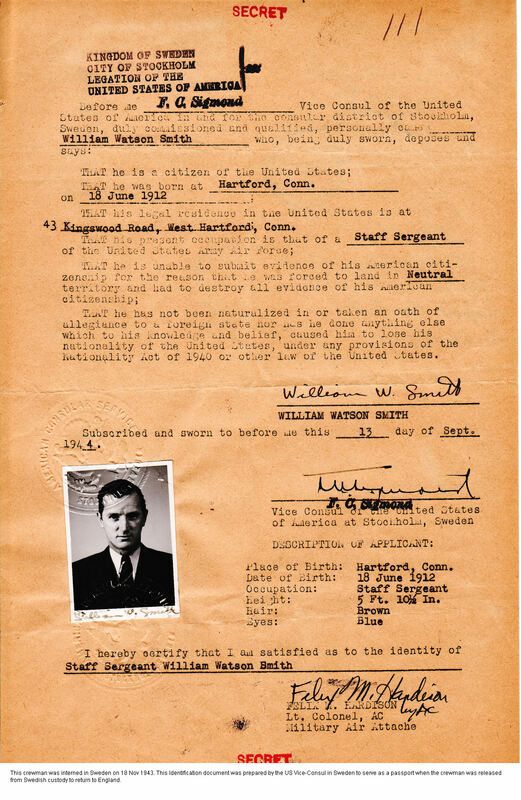 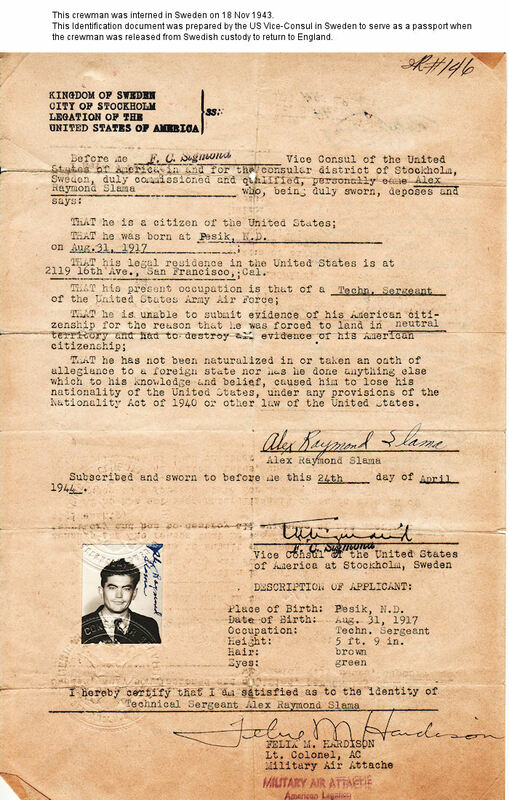 You may contact them through our questions form (leaving airman form boxes empty).Click here for the form. 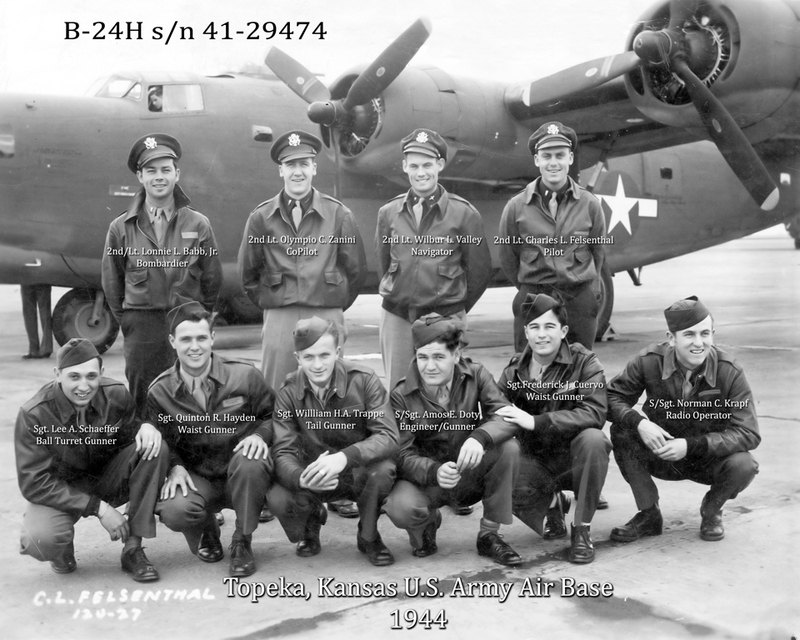 We continue to update this section on a weekly basis with additional information and photos. 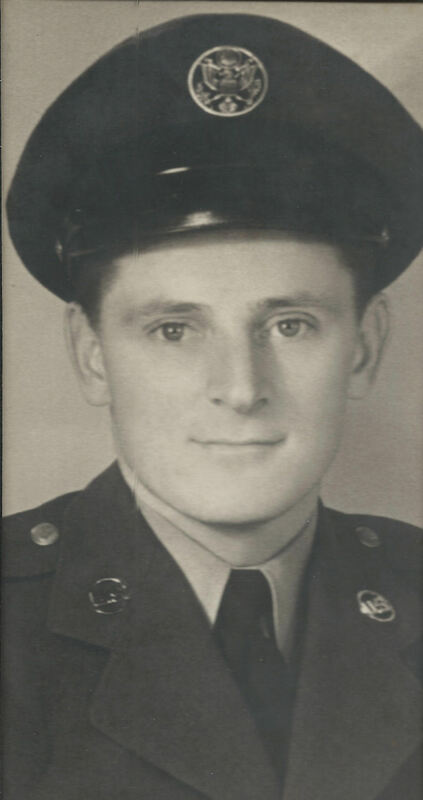 If your loved one is not listed correctly or does not have a photo, please contact us by clicking here. 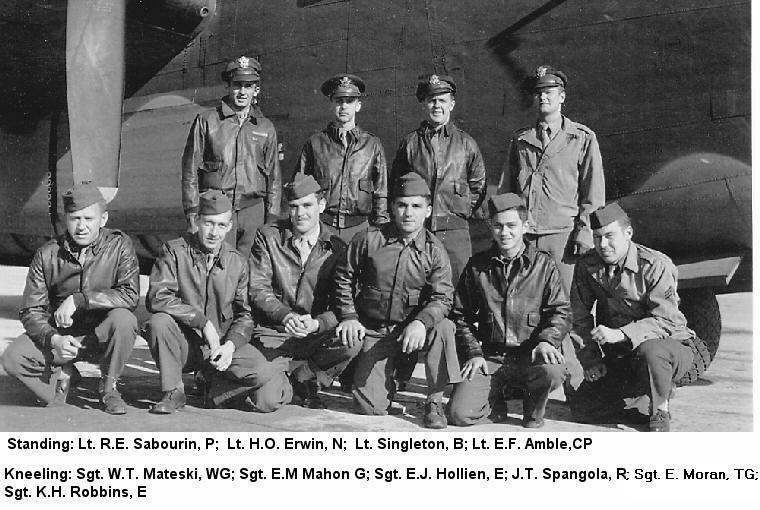 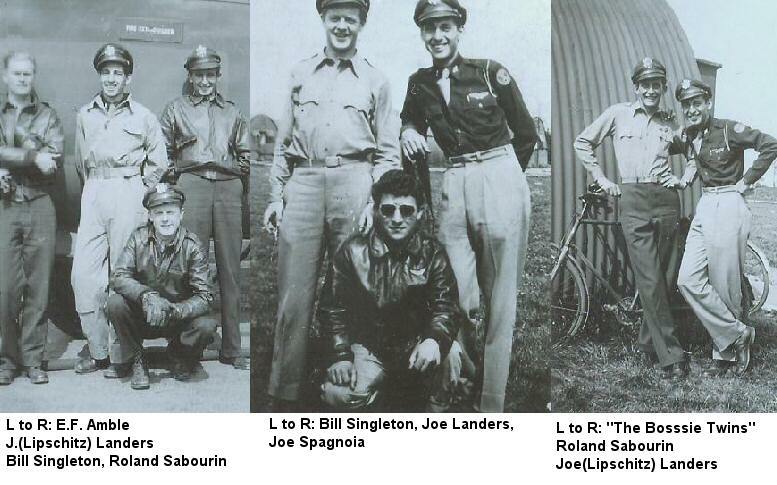 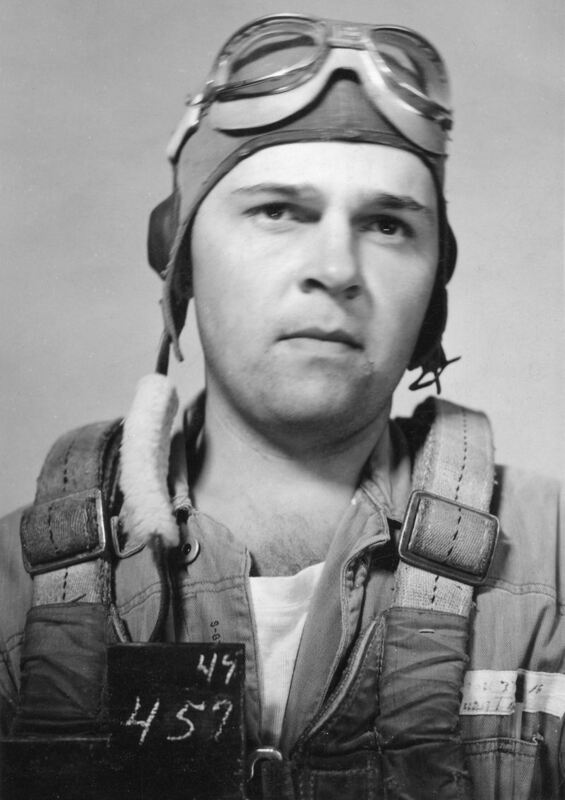 THE FOLLOWING IS OUR CURRENT LIST OF AIRMEN PHOTOS WITH LAST NAMES STARTING WITH "S"
Additional selections can be found at the bottom of this page. 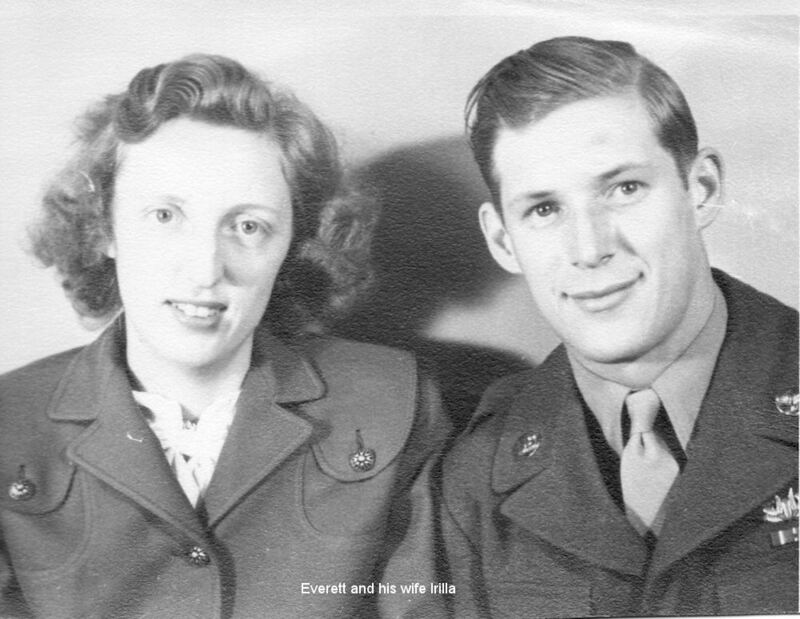 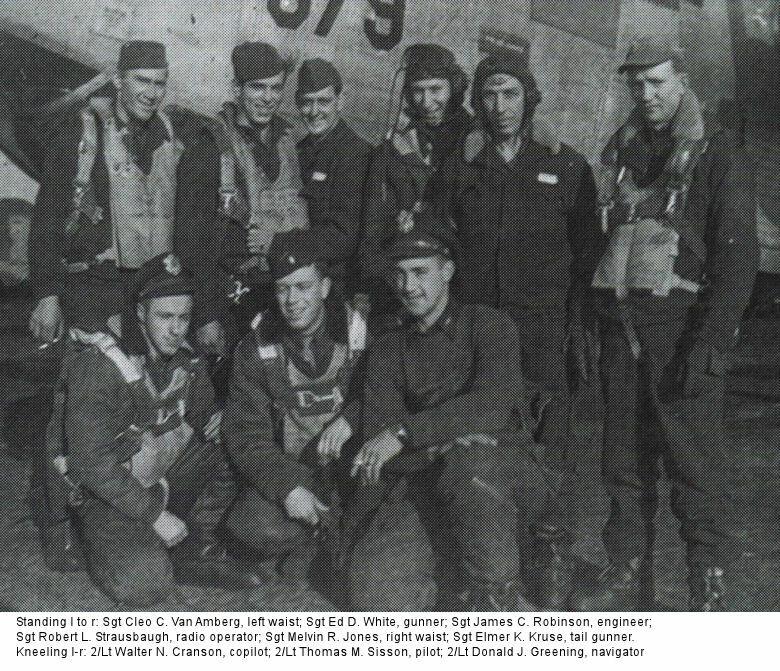 Satterly, Everett F., Jr. Sgt Waist Gunner Sibley crew Irilla and Everett Satterly, 1945 Individual Photo Personal Acct. 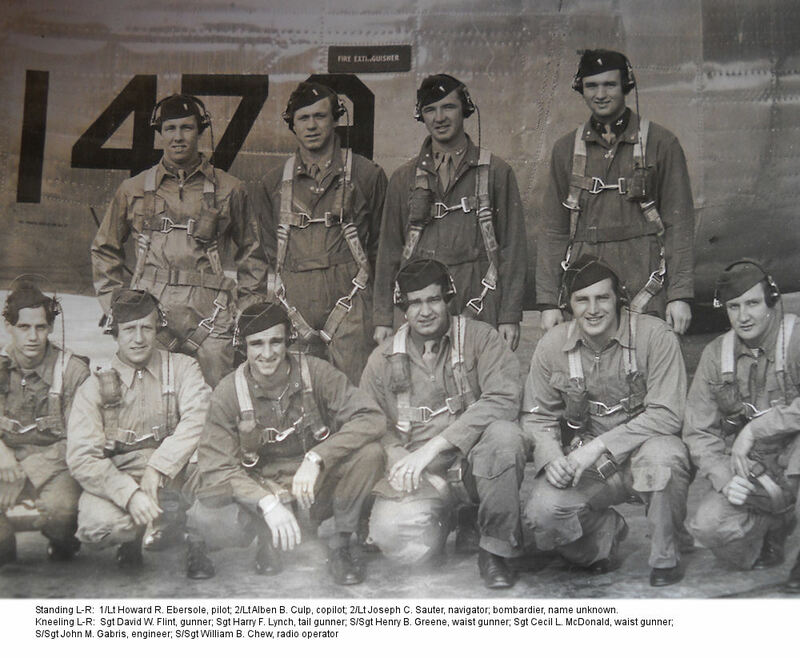 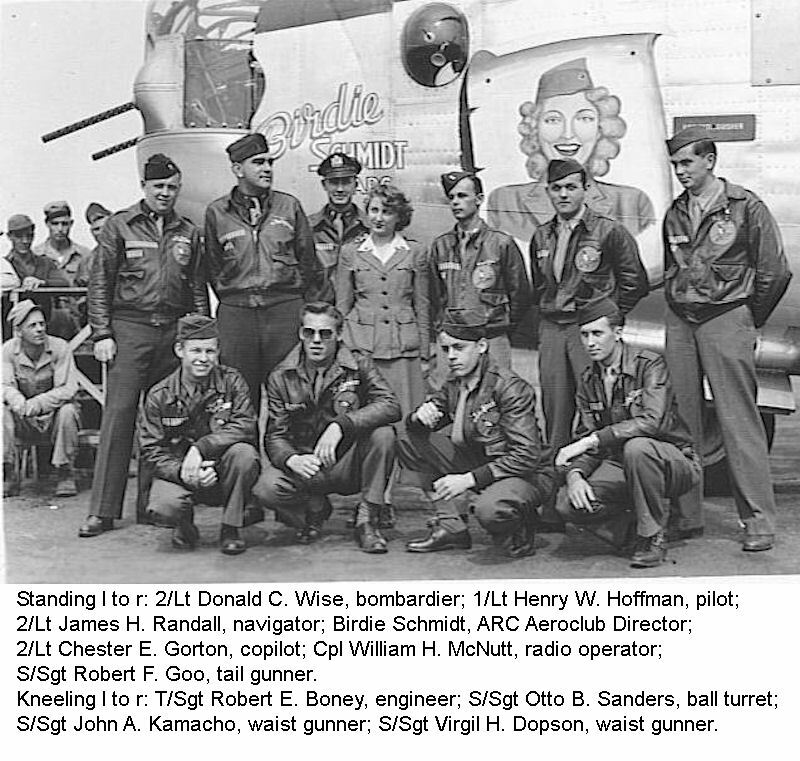 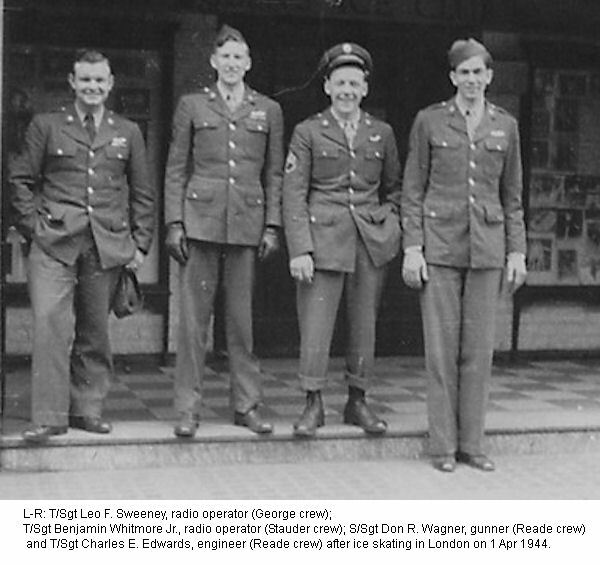 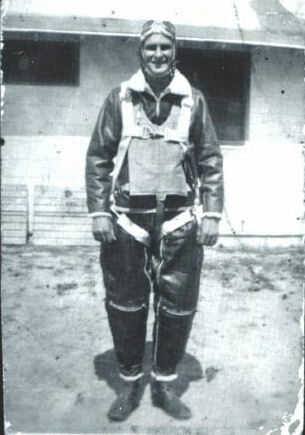 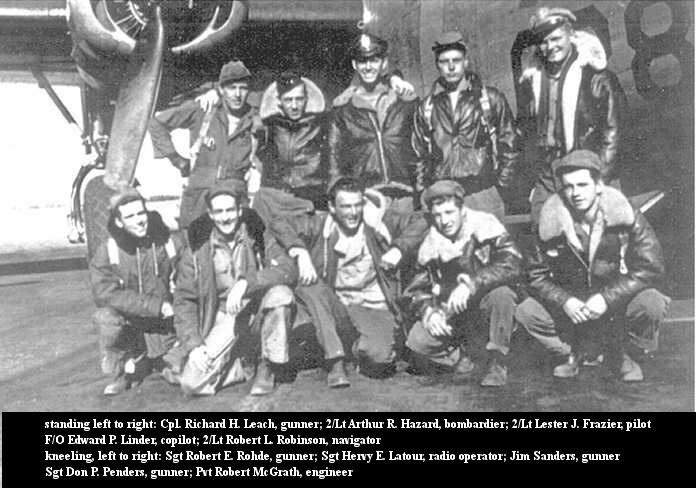 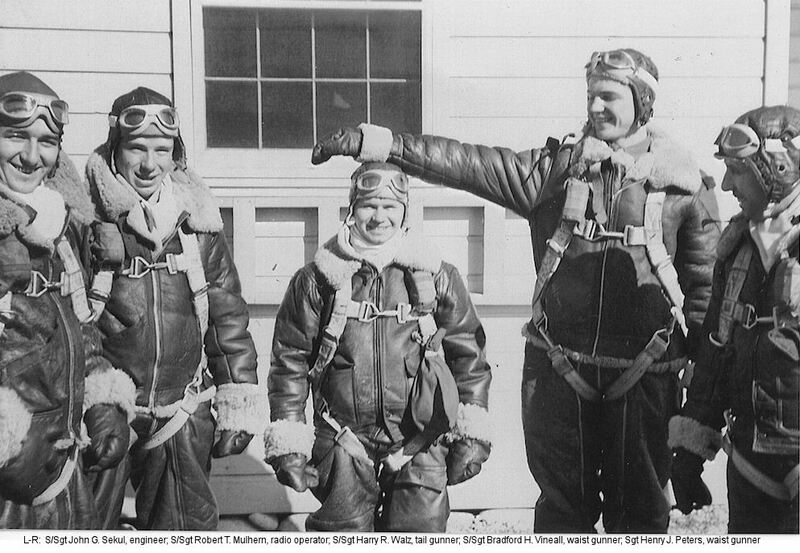 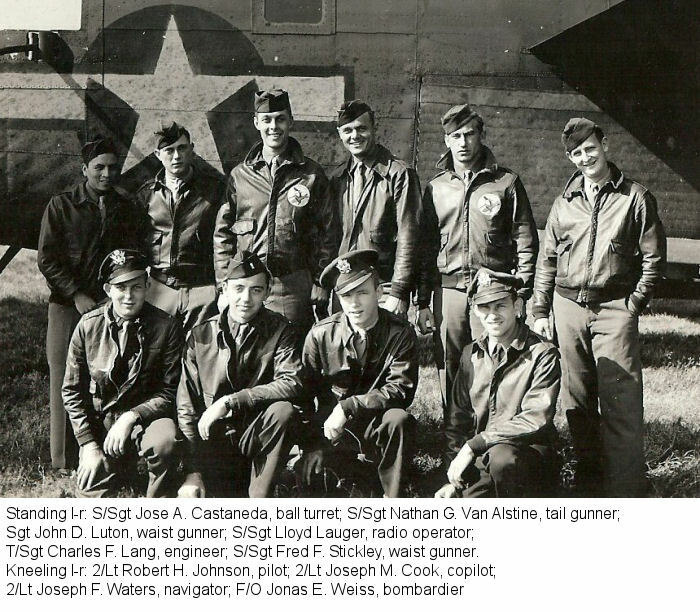 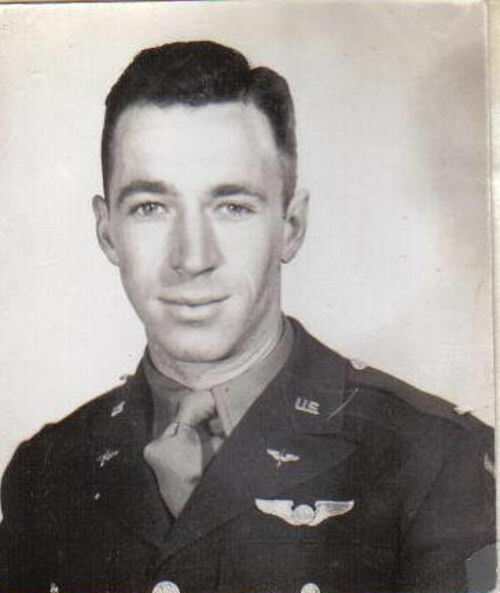 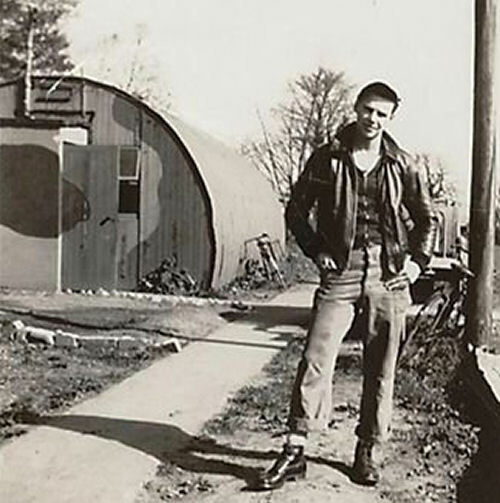 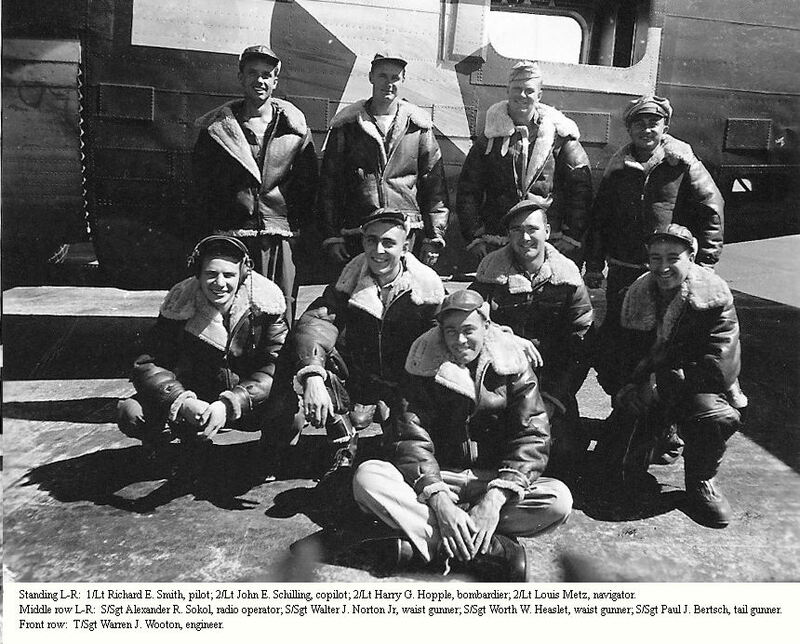 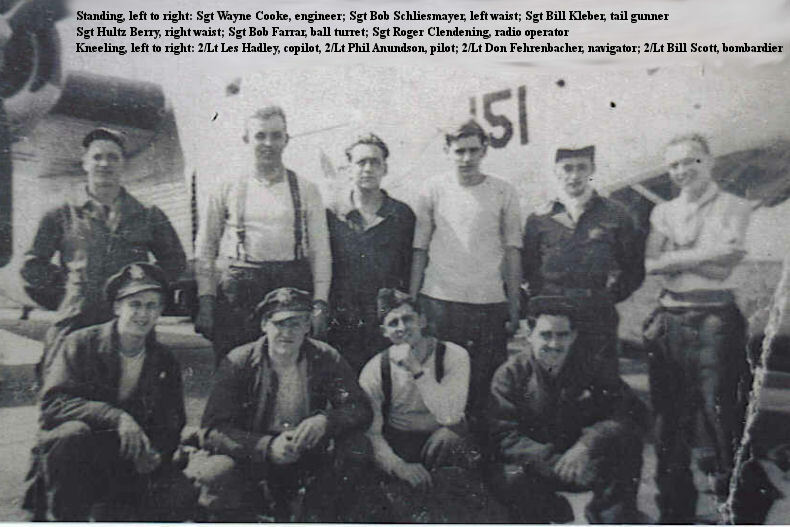 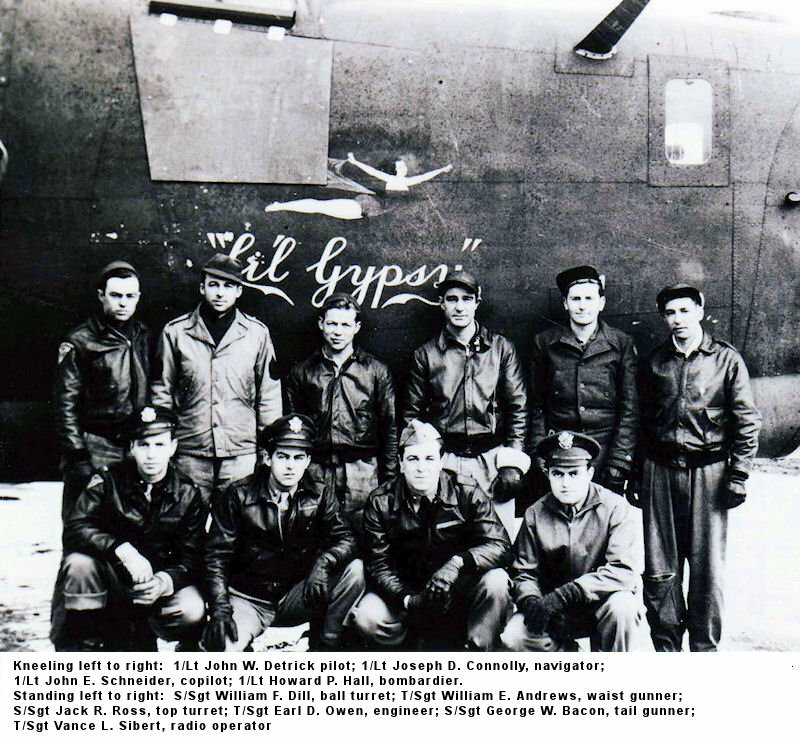 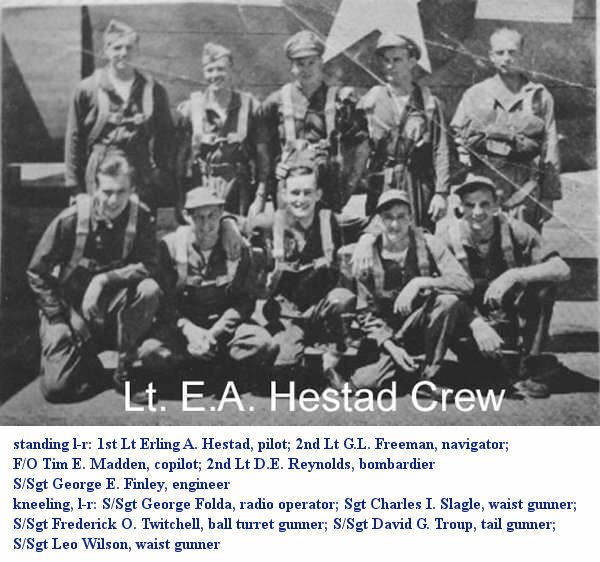 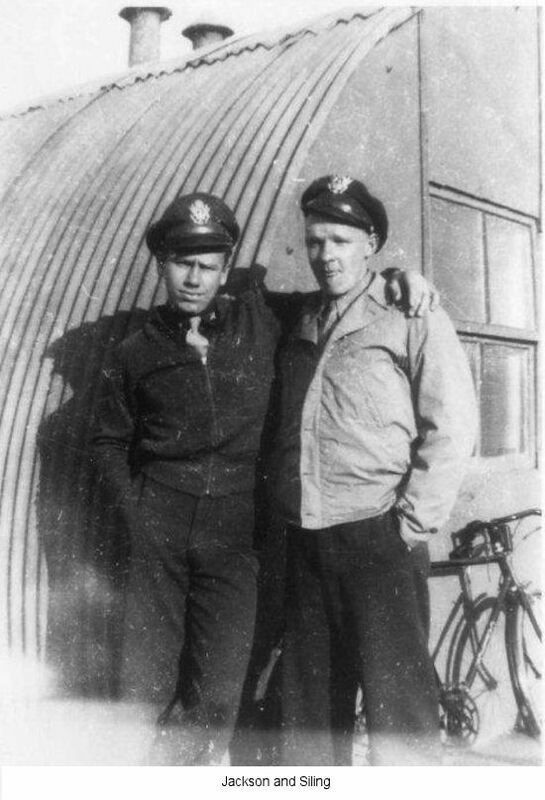 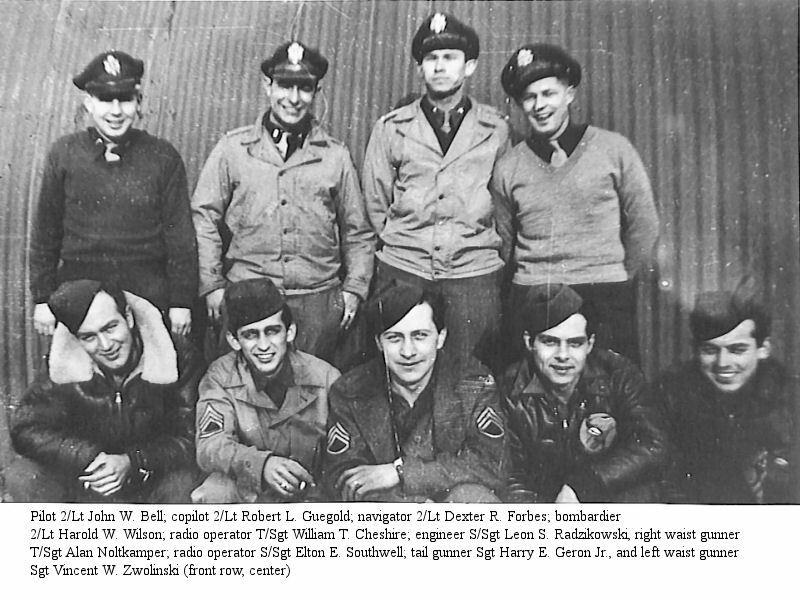 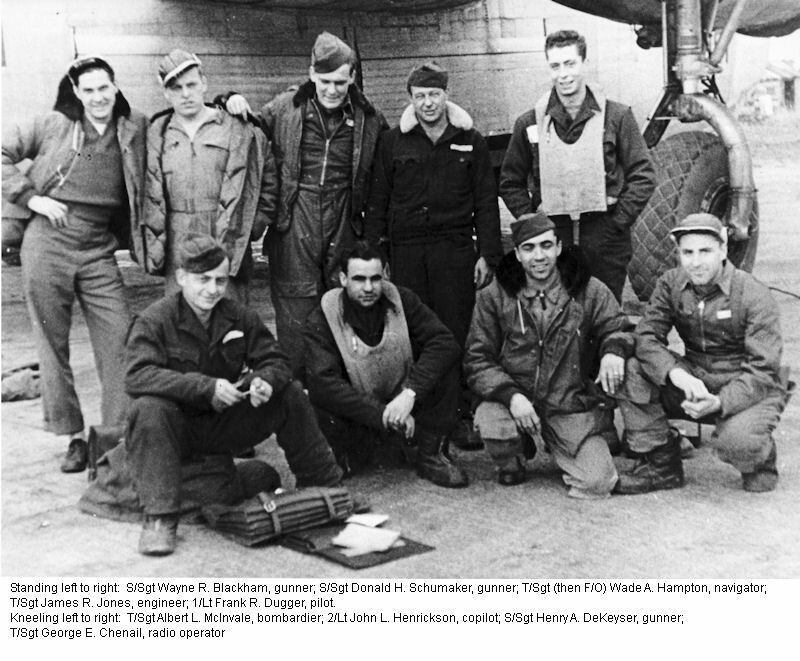 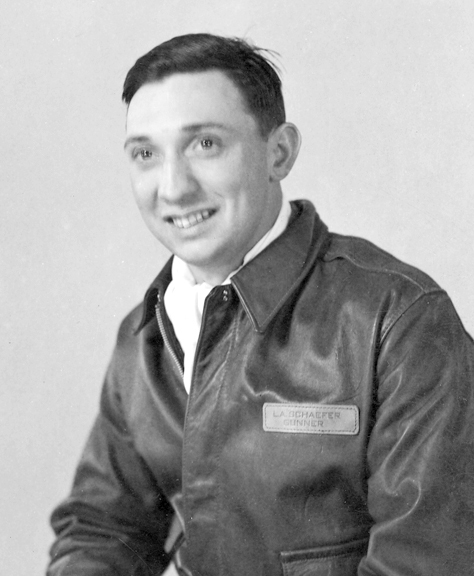 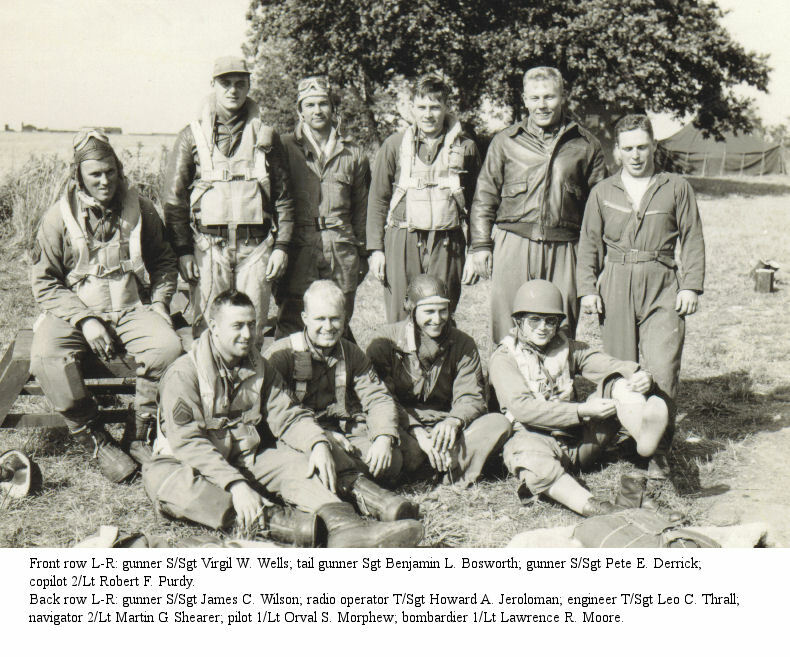 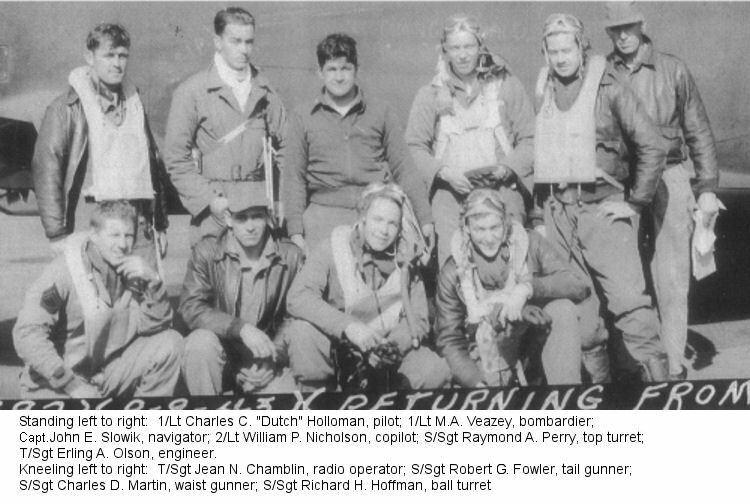 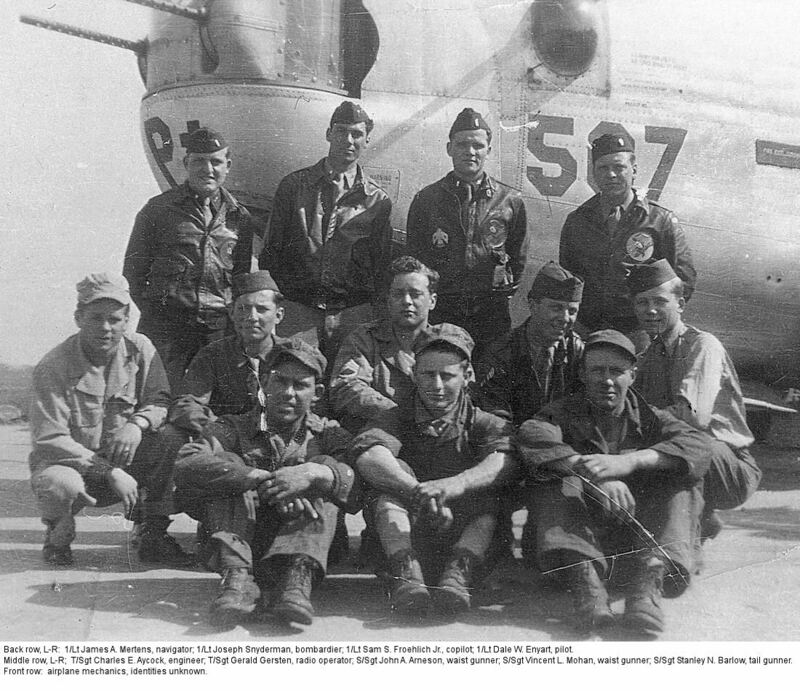 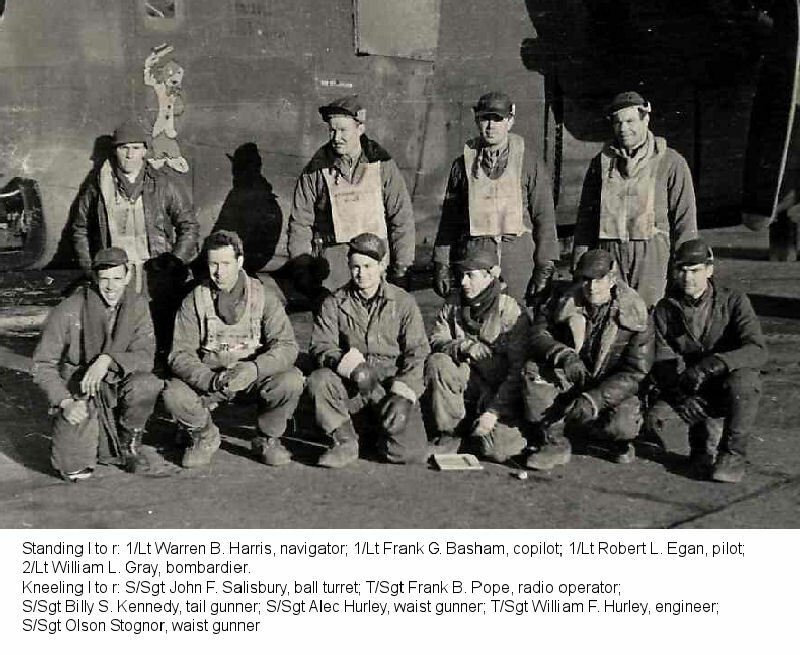 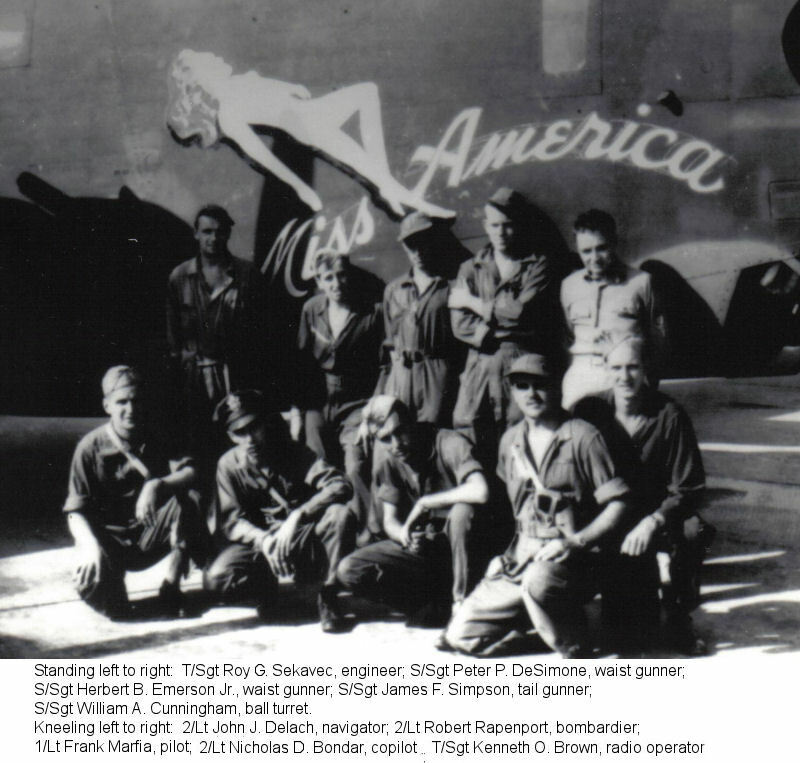 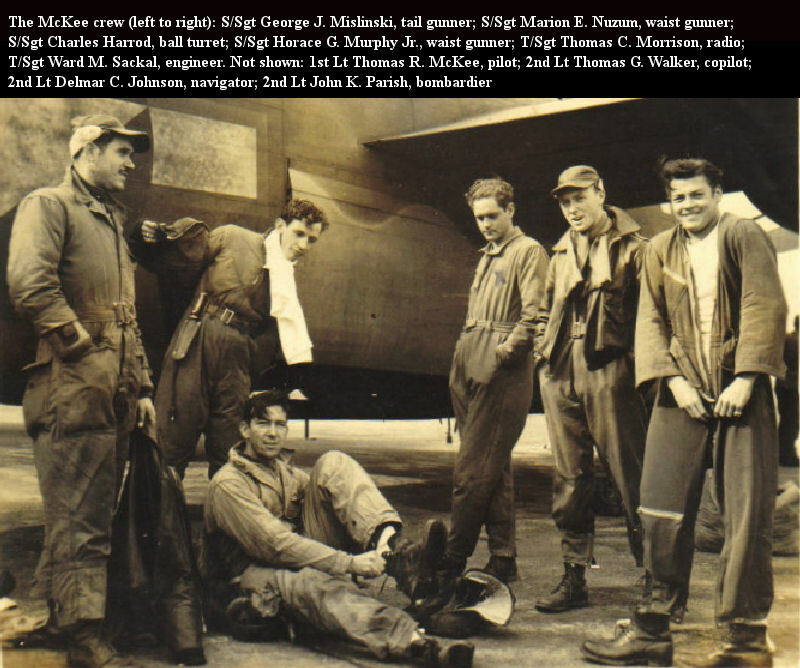 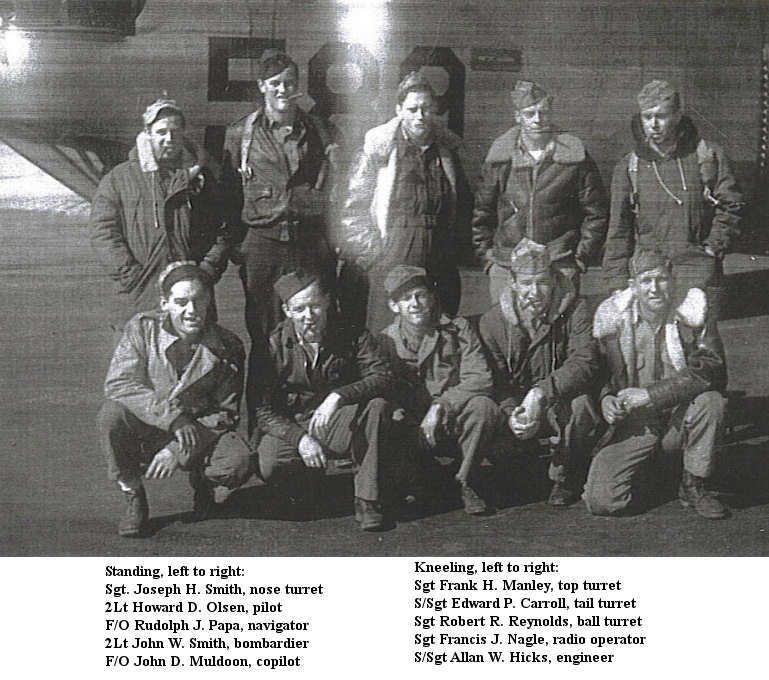 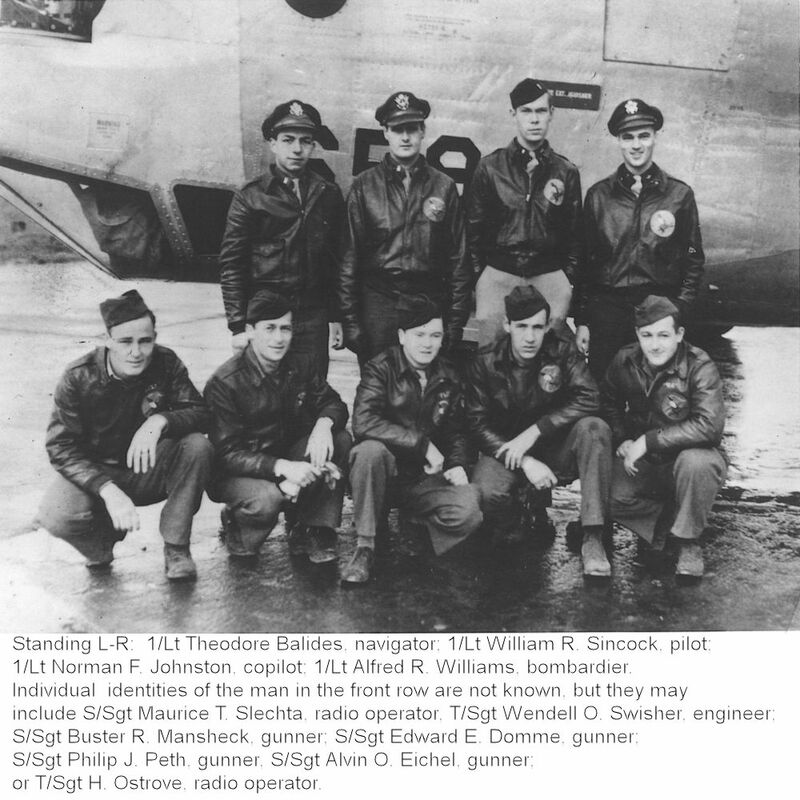 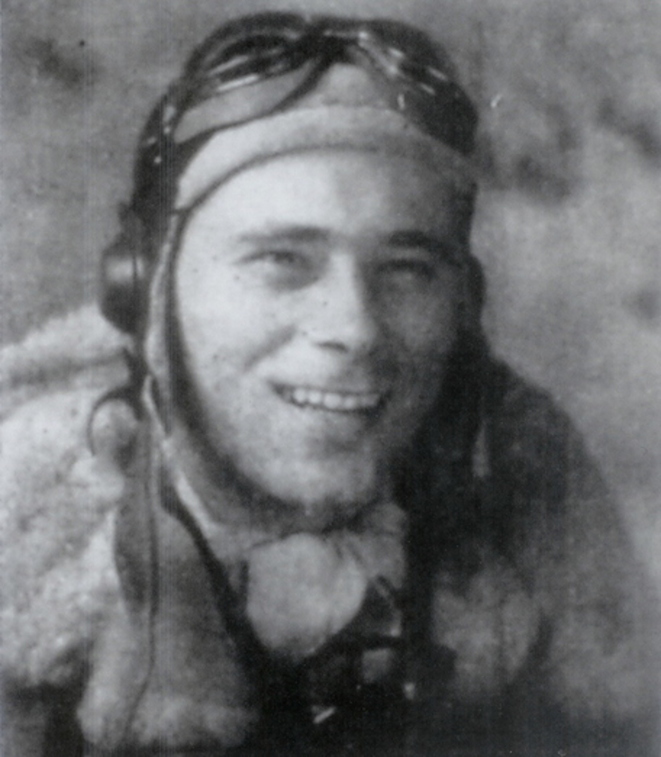 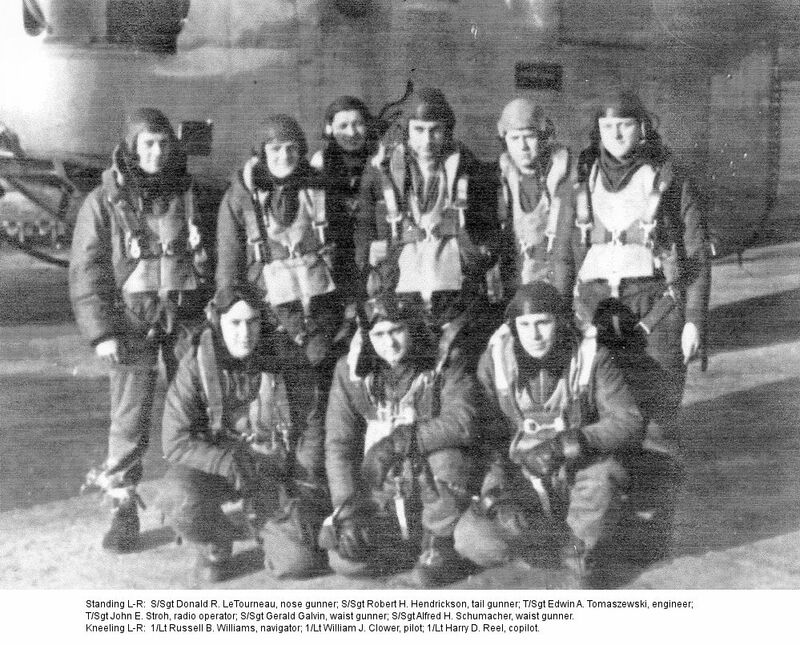 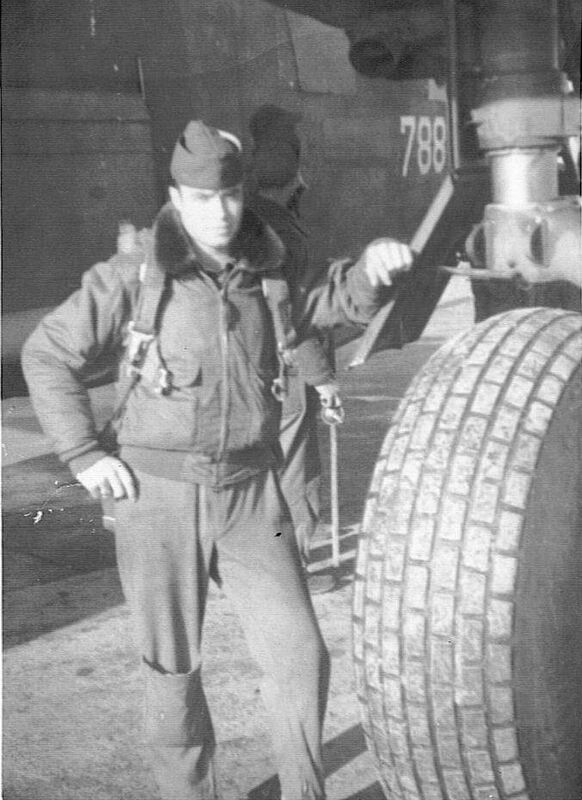 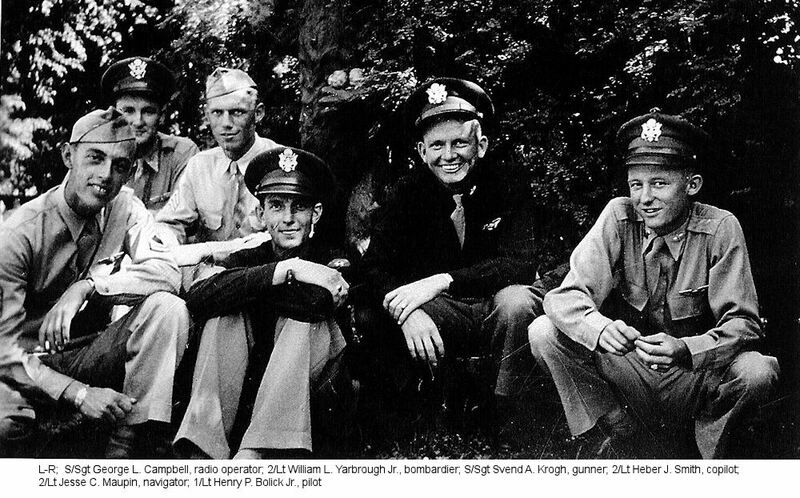 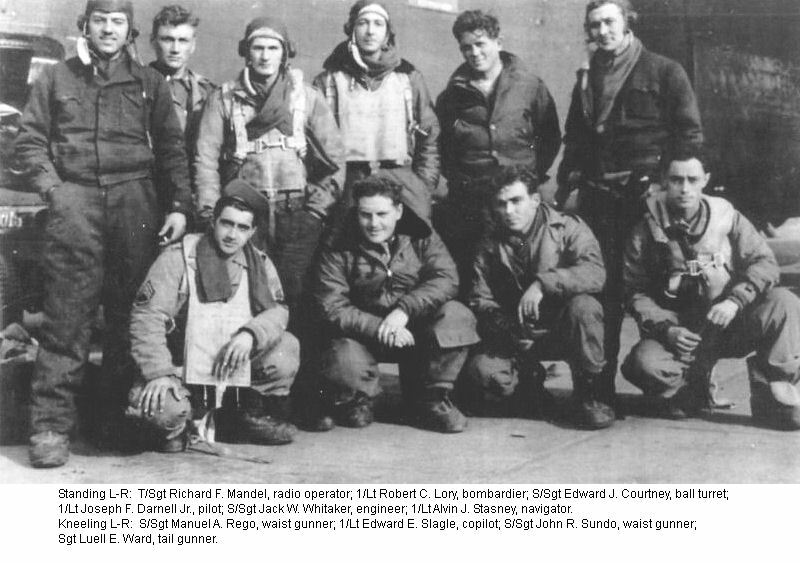 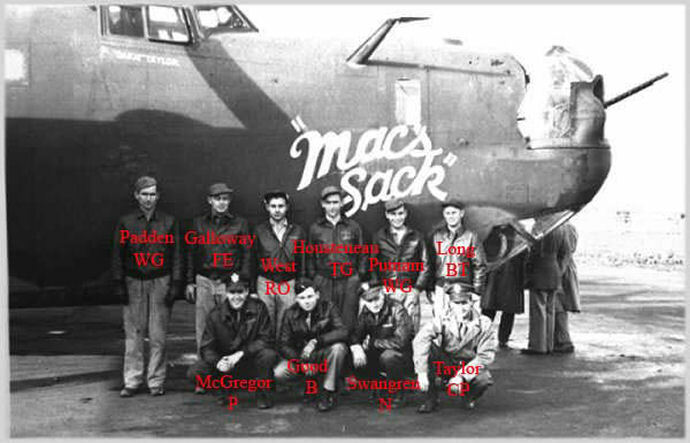 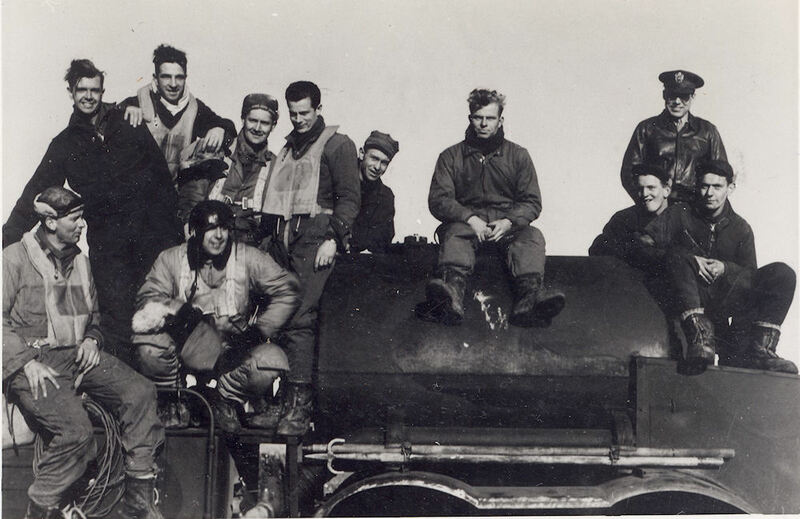 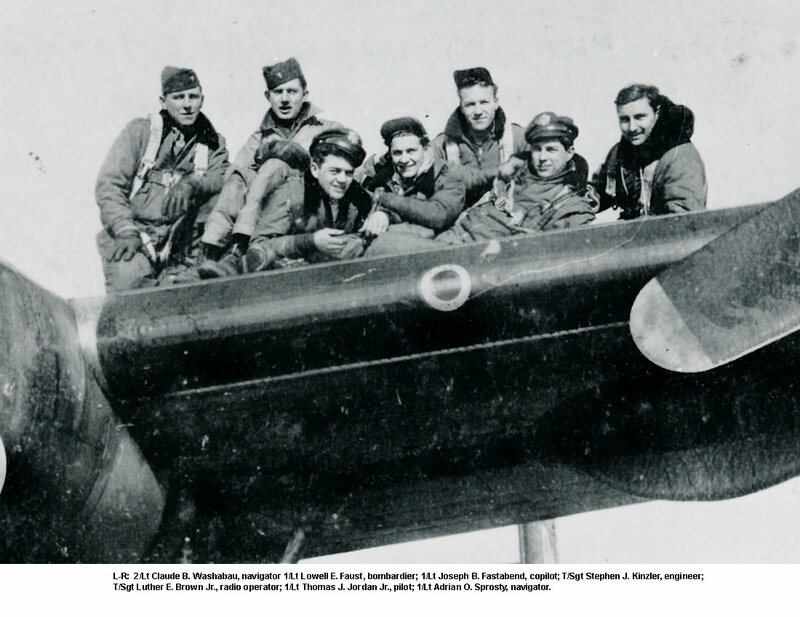 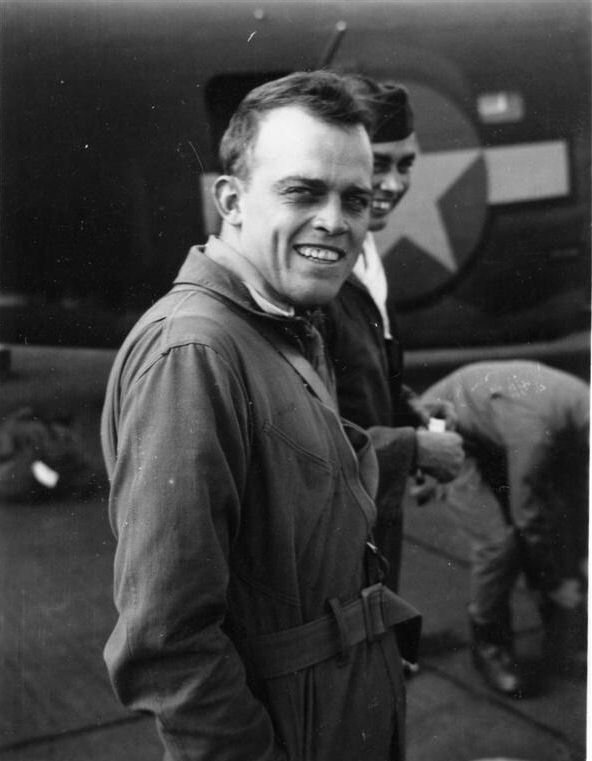 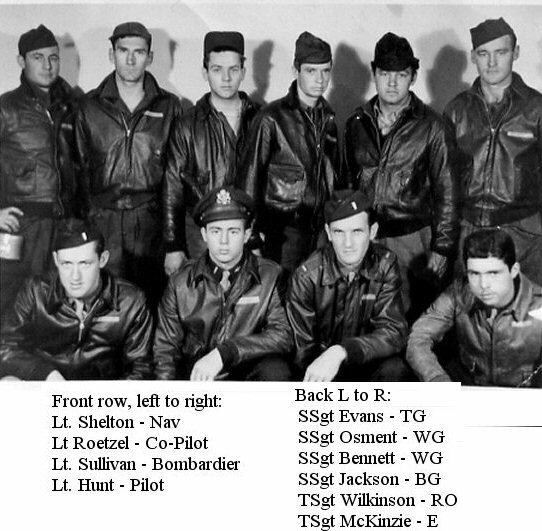 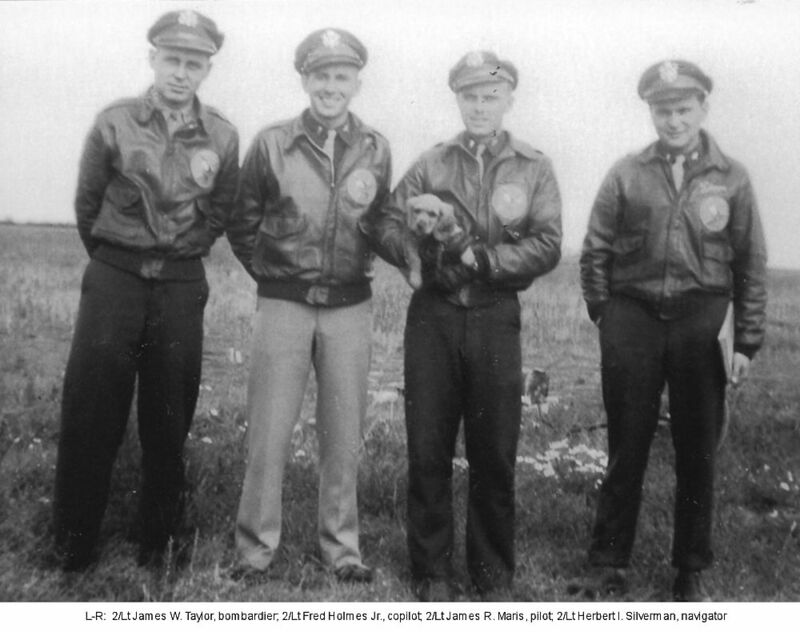 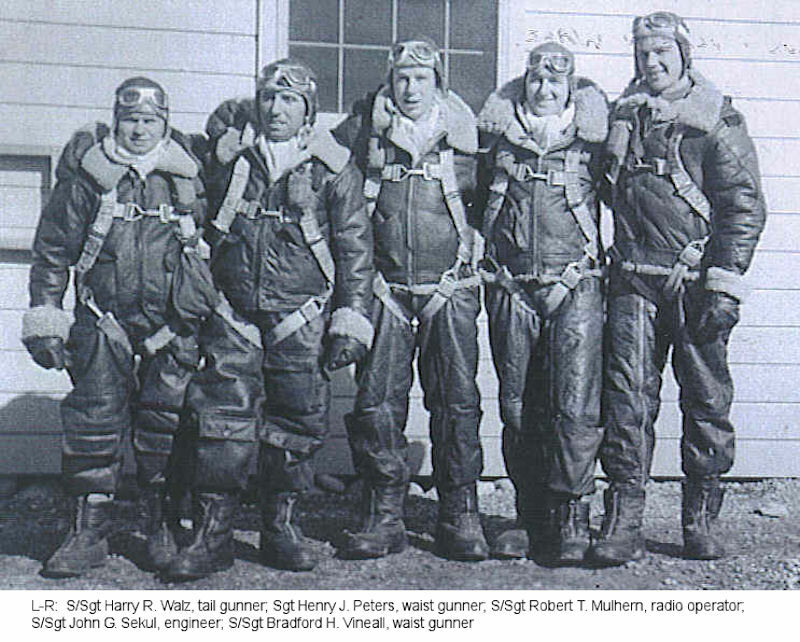 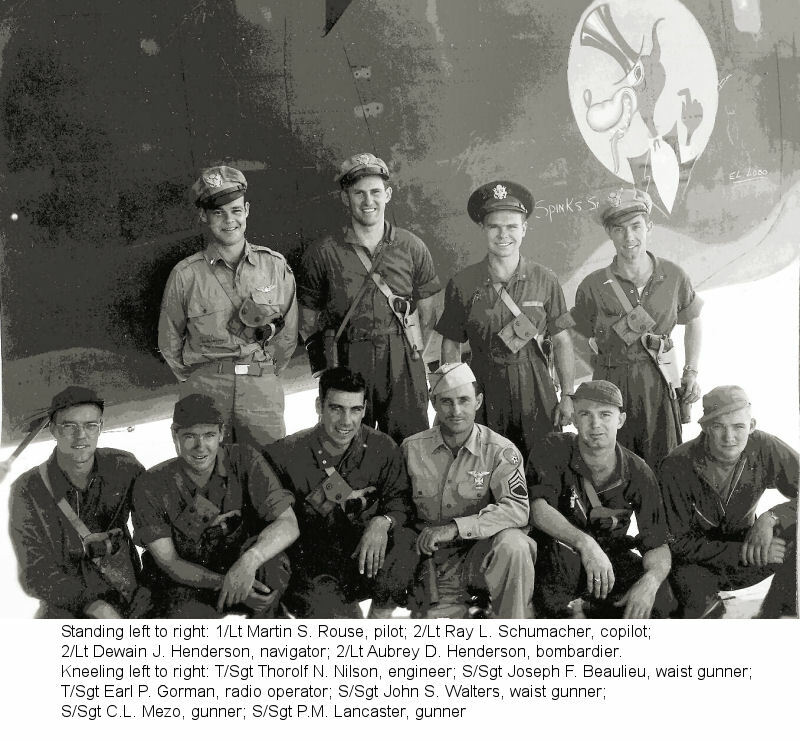 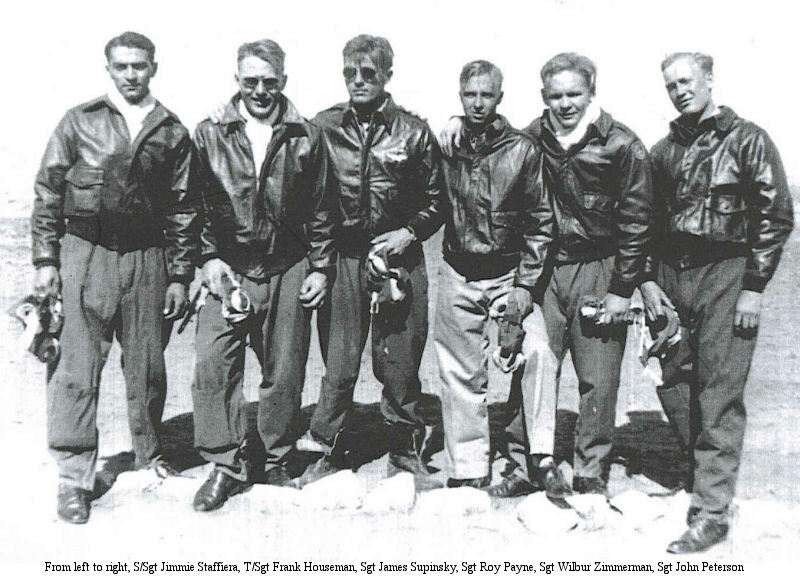 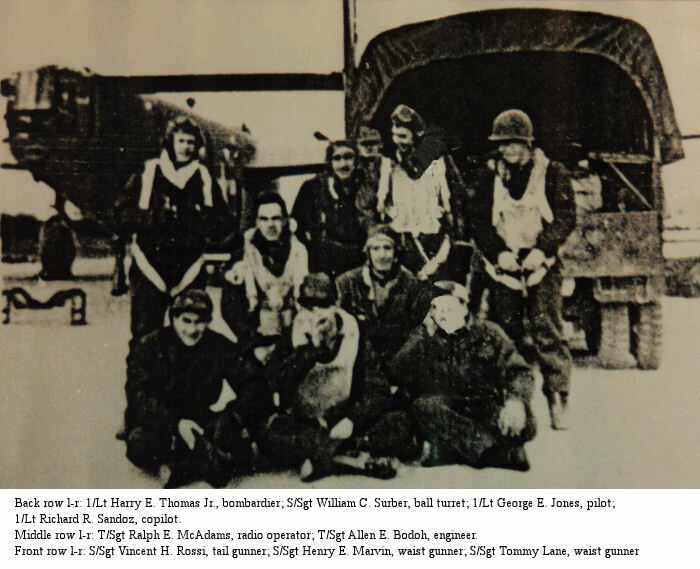 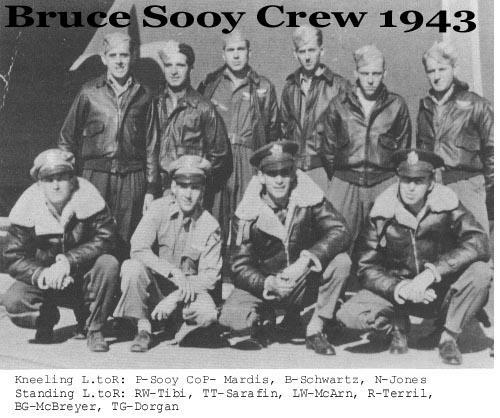 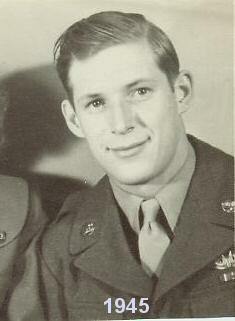 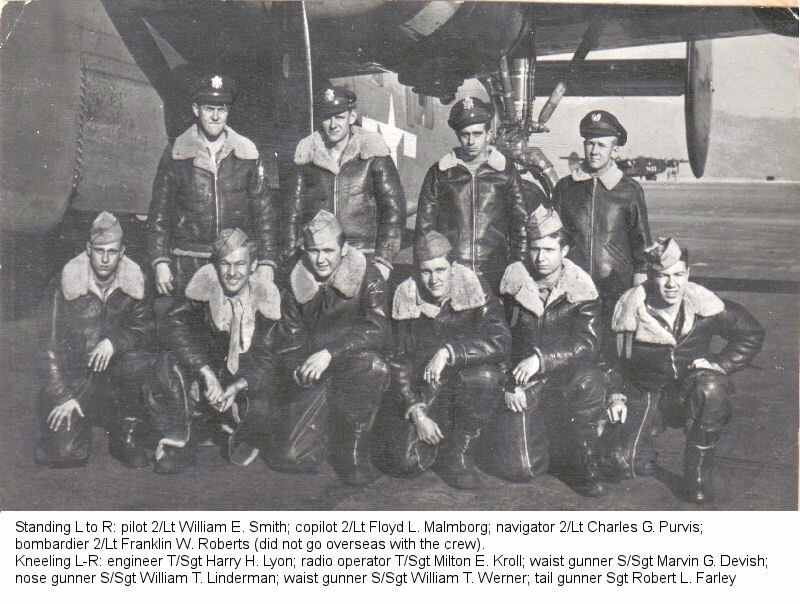 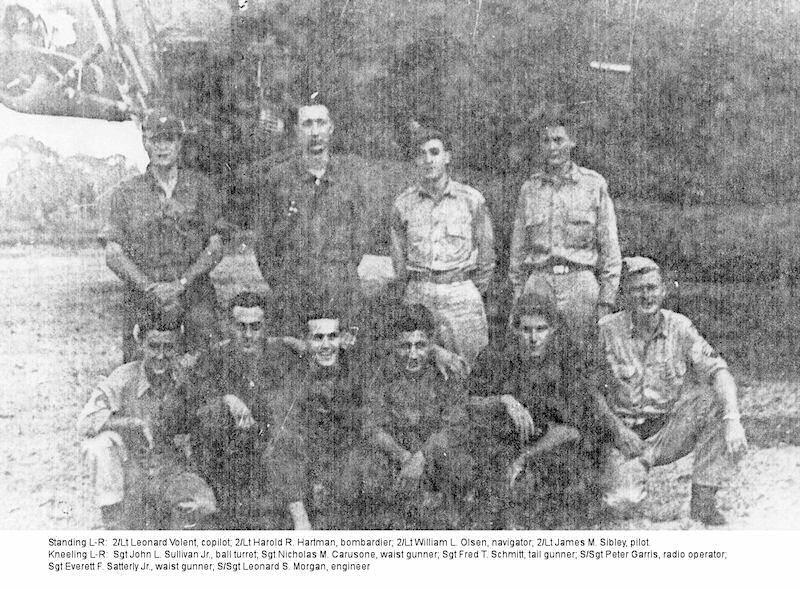 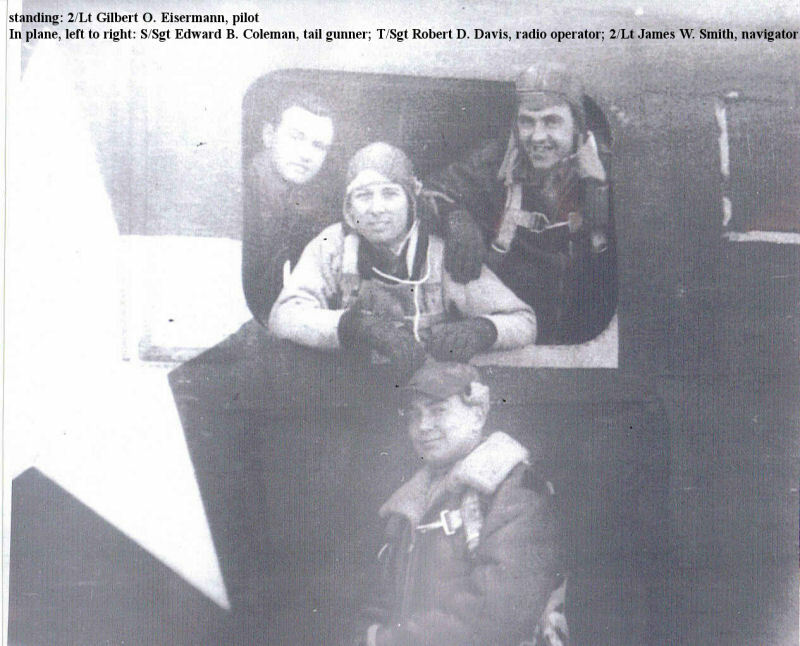 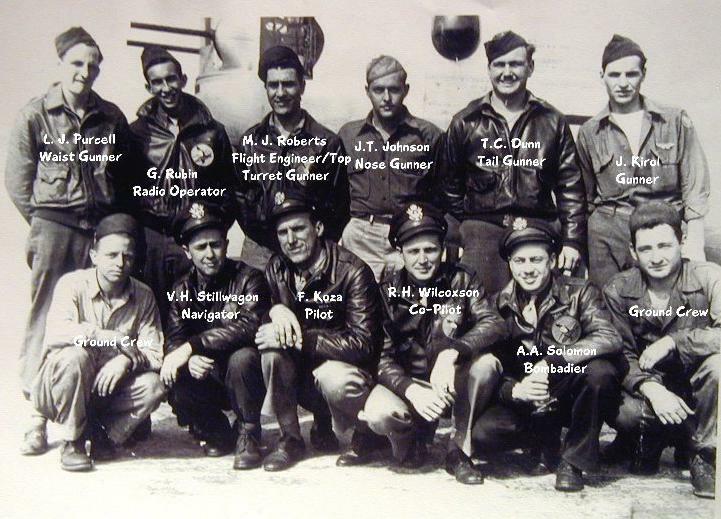 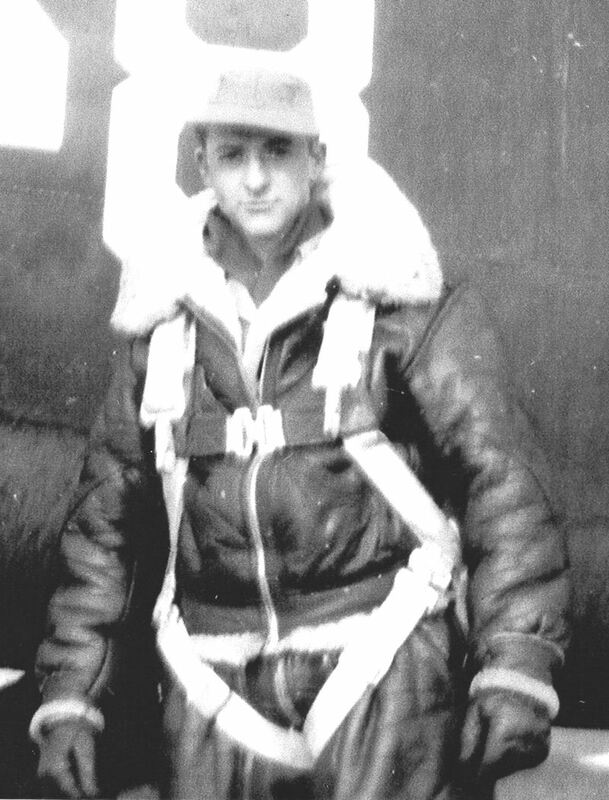 Stogner, Olson S/Sgt Waist Gunner Bob Egan crew #2 Egan crew Pre-Flight "Poco"